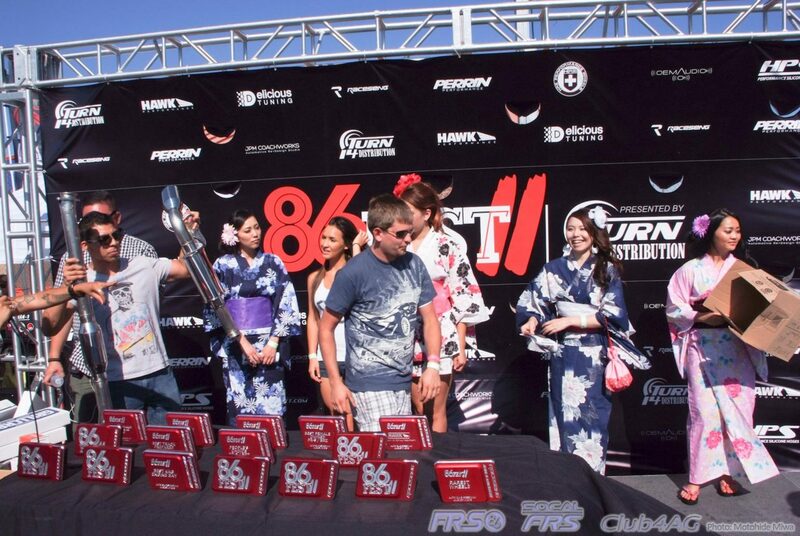 The weekend was August 10th and 11th of August in 2013. 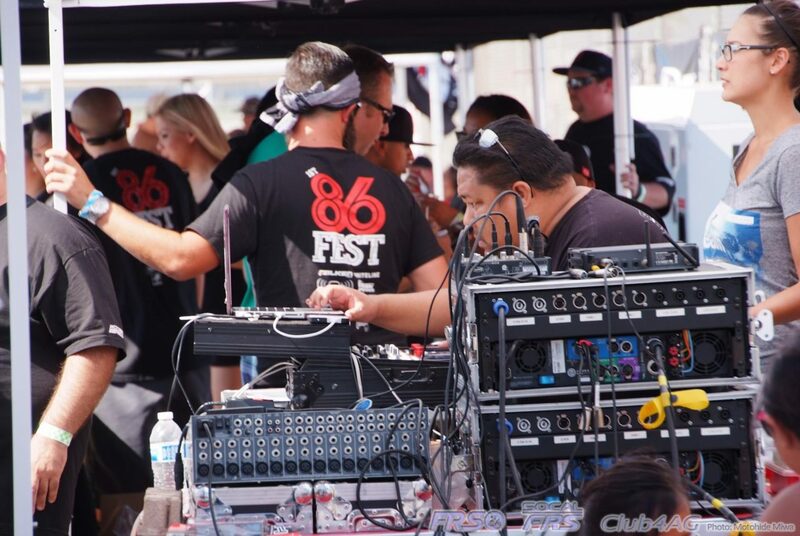 The weekend that falls on the numeric date of 8/6. 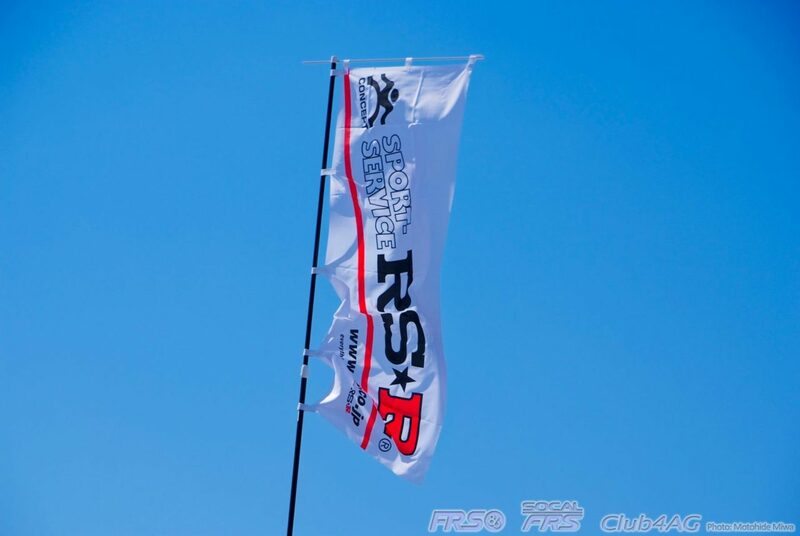 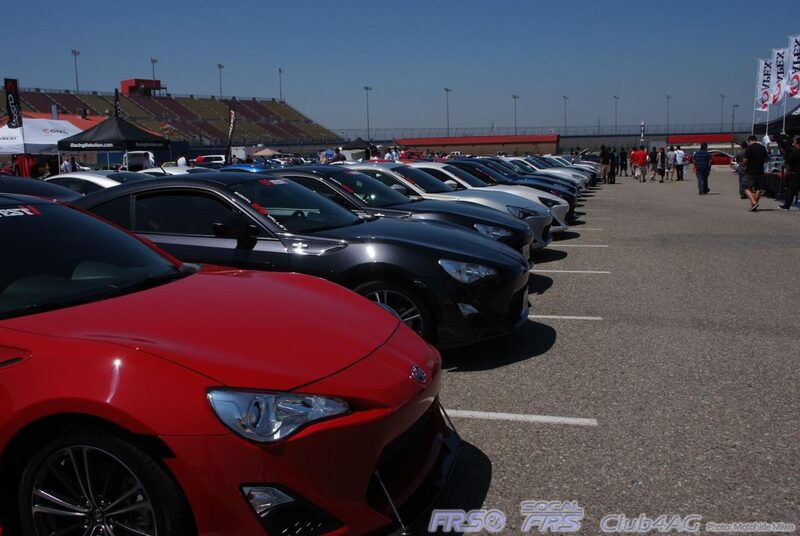 We gathered and celebrated the first anniversary of the new 86 in America, the Scion FR-S, and the Subaru BRZ, along with the original AE86 that inspired three decades of pure sports driving enthusiasm, and resulting in the reincarnation product as the FT86, the new 86. 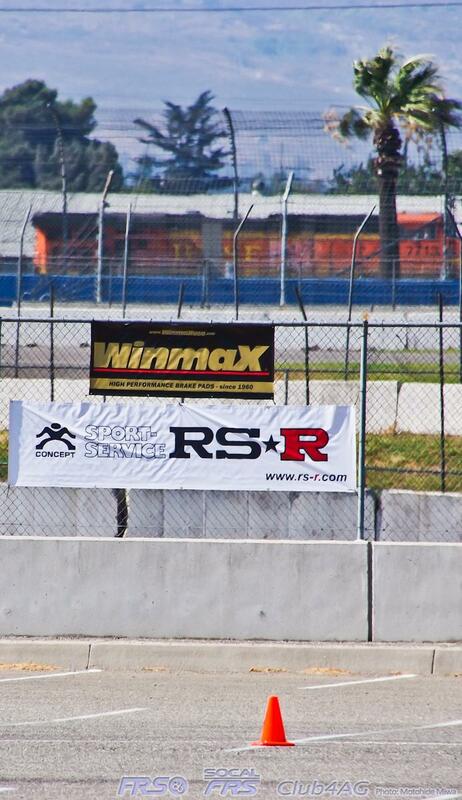 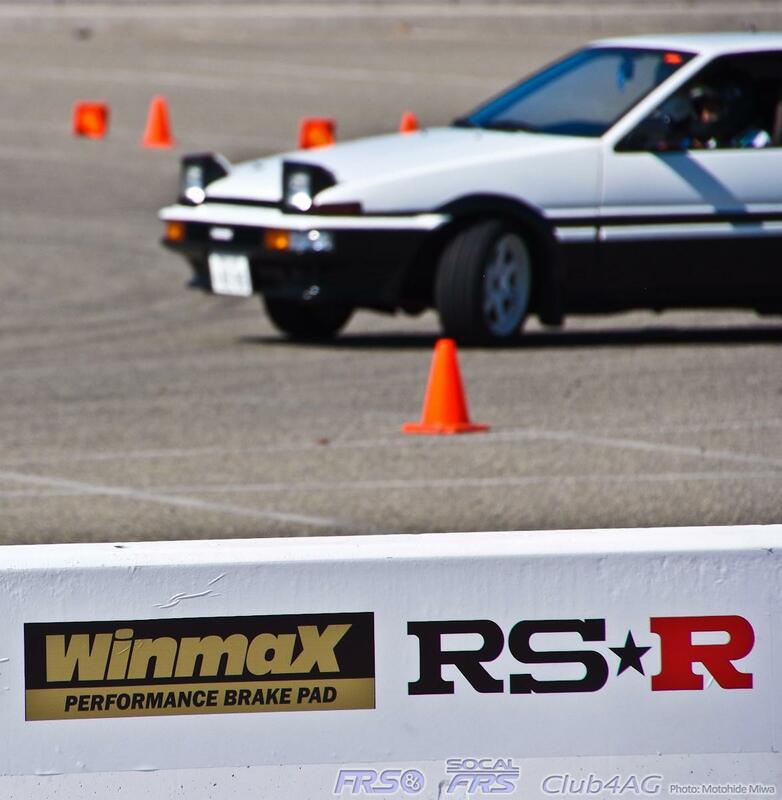 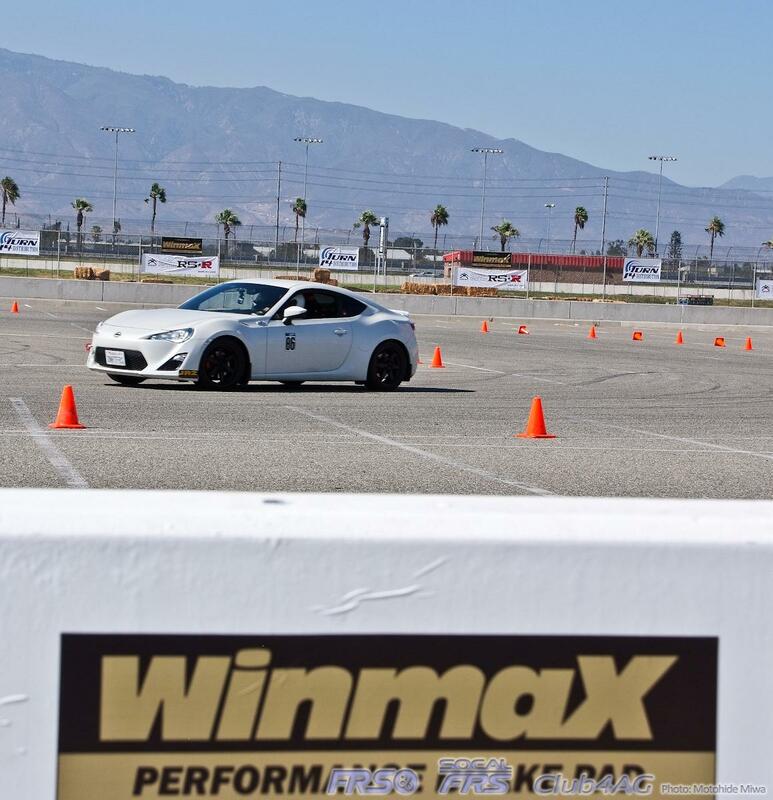 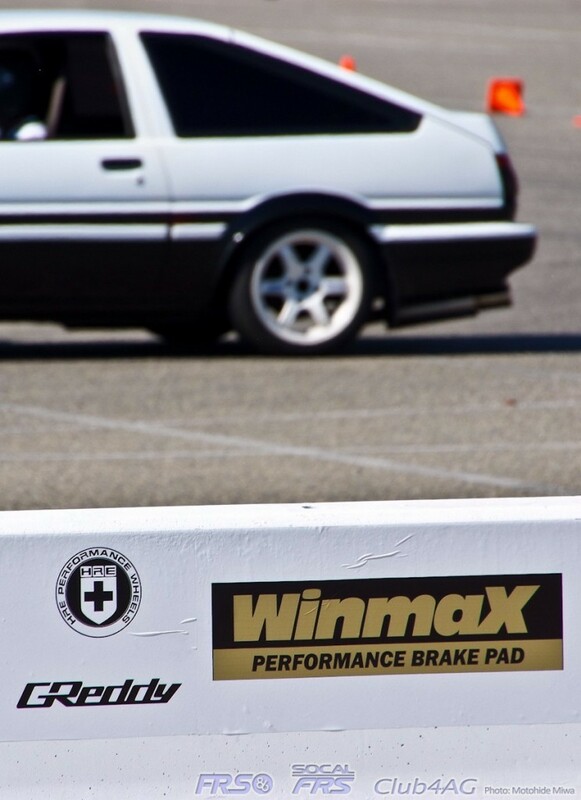 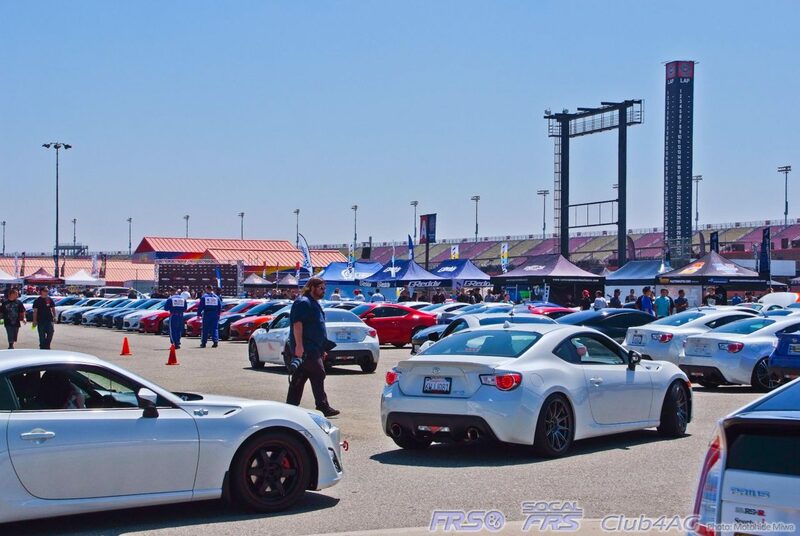 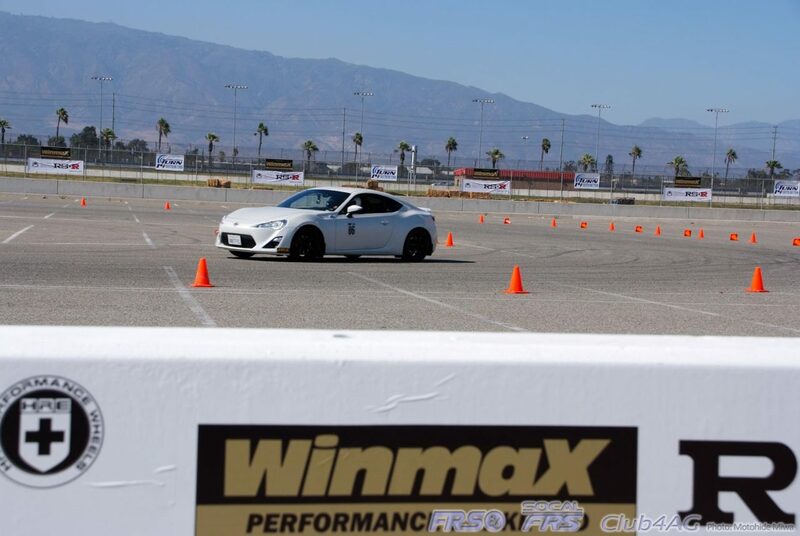 The pilot event to get the event in motion was the 86 Dynamic Driving Academy, presented by WinMax Performance Brakes, and RS*R Suspension Systems. 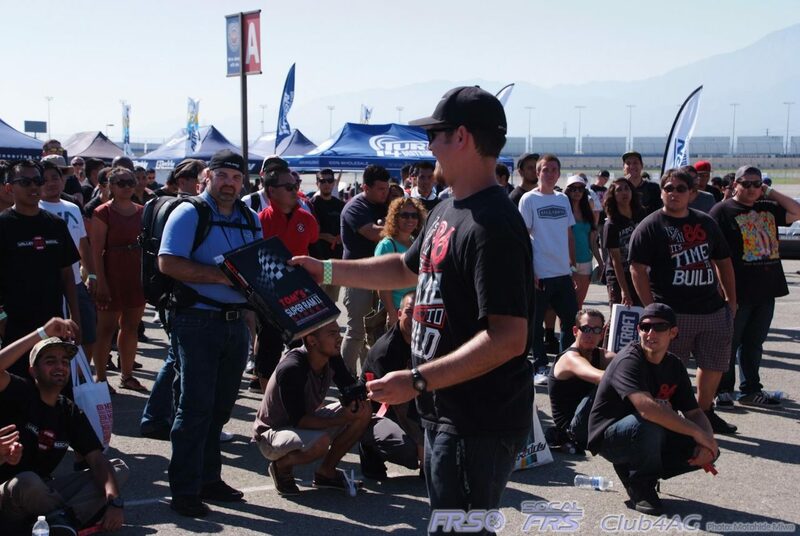 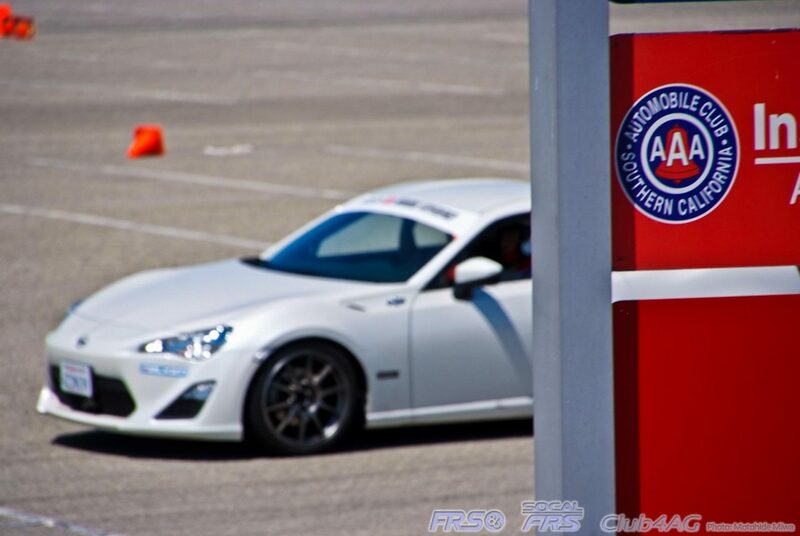 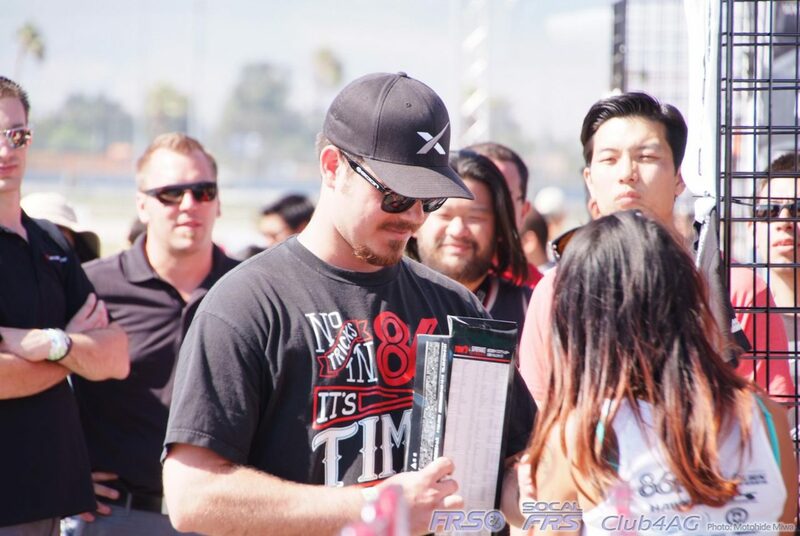 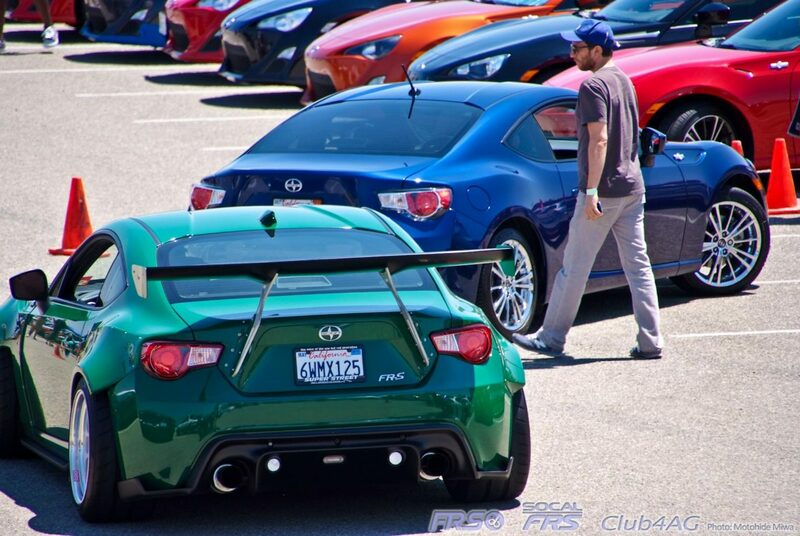 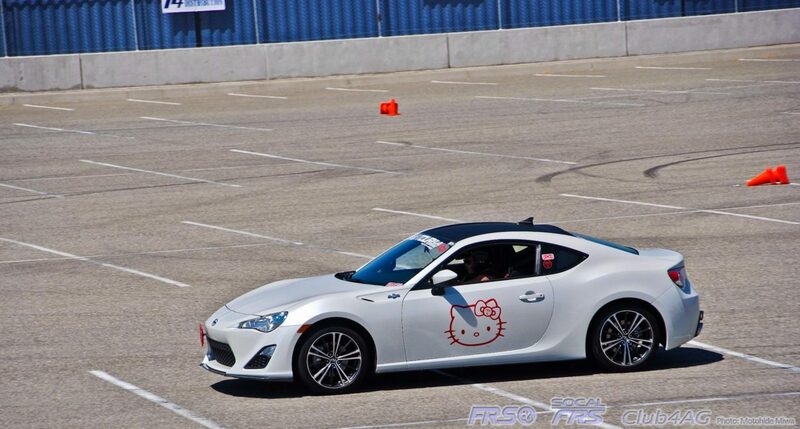 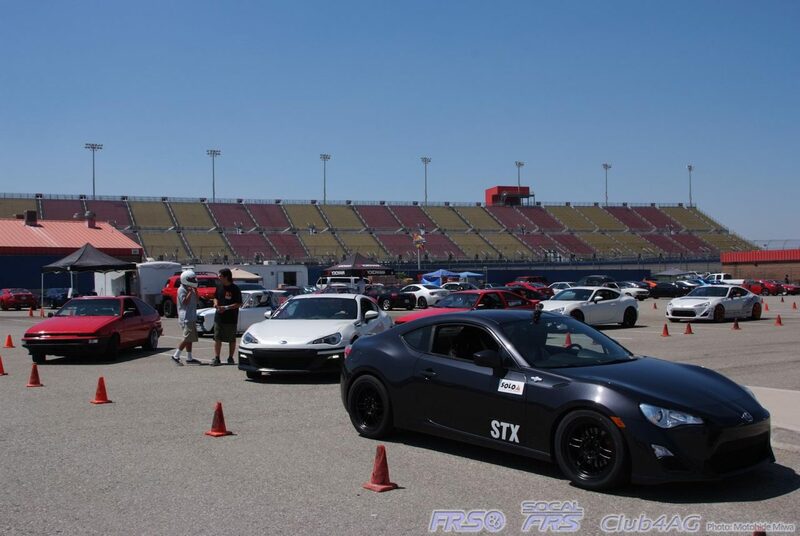 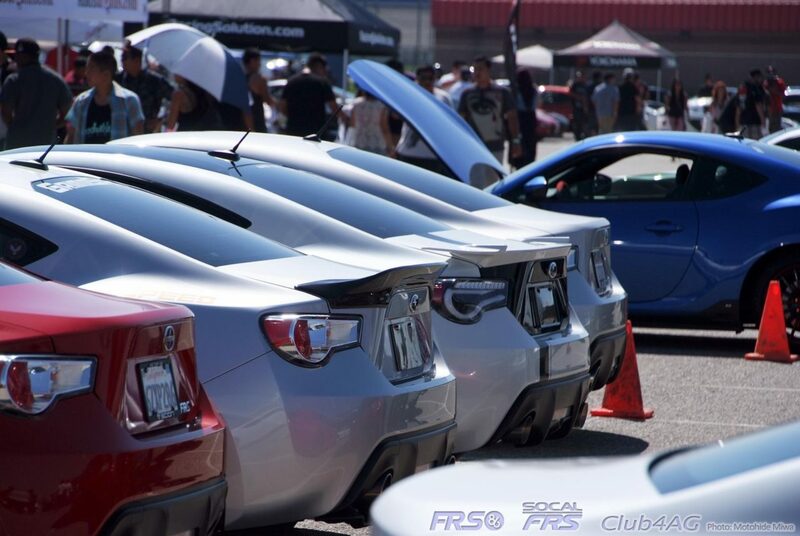 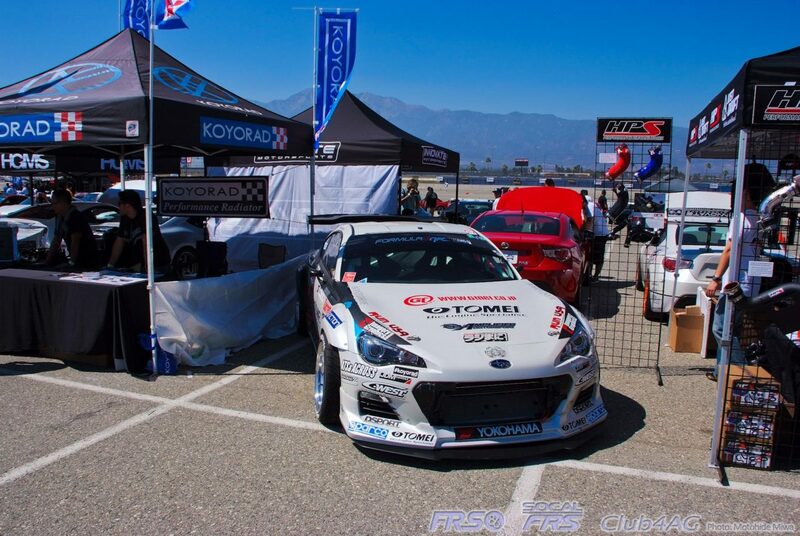 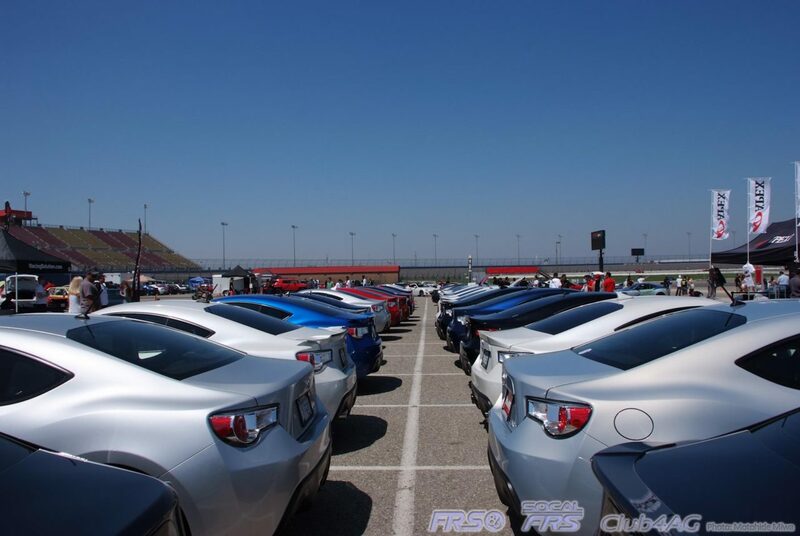 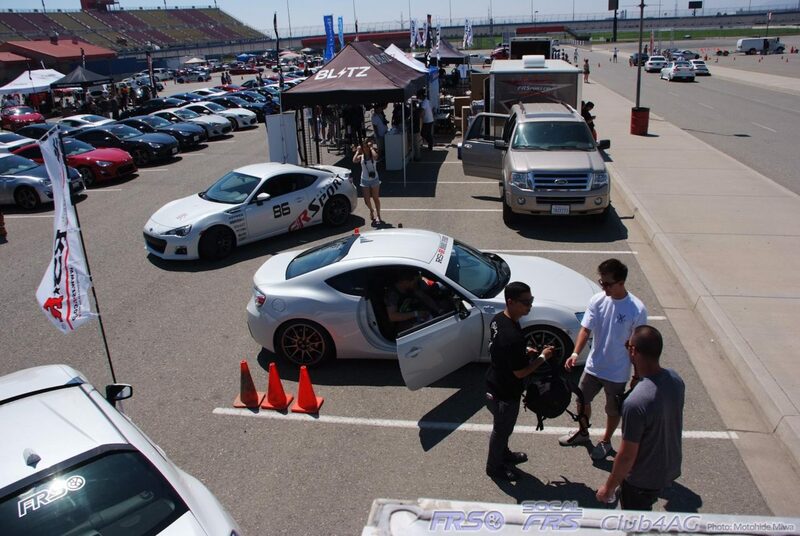 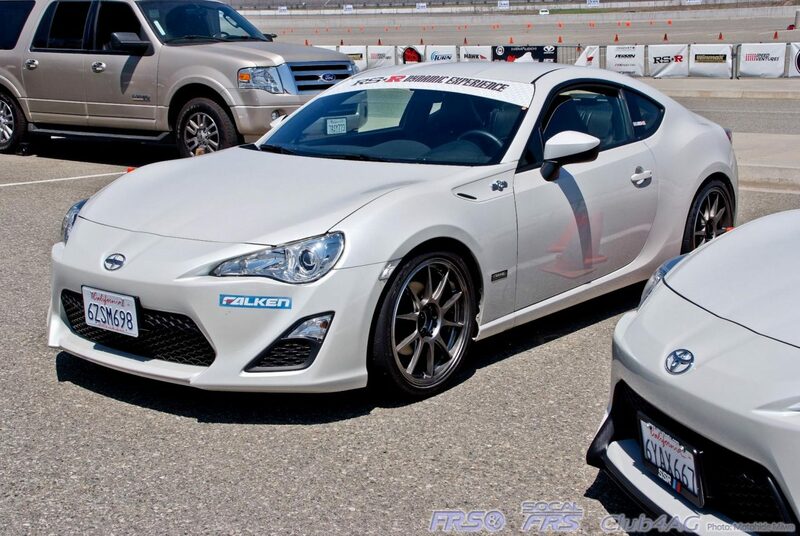 Hosted and operated by the original Club4AG crew that operated the D1GP USA, Showoff Series, and the local Drift Day in the past, the new generation of FR-S and BRZ pilots came out in force to learn about the true handling character of the new 86. 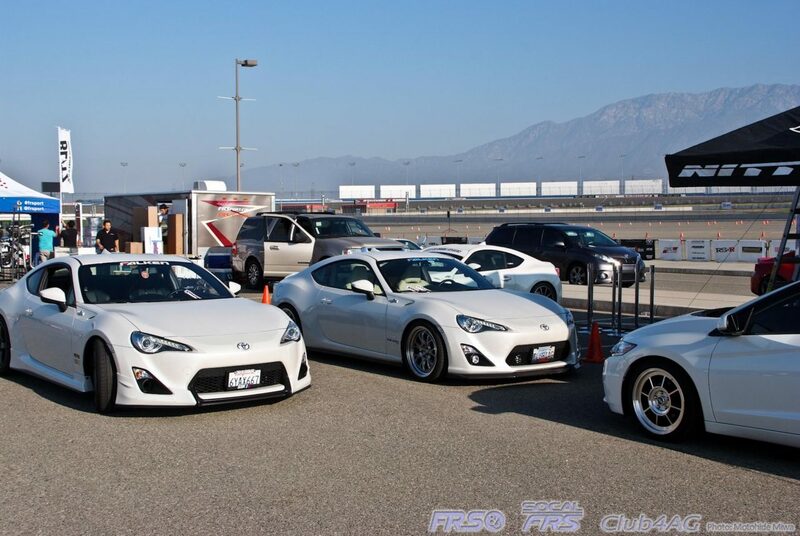 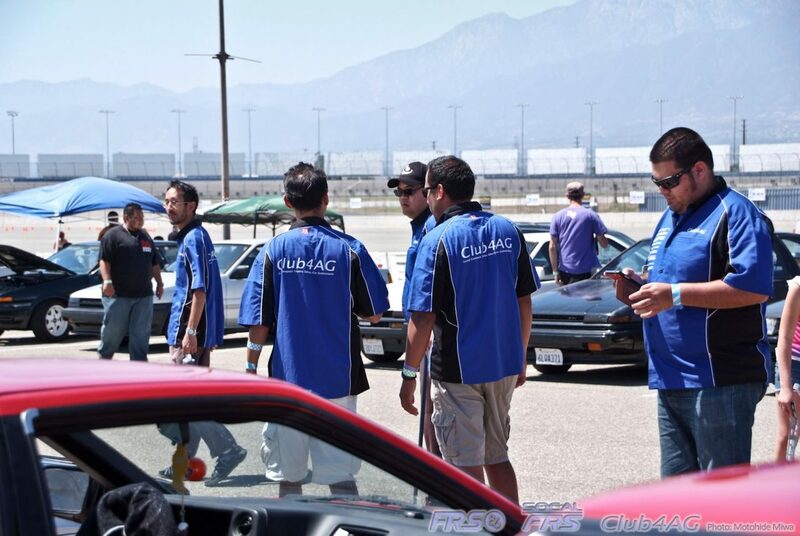 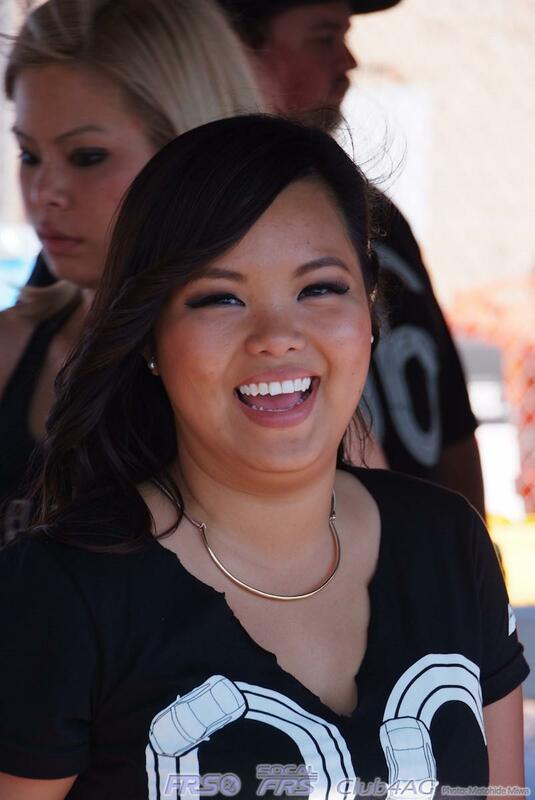 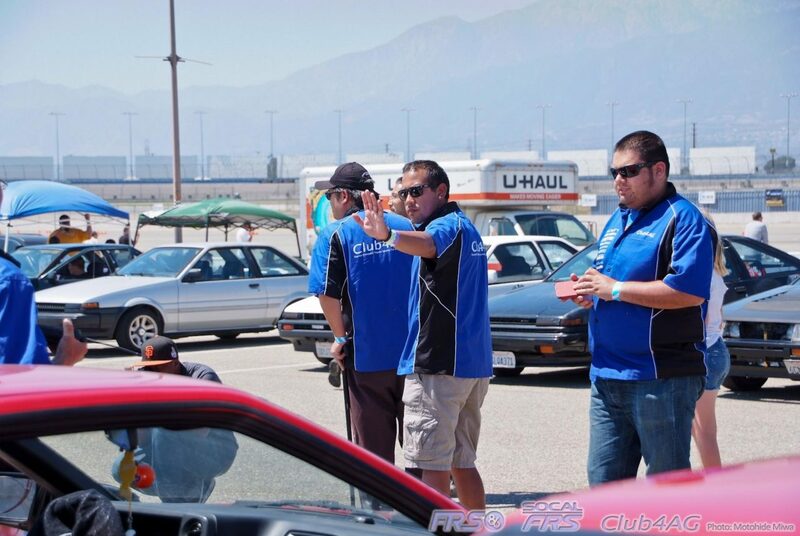 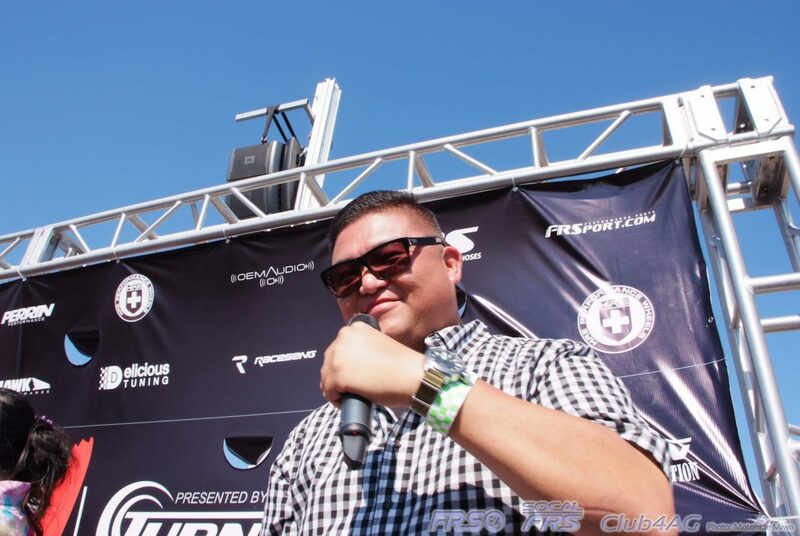 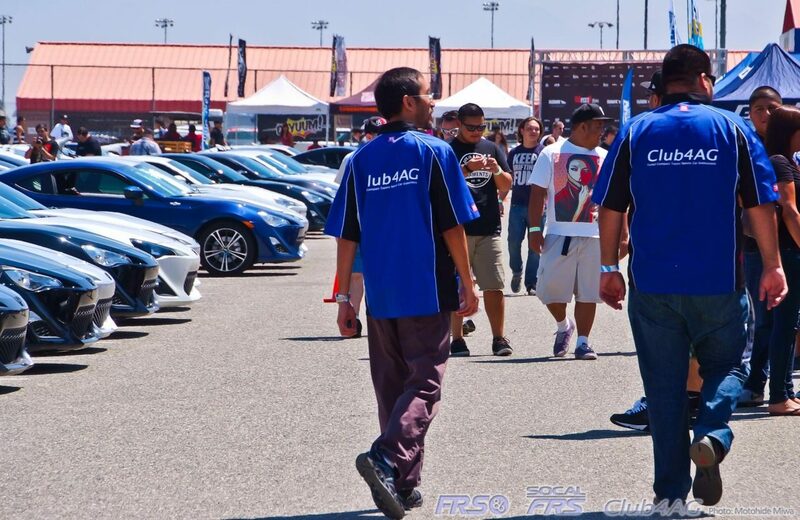 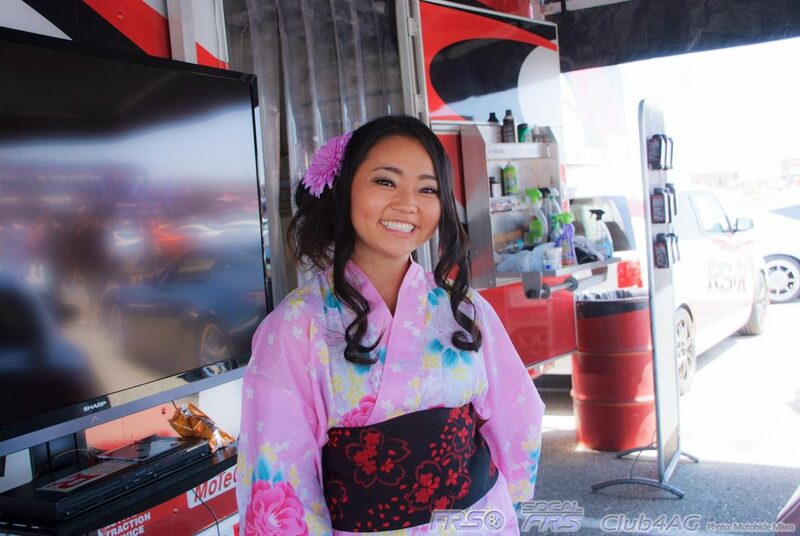 Out on the specially designed exercise zones, and autocross, and instructed by the best in the industry, Taka Aono and Hiro Sumida taking on a chief instructor role, the learning experience was all about fun, dedication, and learning to dance with cars. 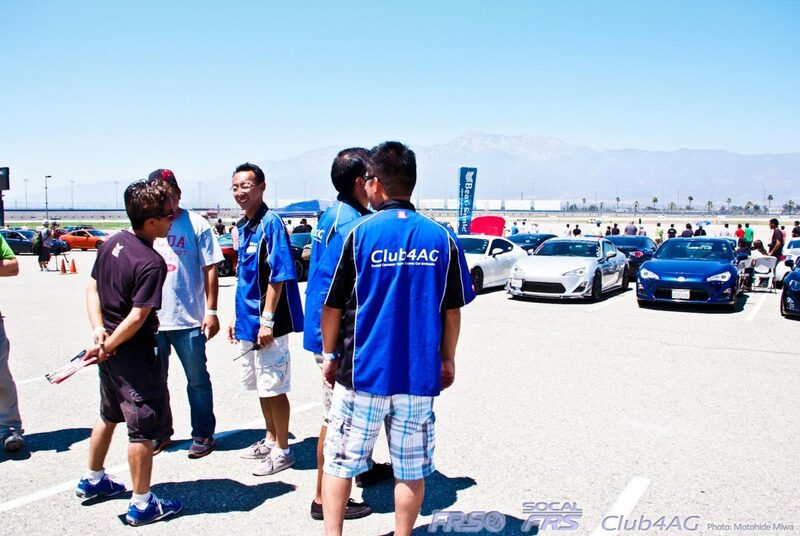 From principles of dynamic vehicle control to basic elements of performance driving, it is always a pleasure to have people learn about handling of any particular car. 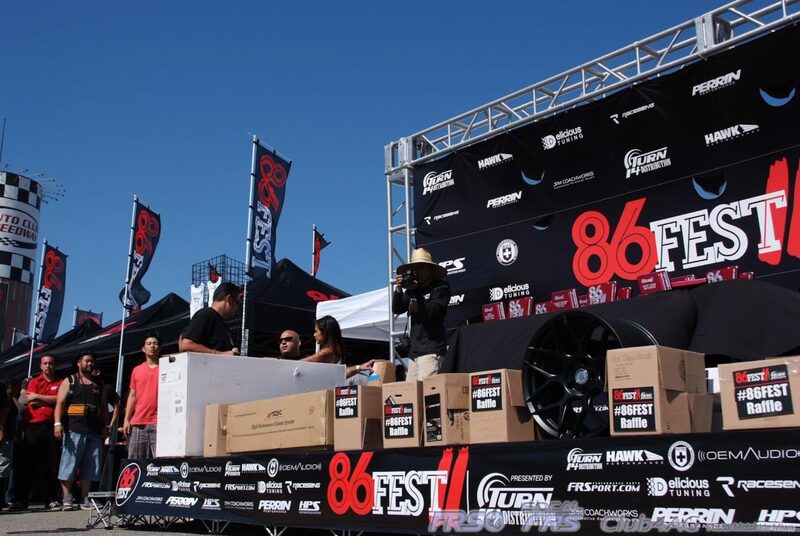 A full day of roasting tires and burning fuel, the day was just full of sun-burned smiles for all the boys and girls who came out to play. 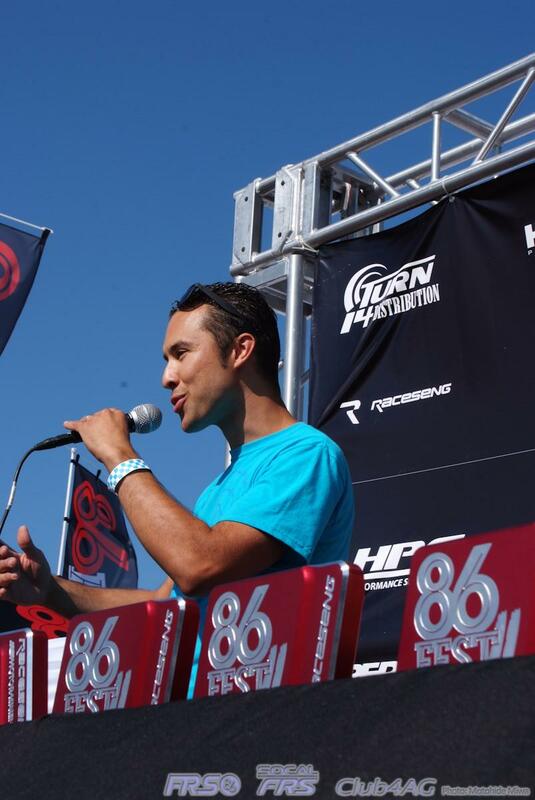 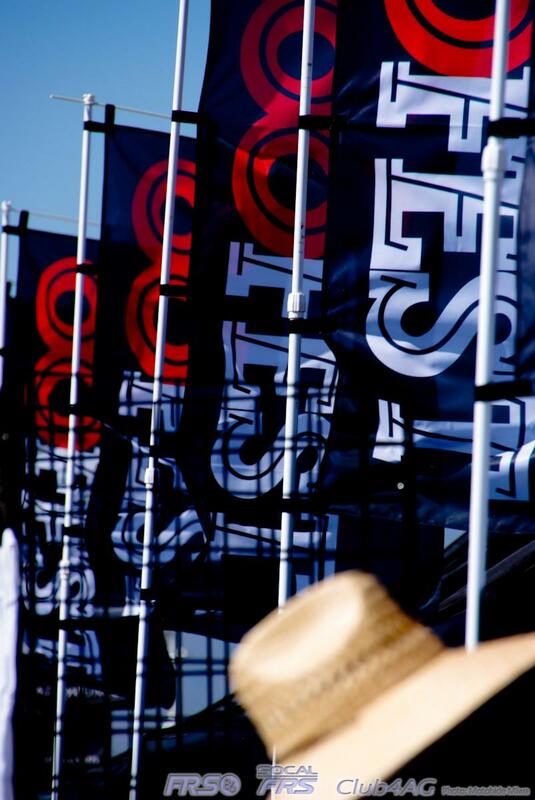 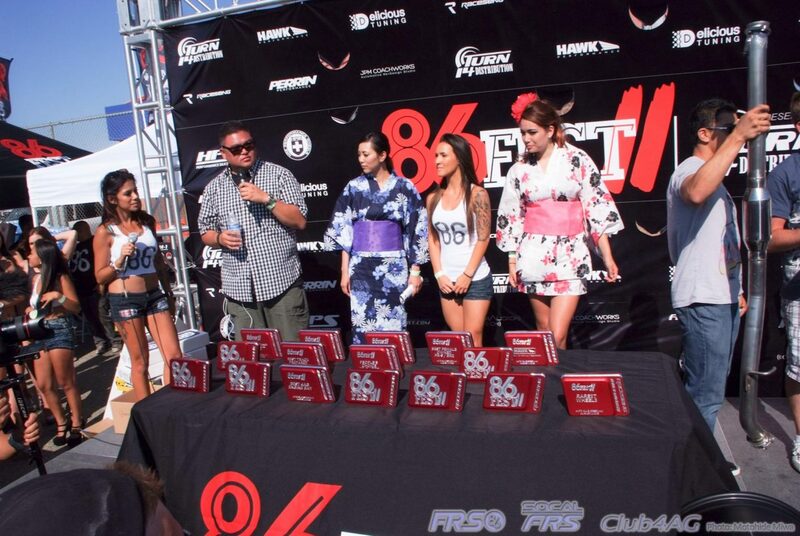 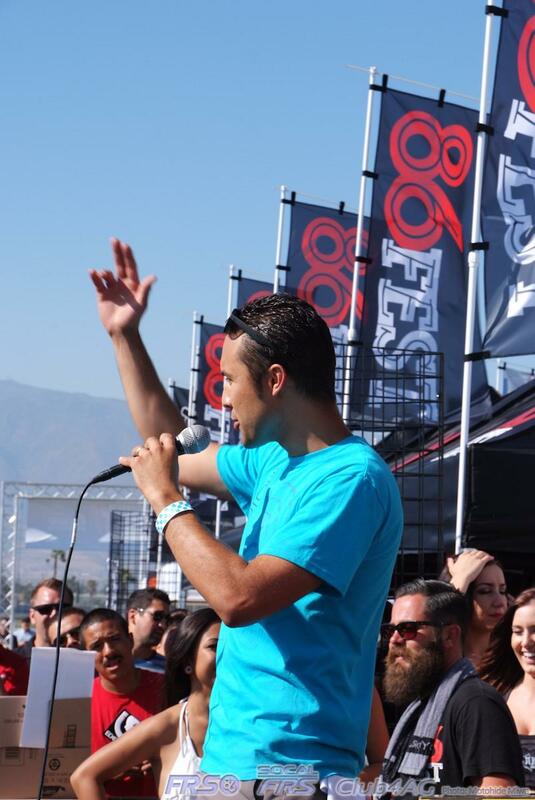 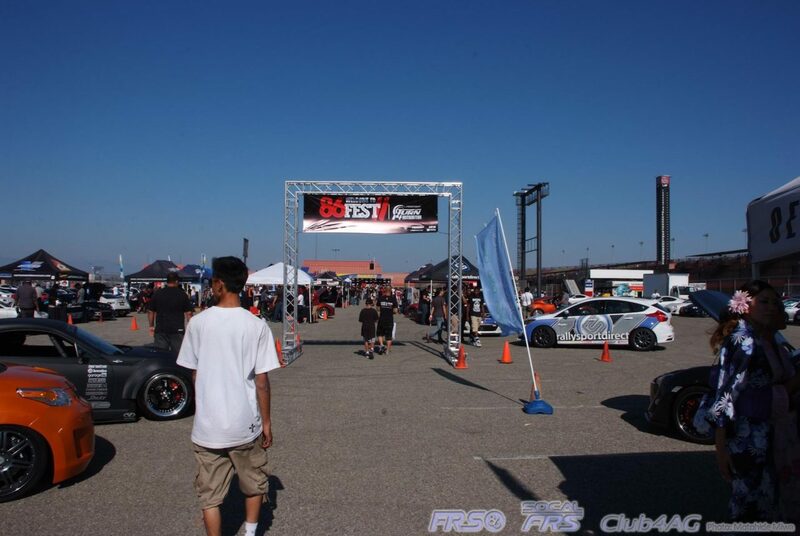 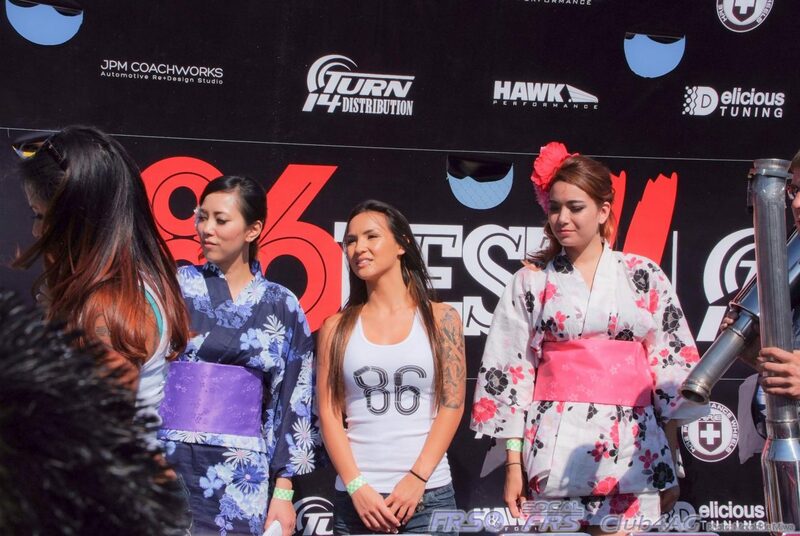 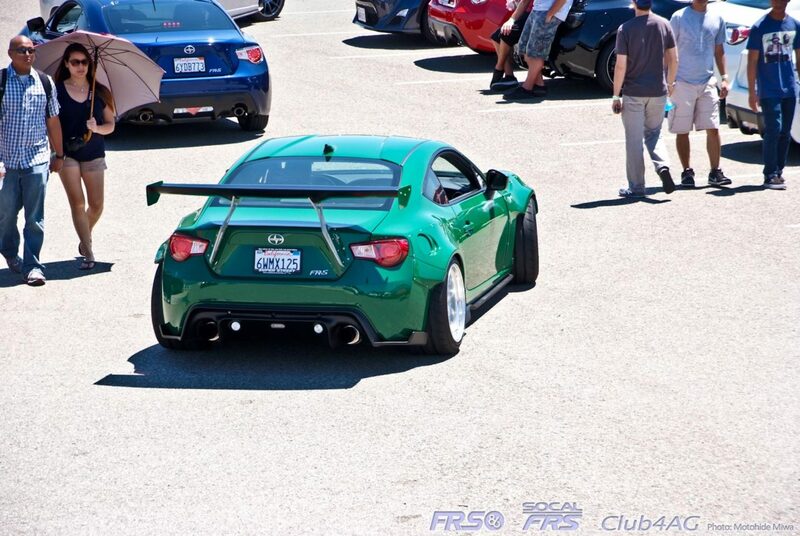 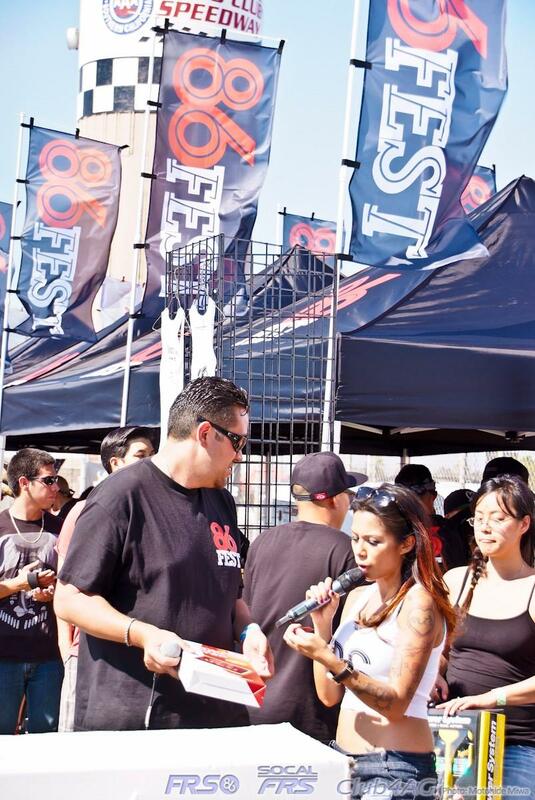 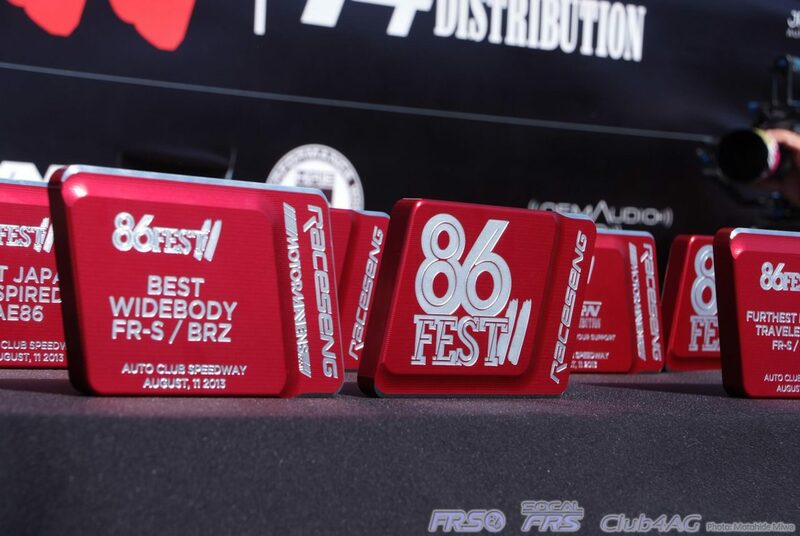 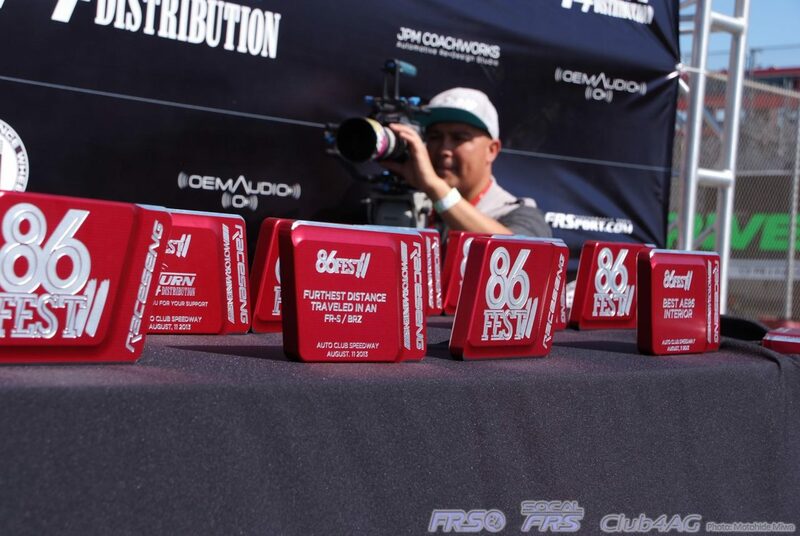 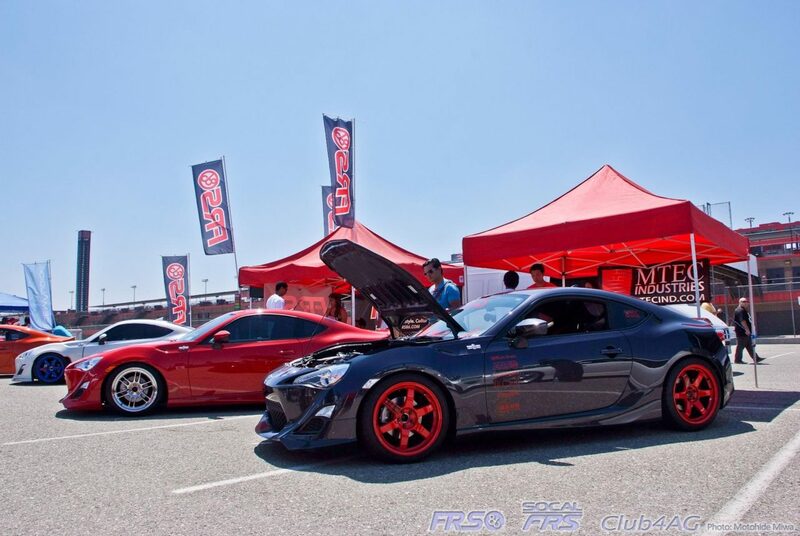 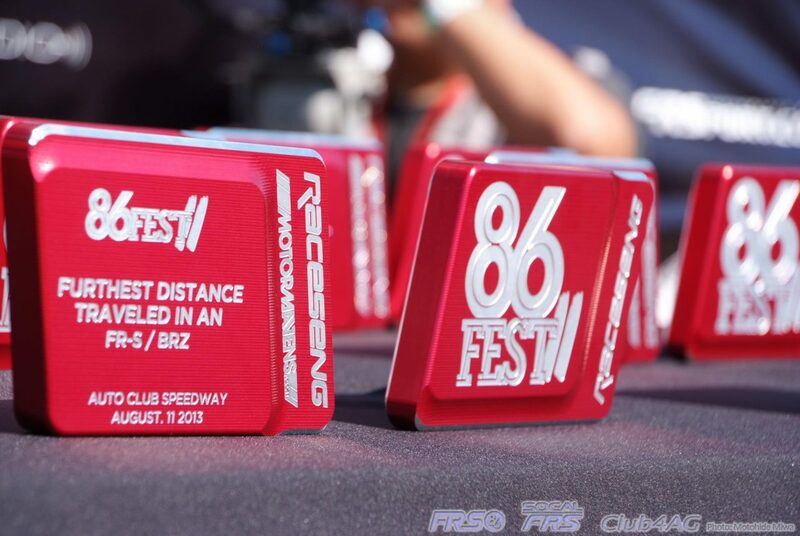 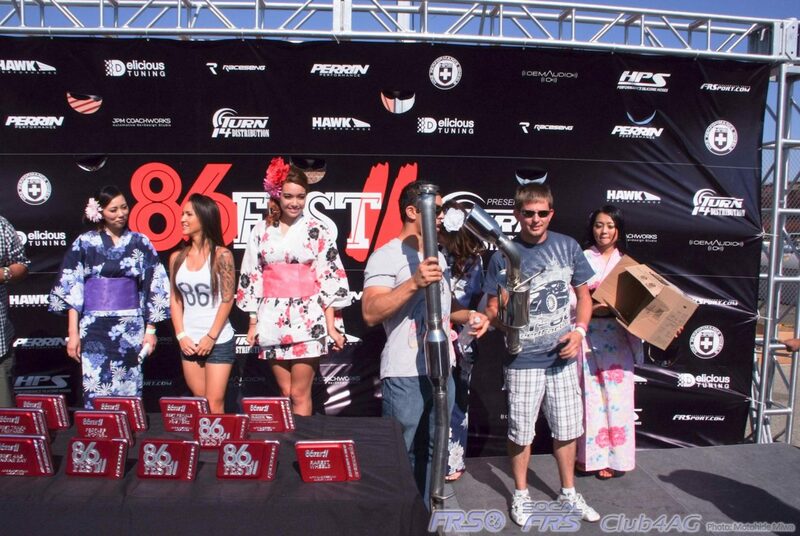 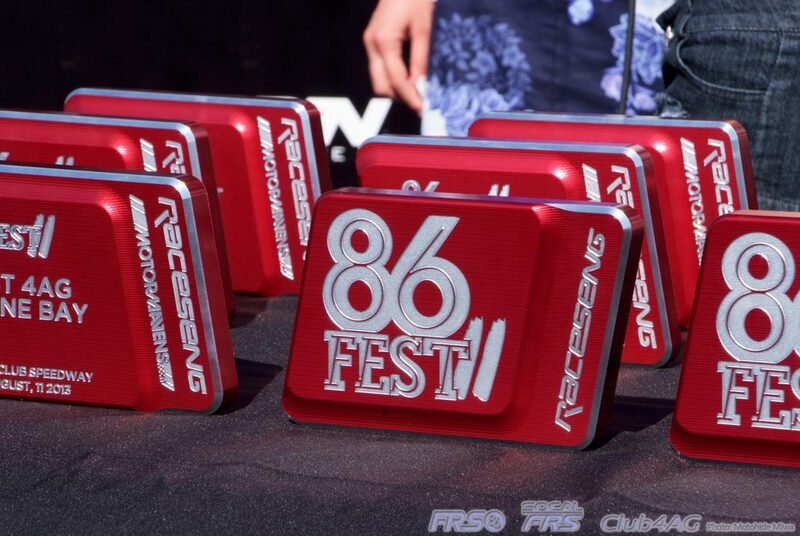 As for the main event, the 86FEST on Sunday, this is the second year, and first fully planned event for the 86FEST. 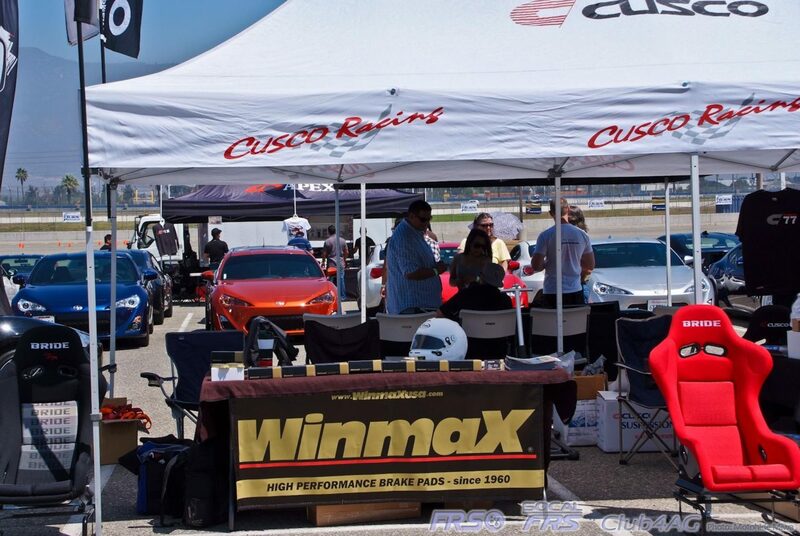 Presented by TURN14 Distributing, and myriads of sponsors and organizations that number nearly one hundred entities, all pitched in something to make the day like nothing other. 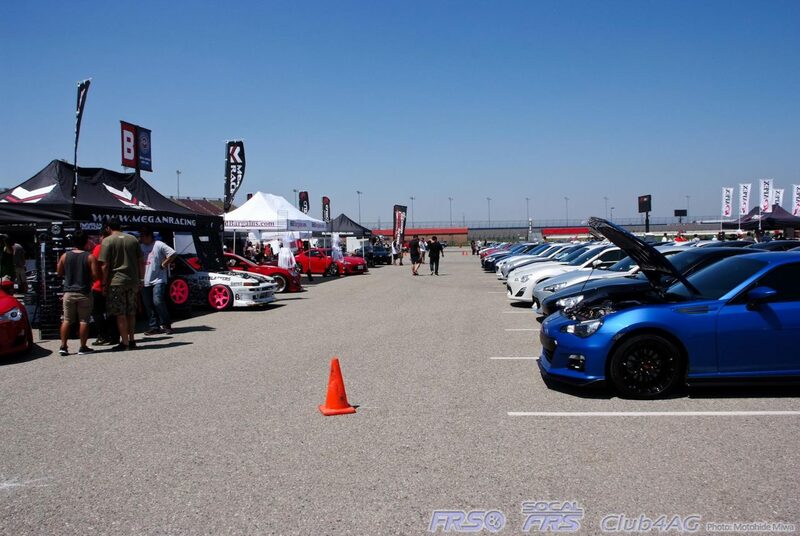 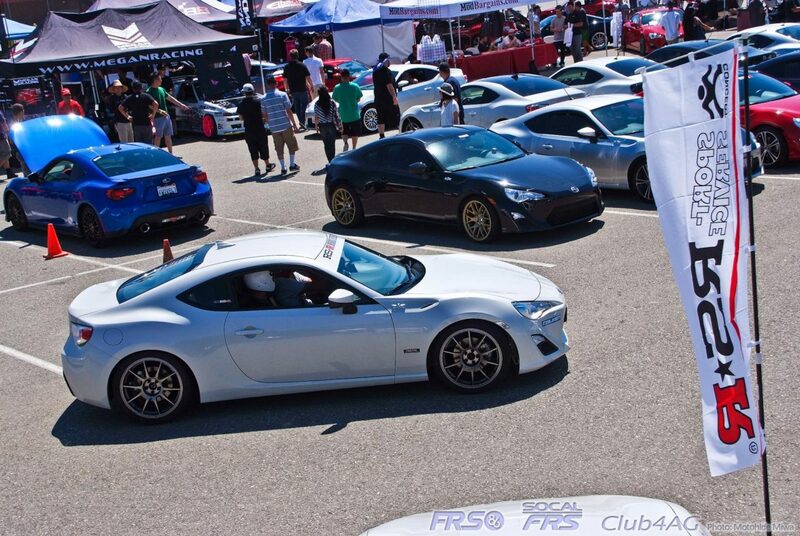 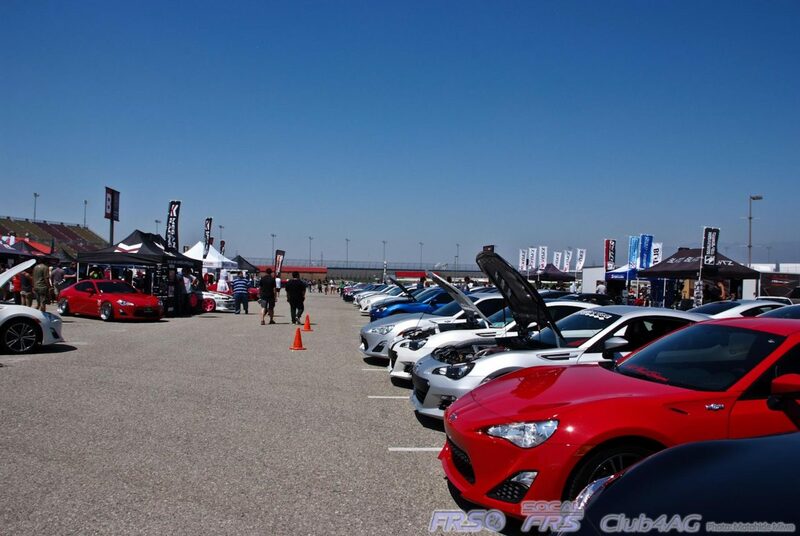 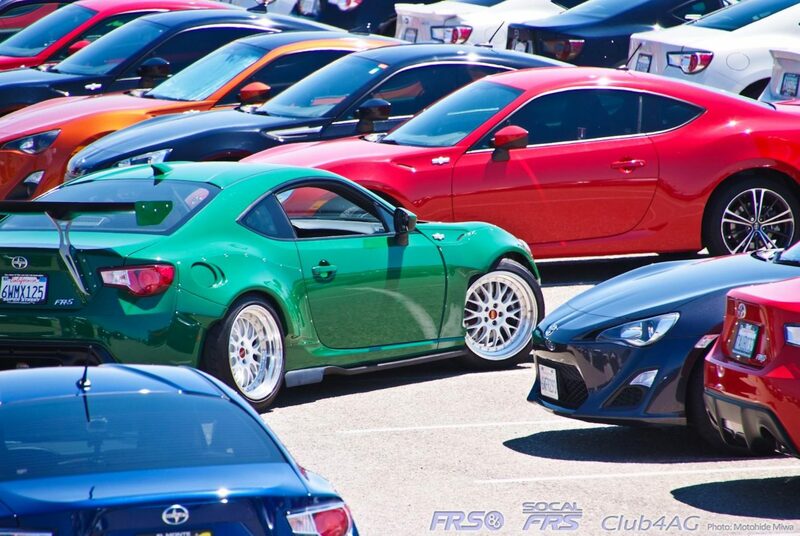 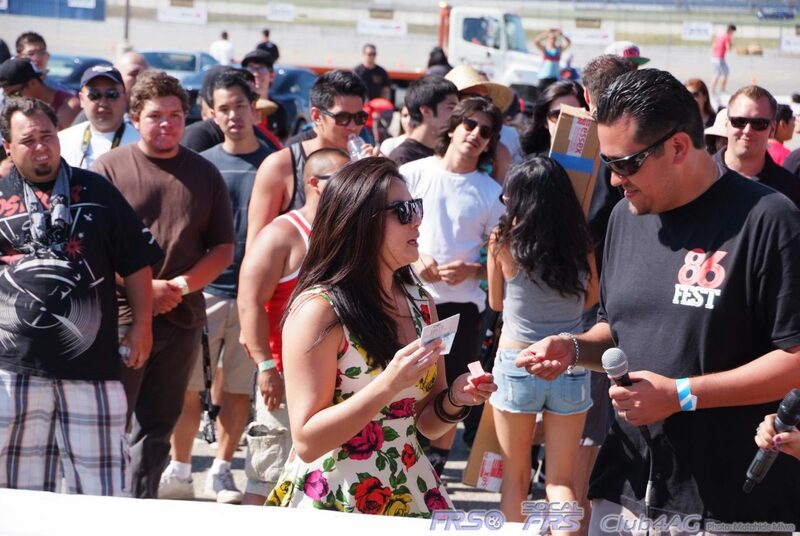 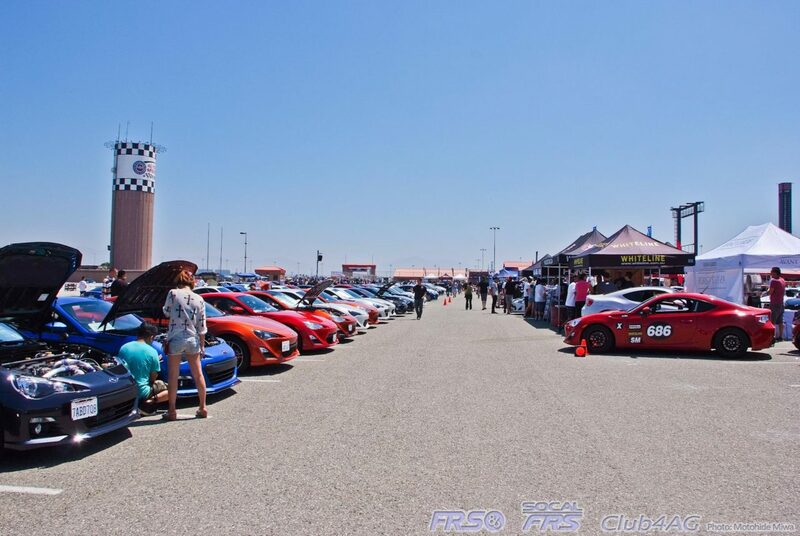 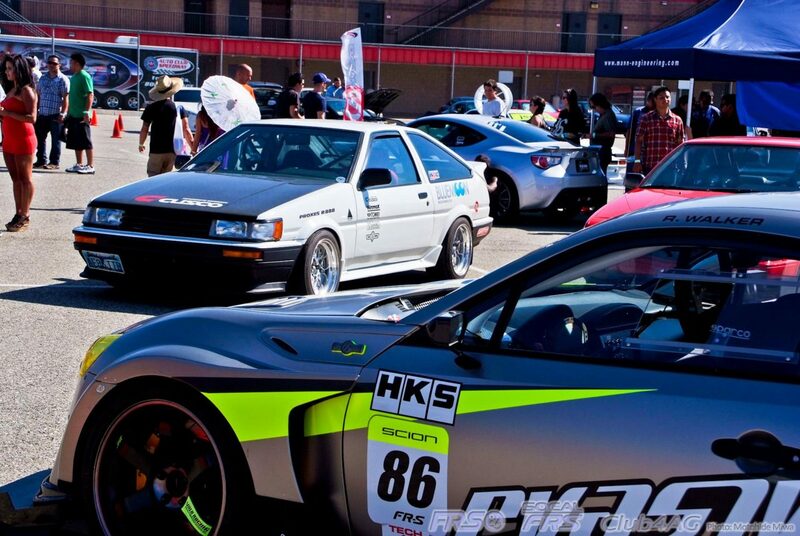 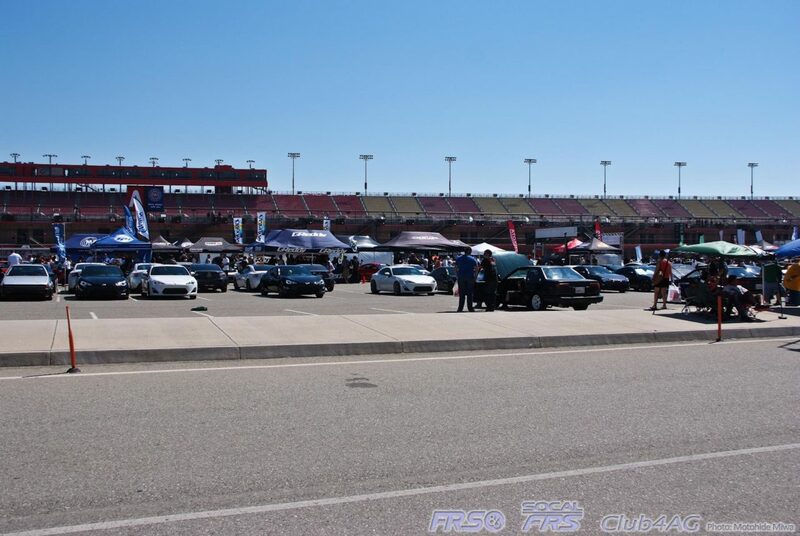 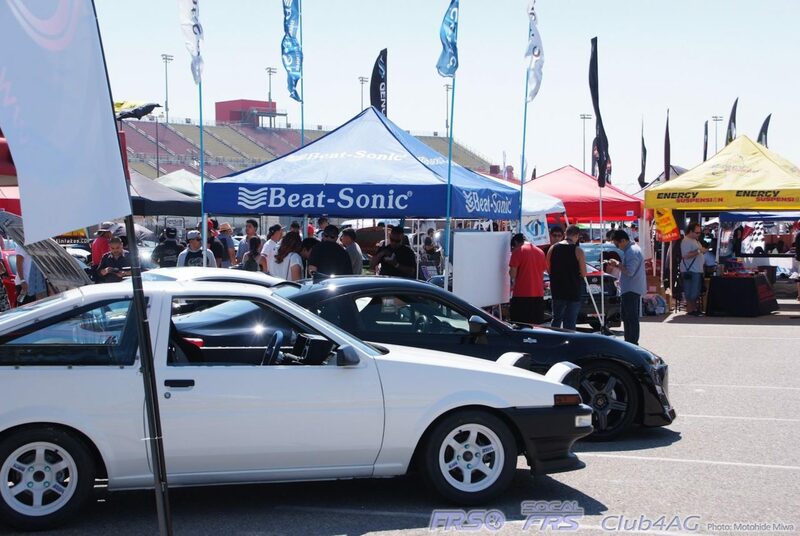 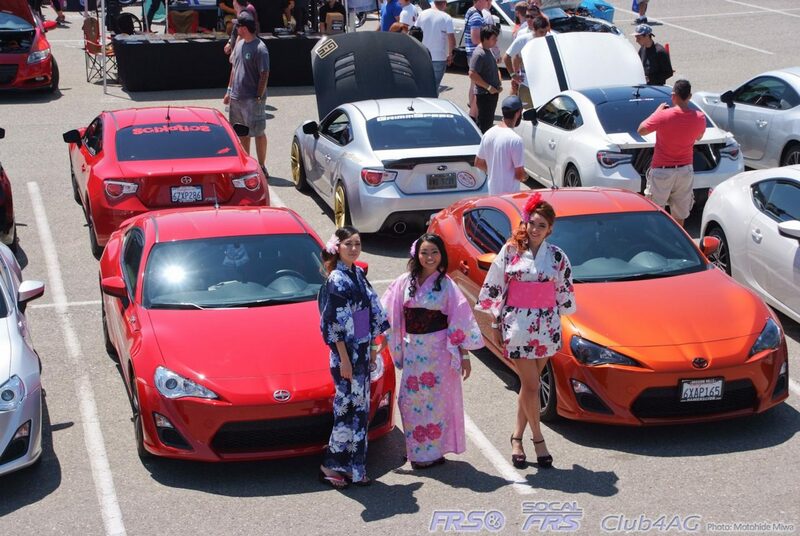 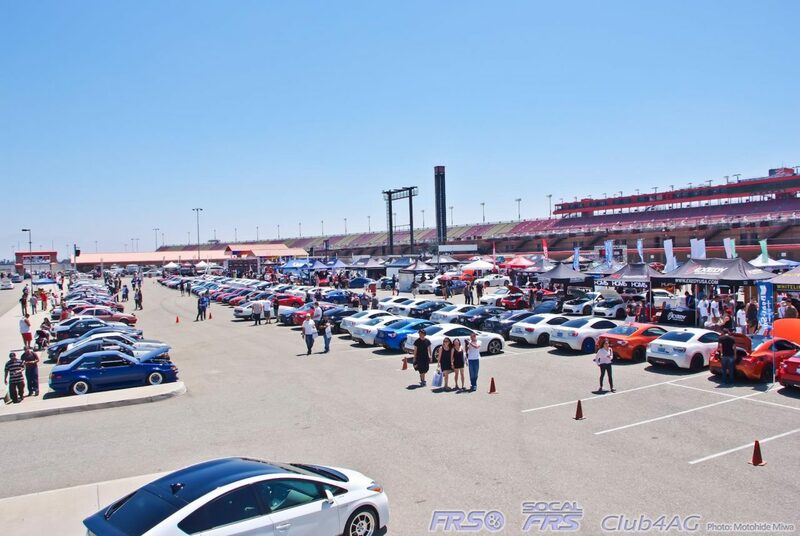 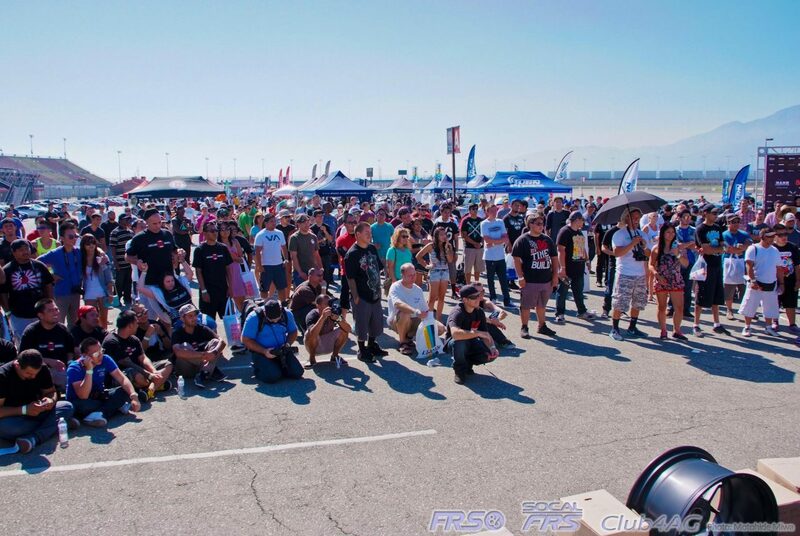 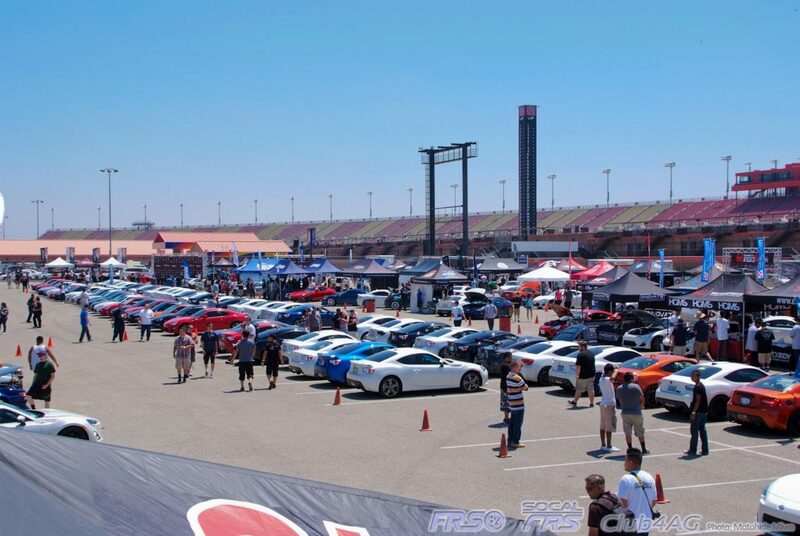 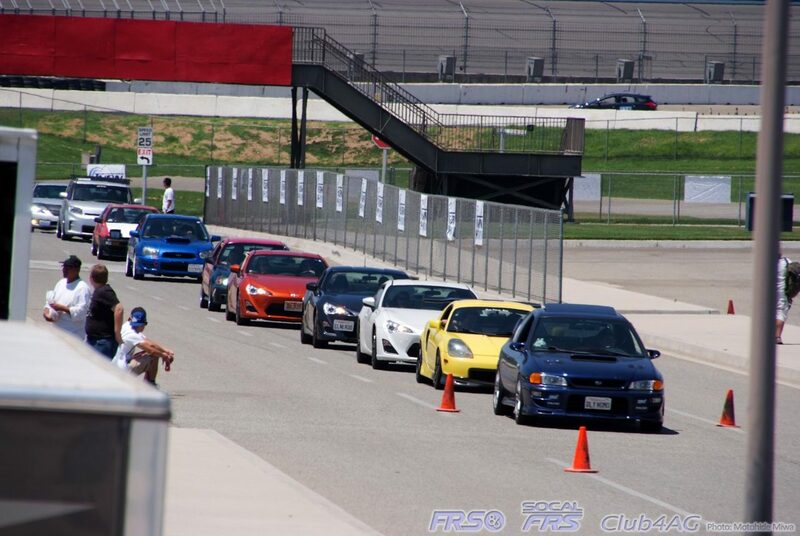 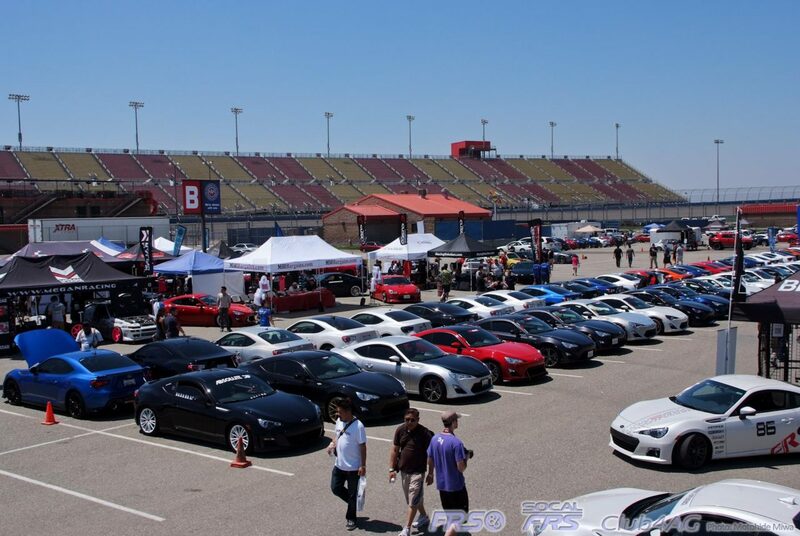 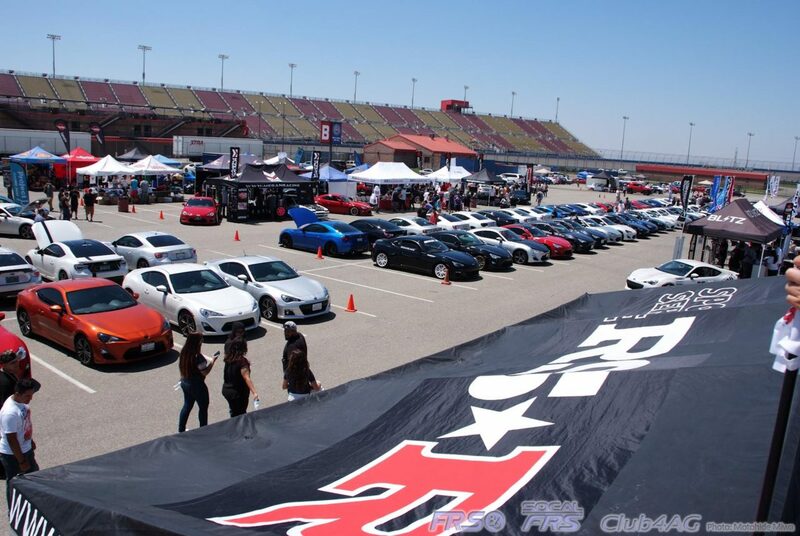 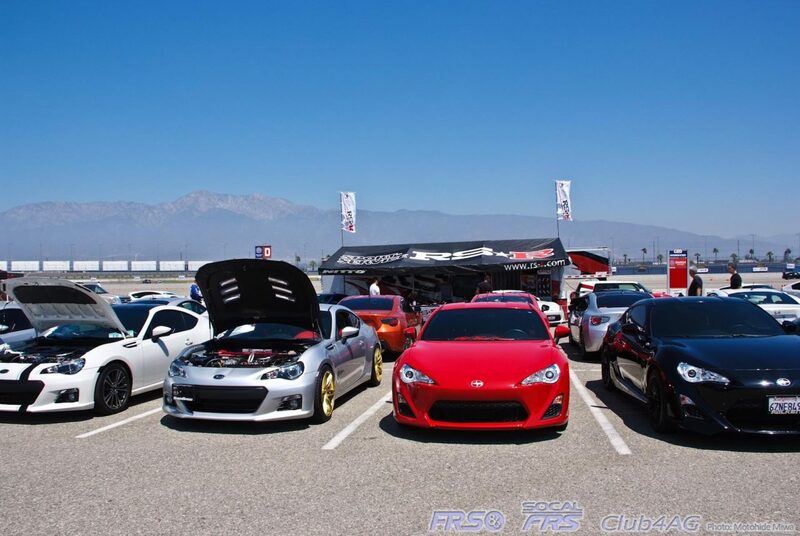 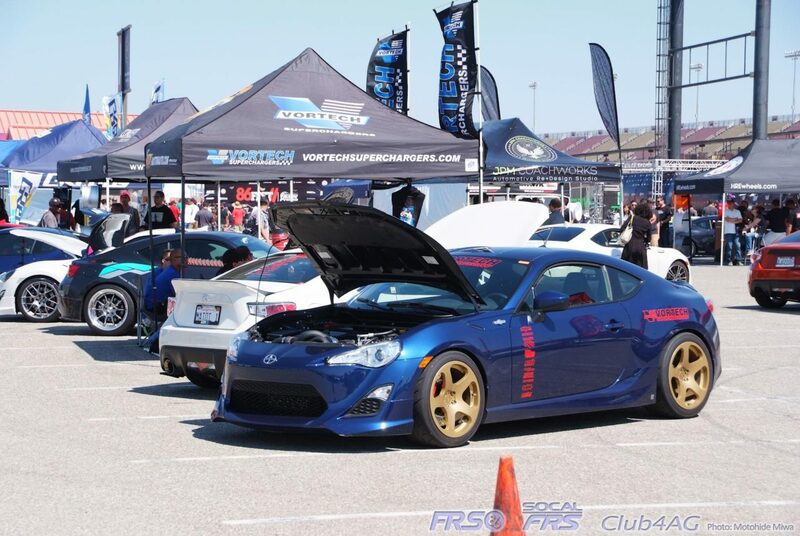 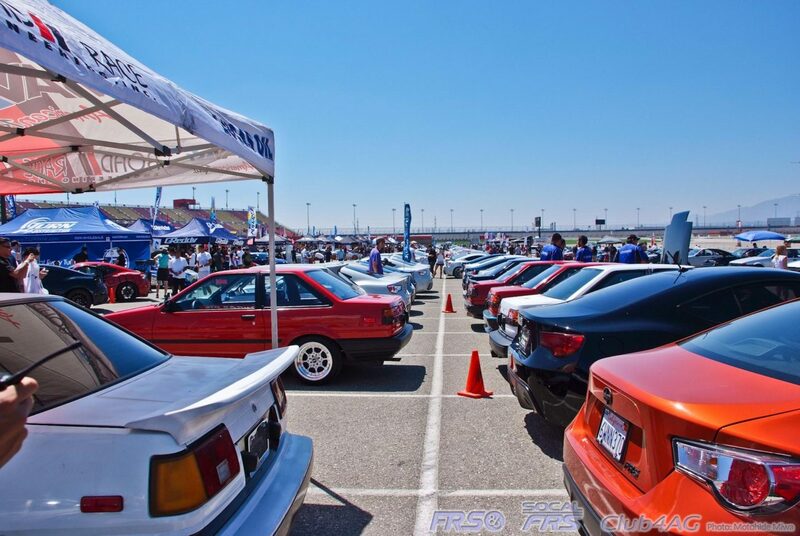 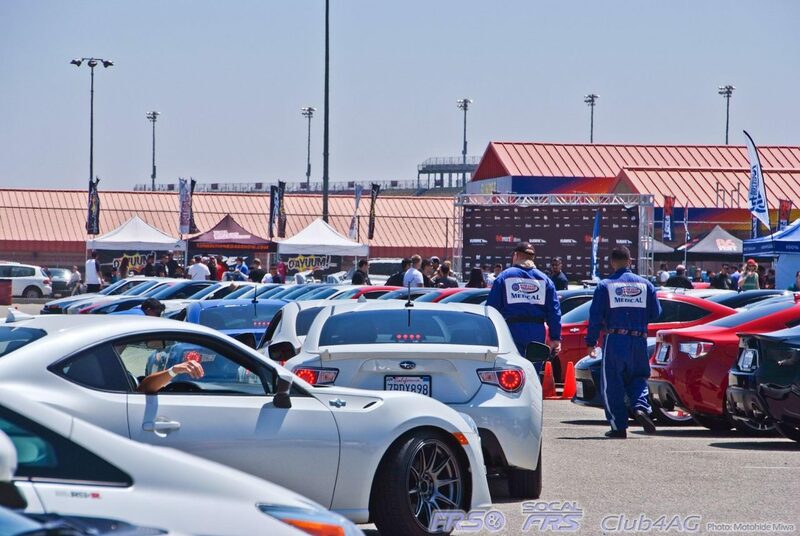 With 254 FR-S and BRZ, and 32 AE86's that gathered along with 4500 people that were present, it sure did become a party! 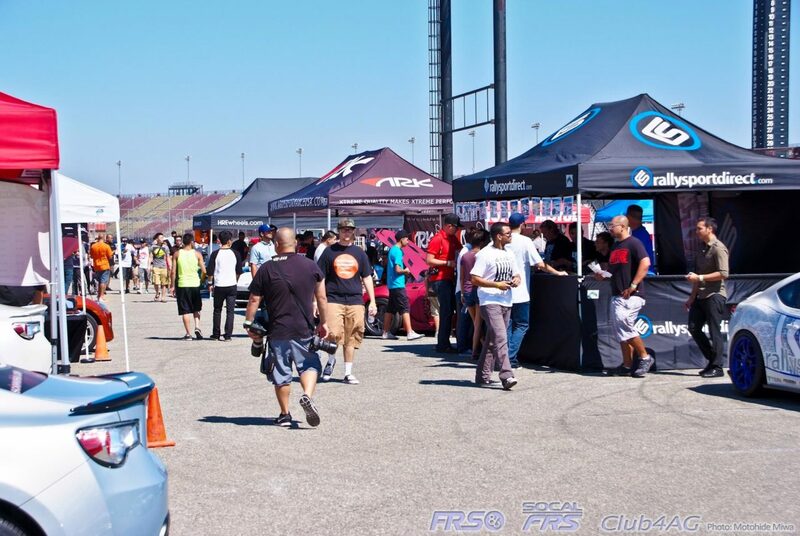 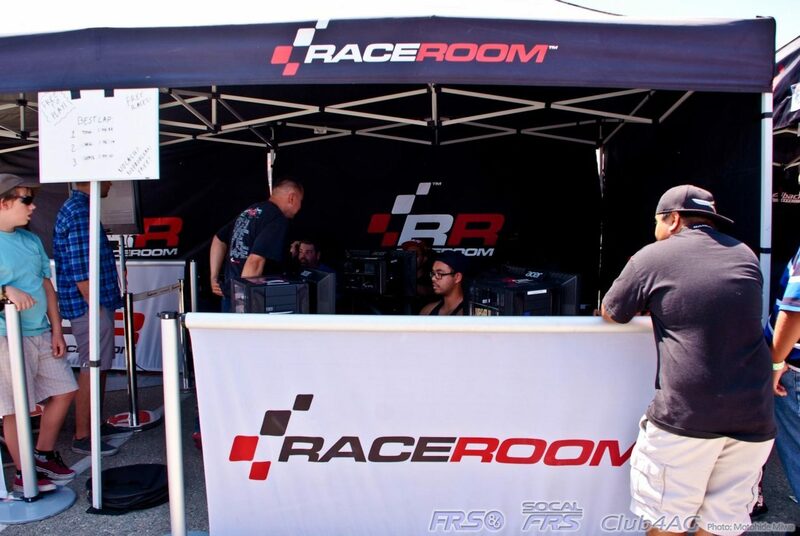 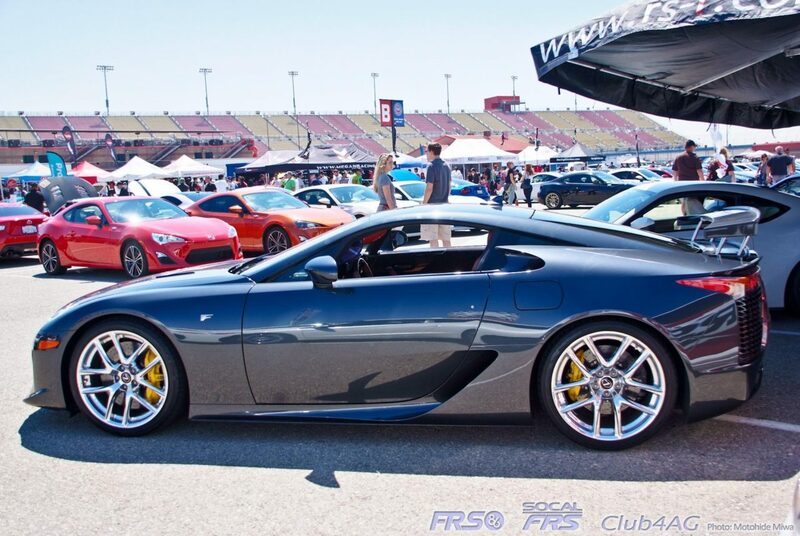 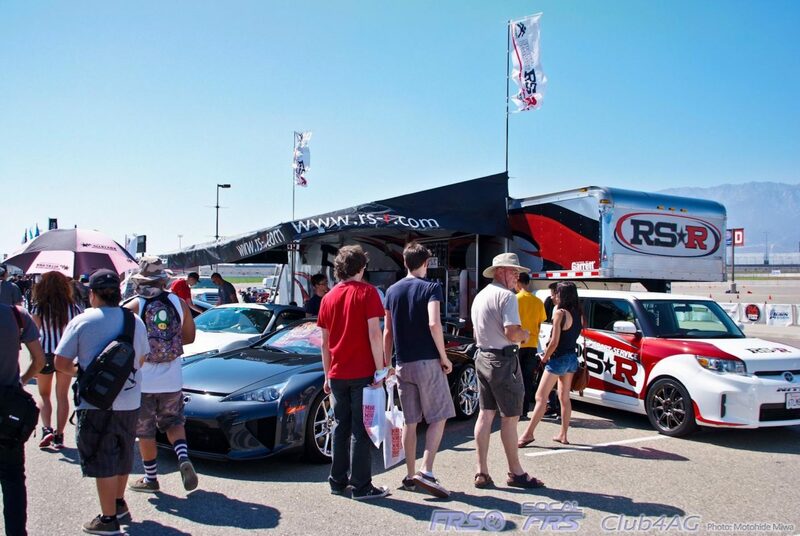 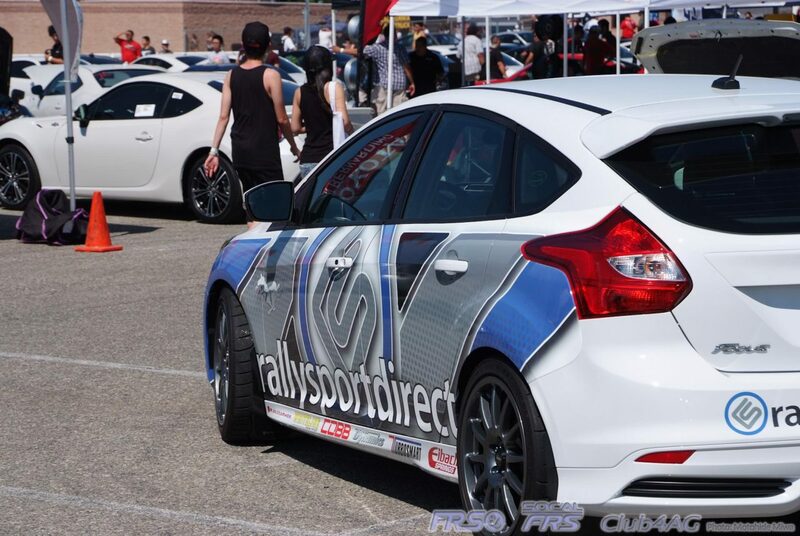 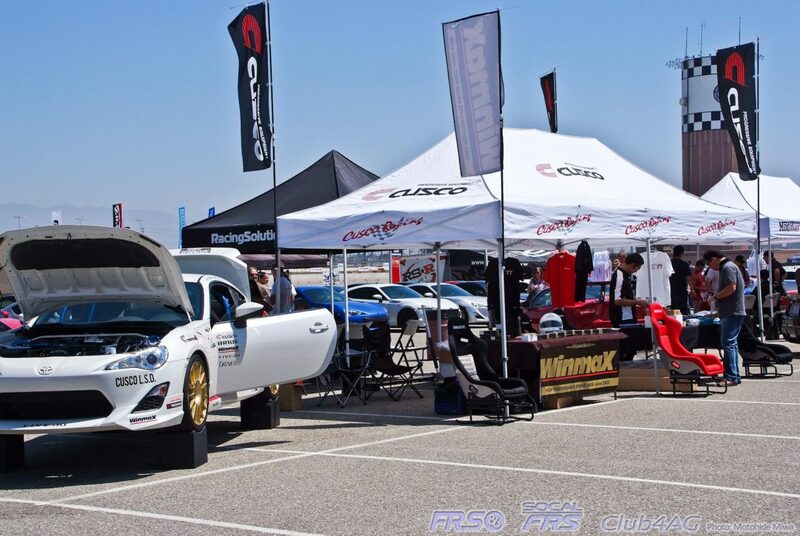 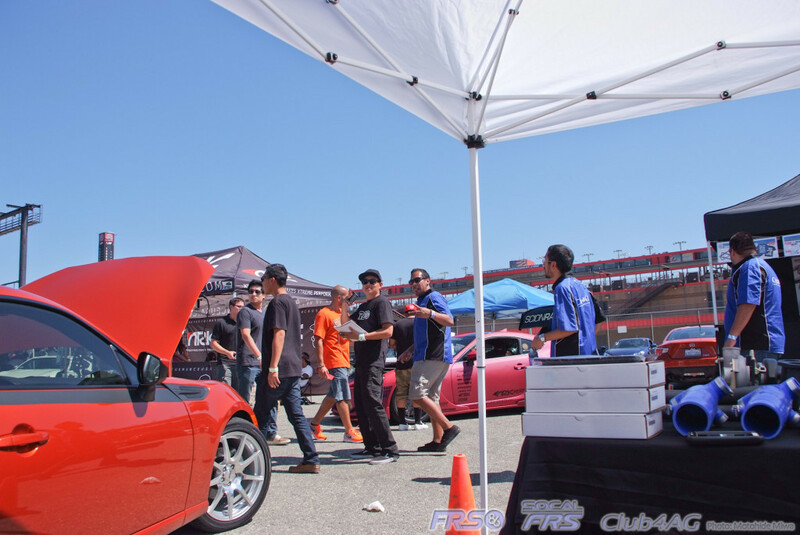 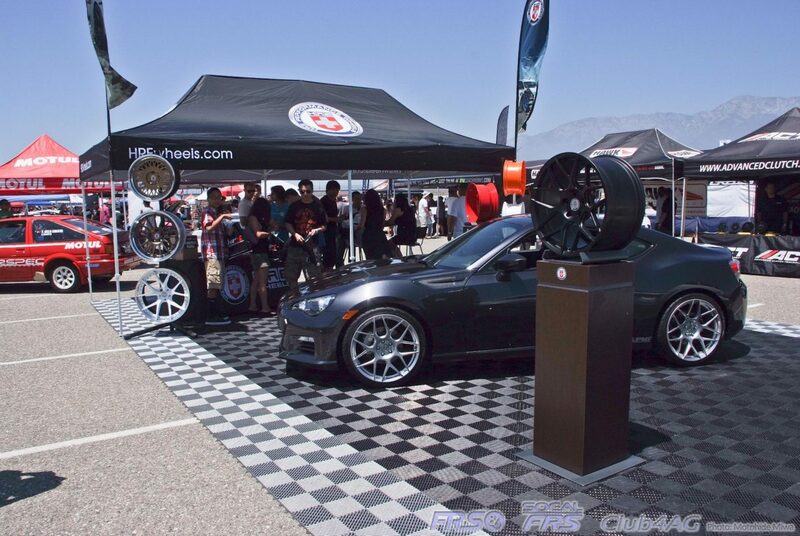 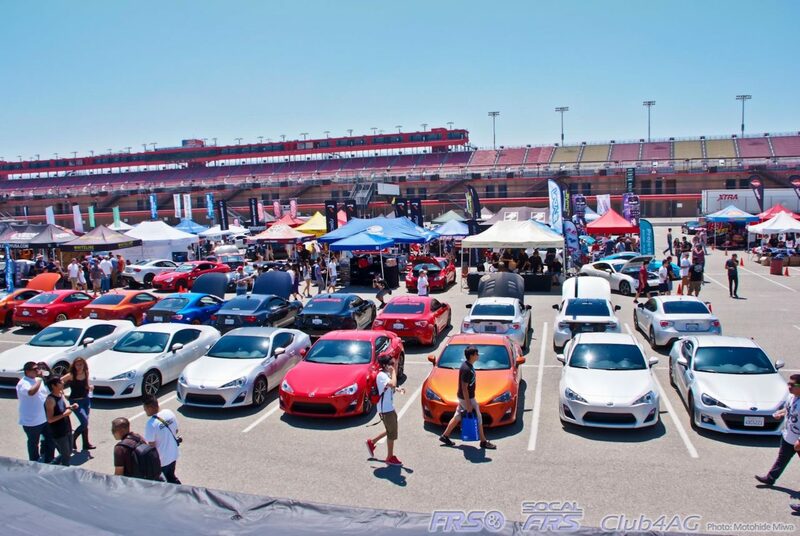 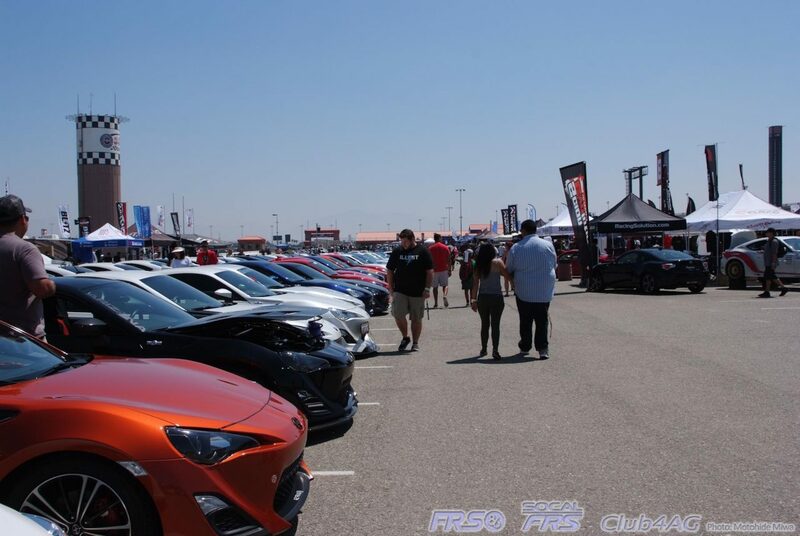 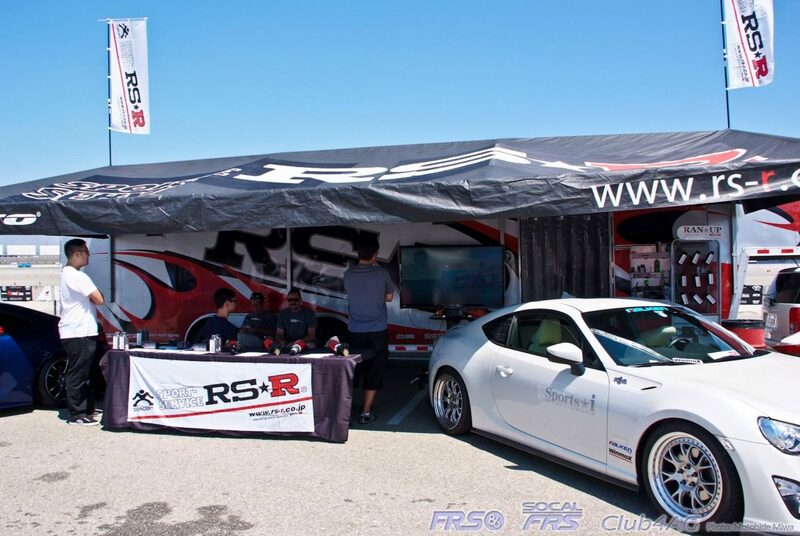 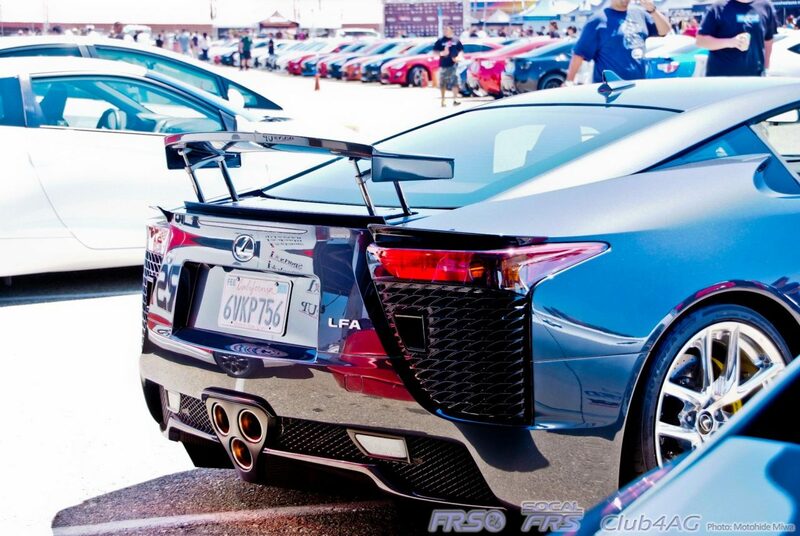 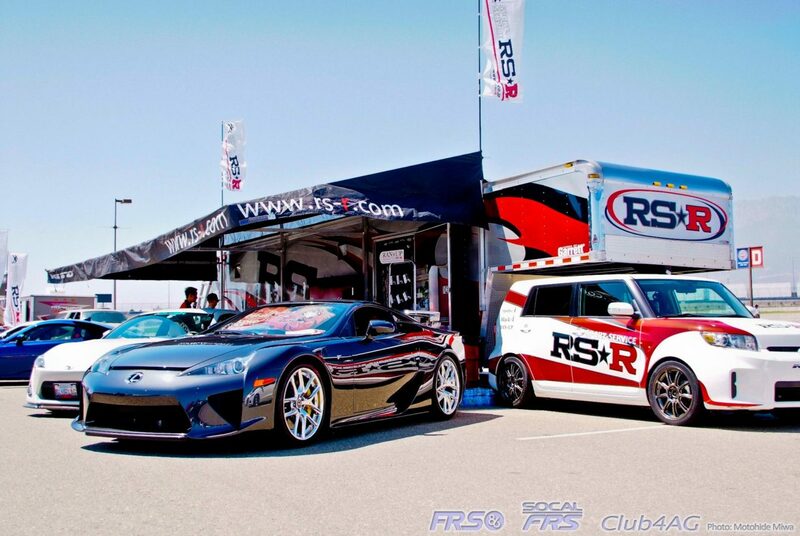 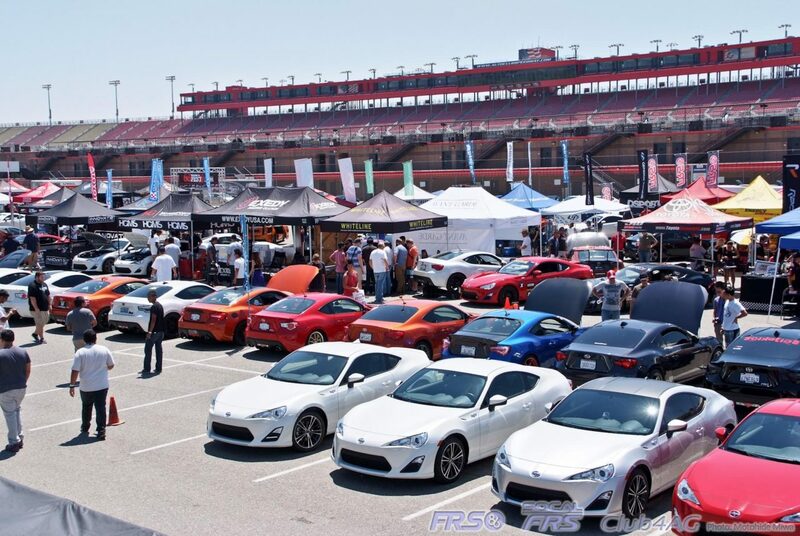 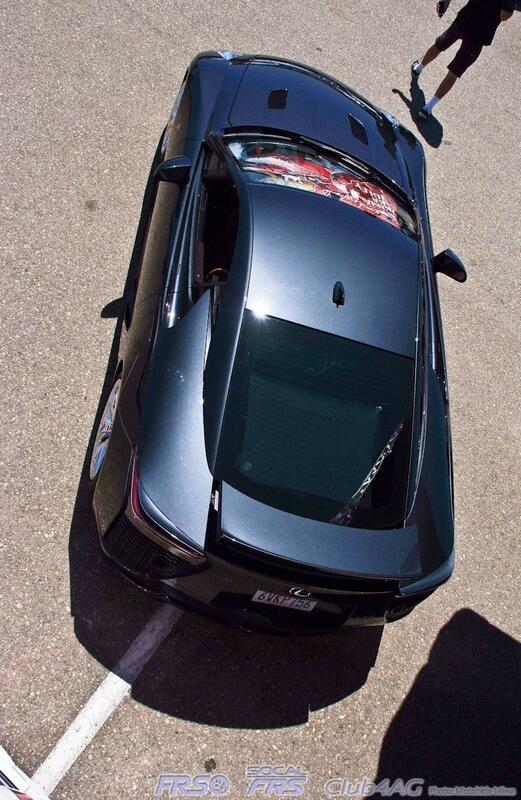 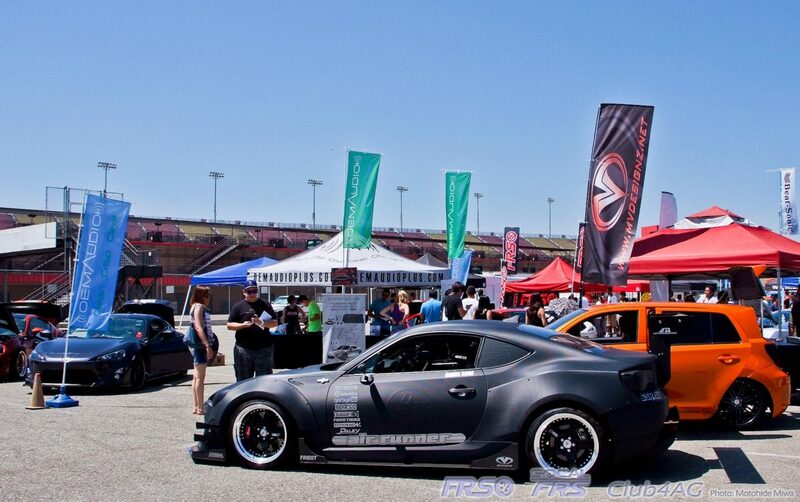 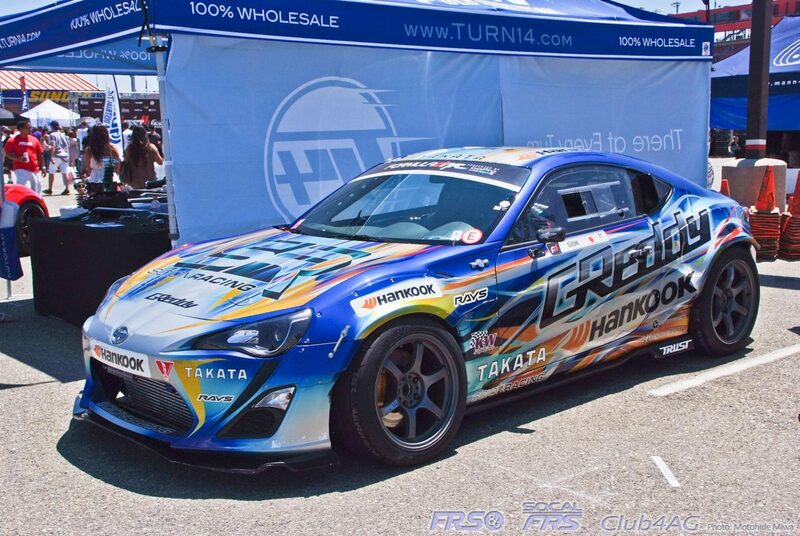 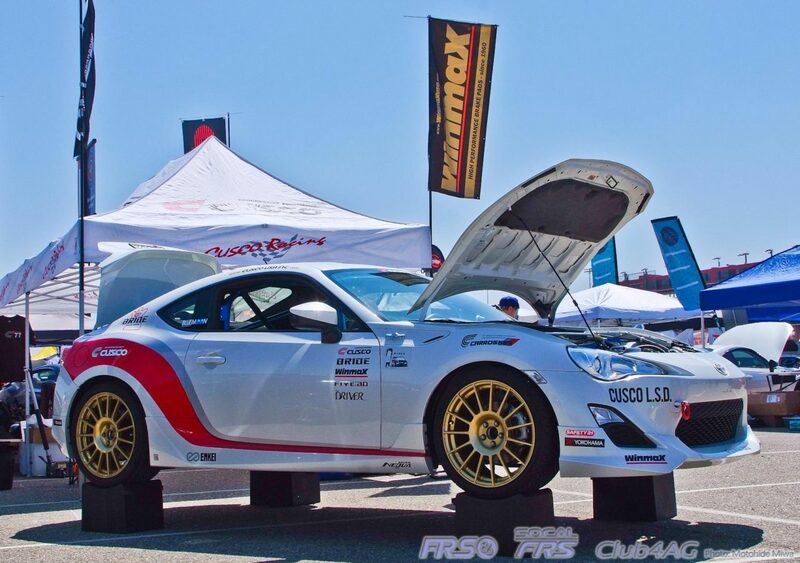 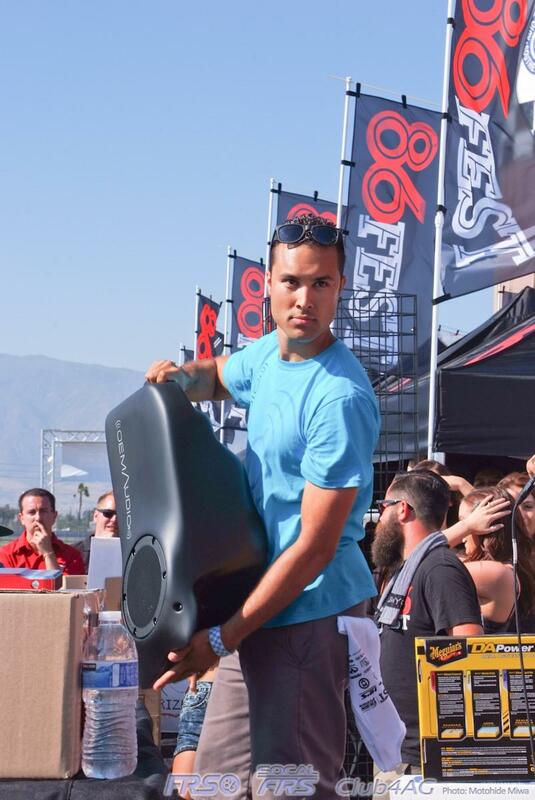 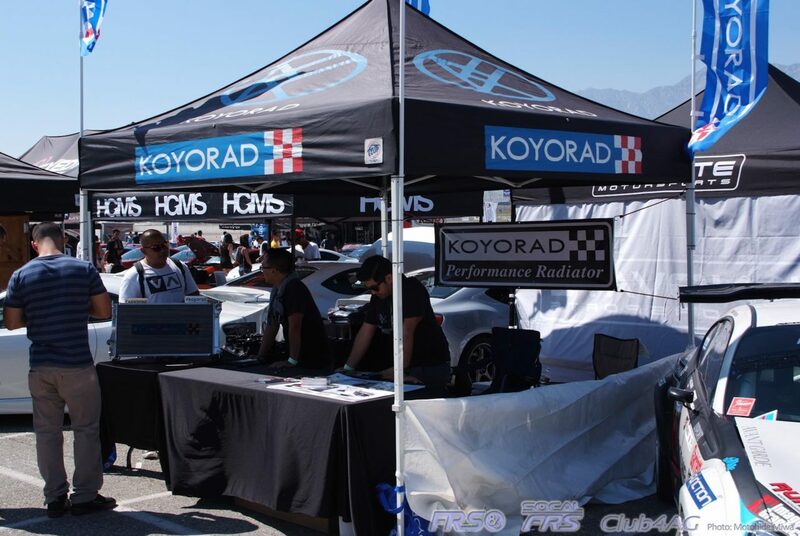 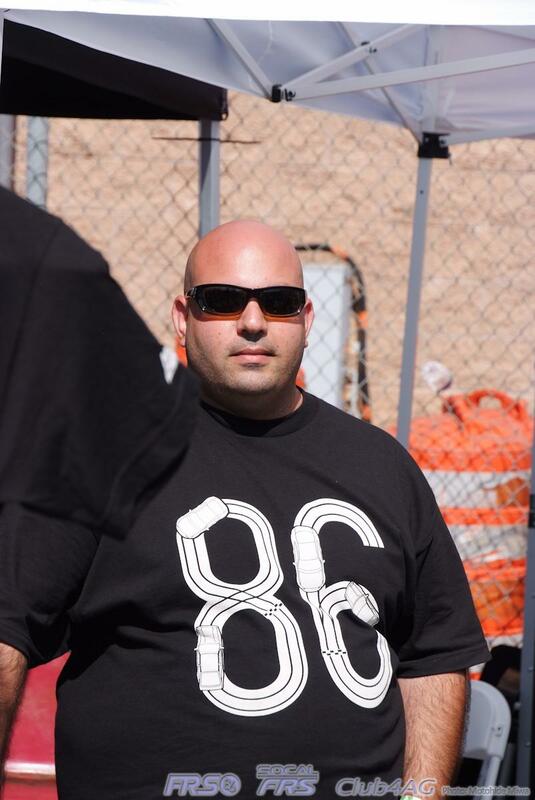 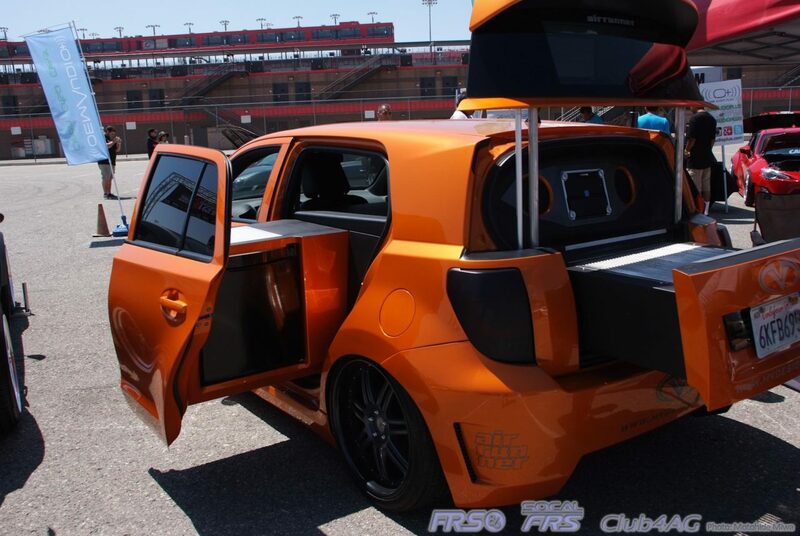 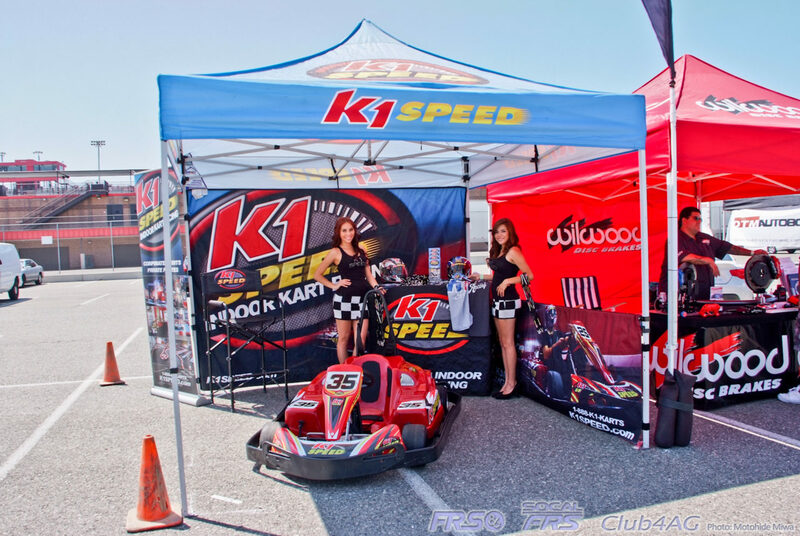 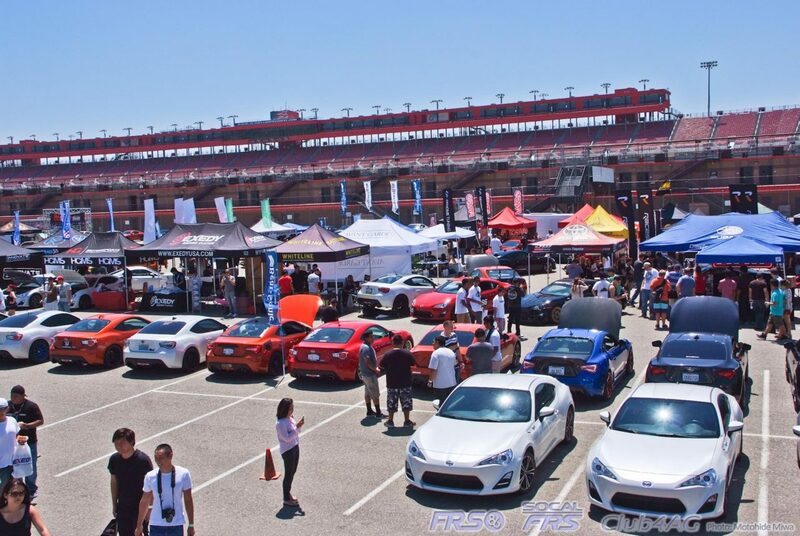 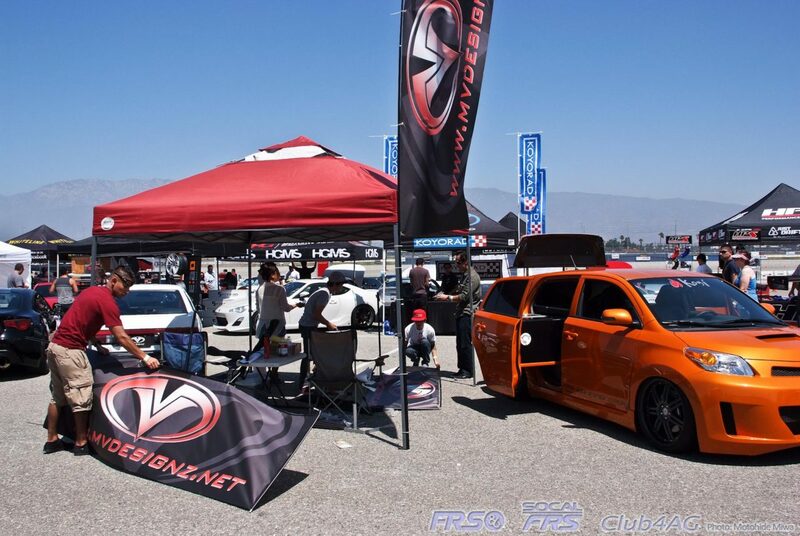 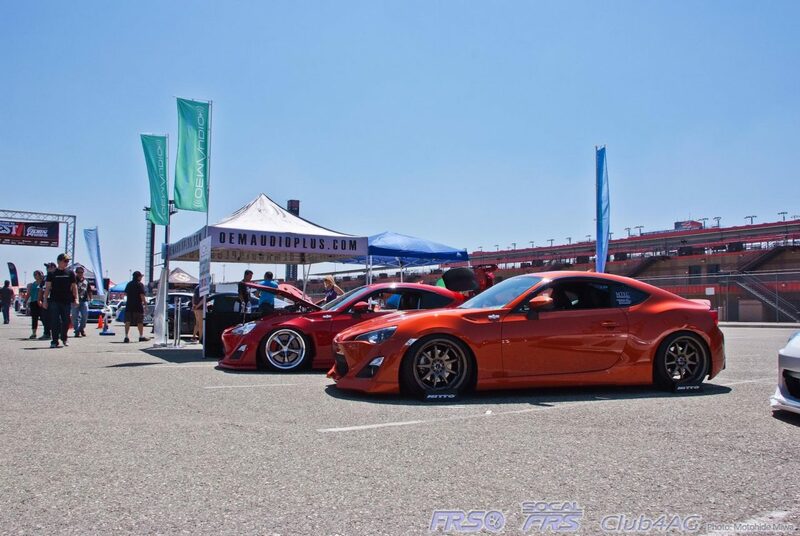 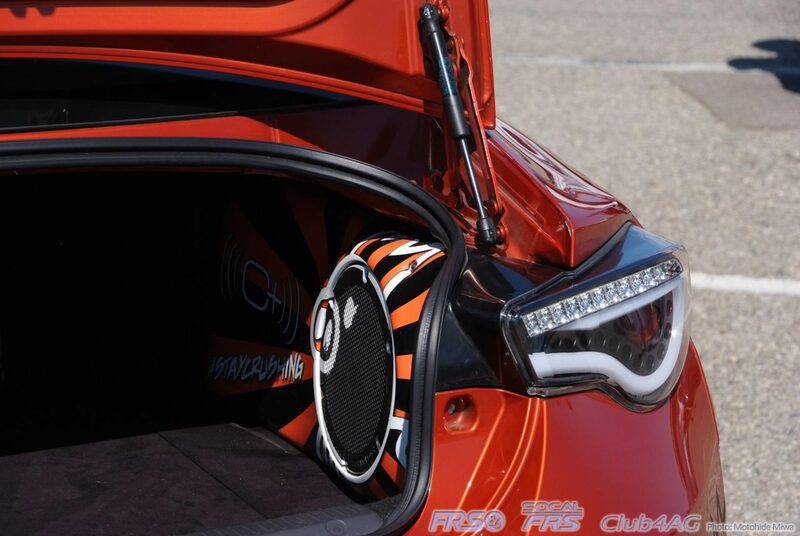 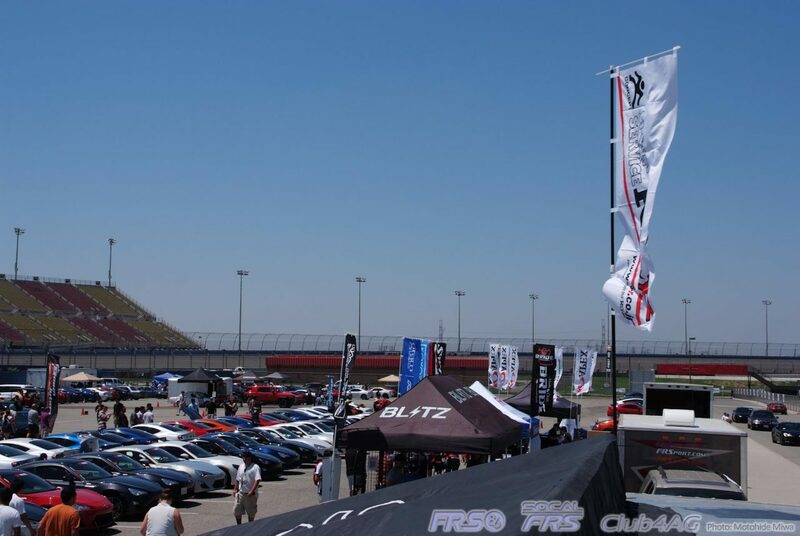 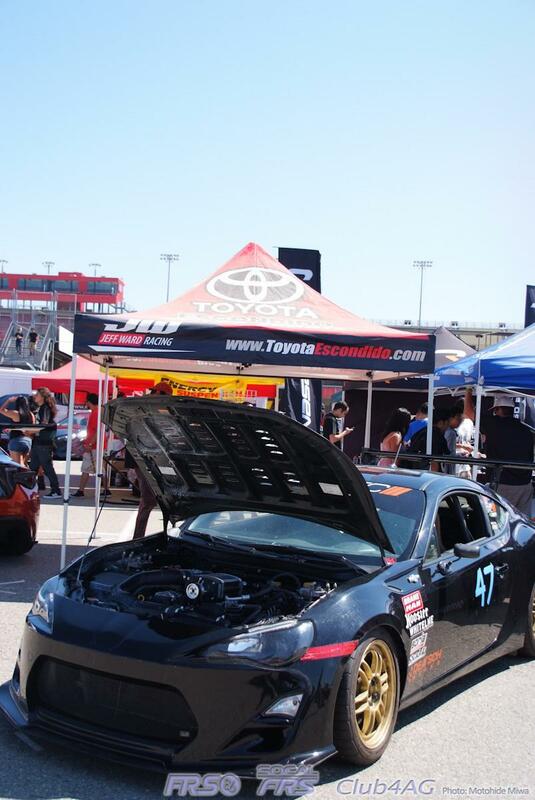 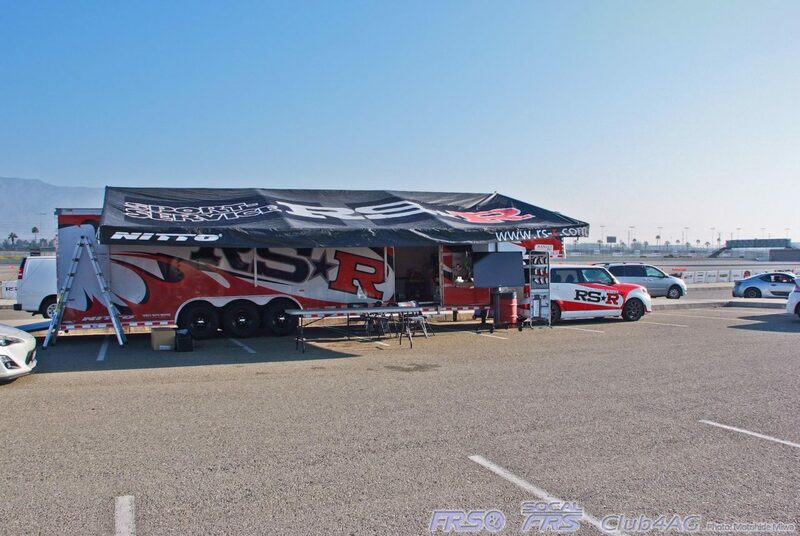 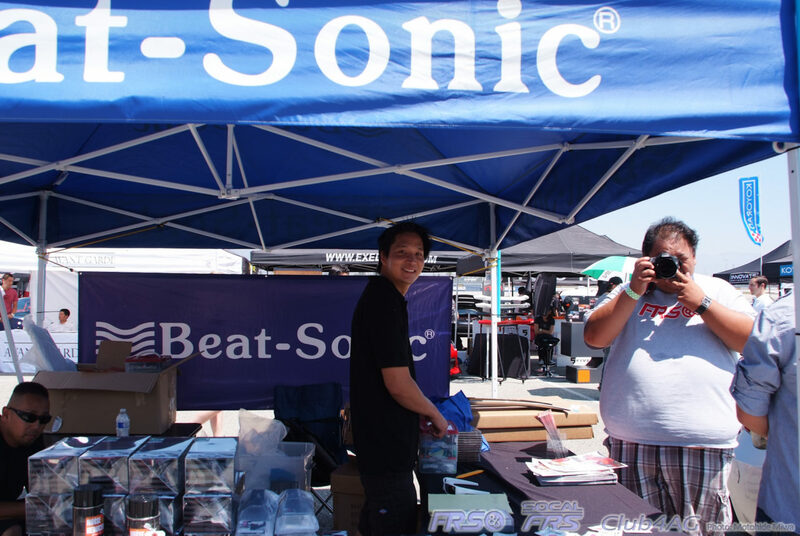 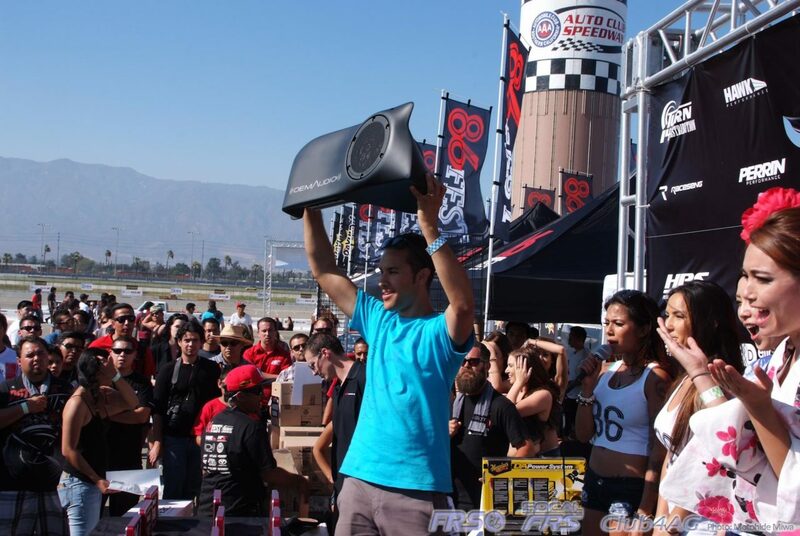 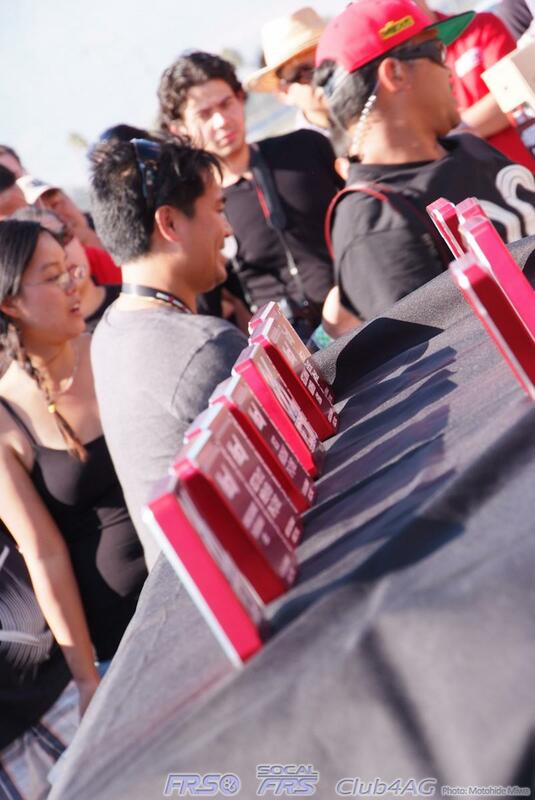 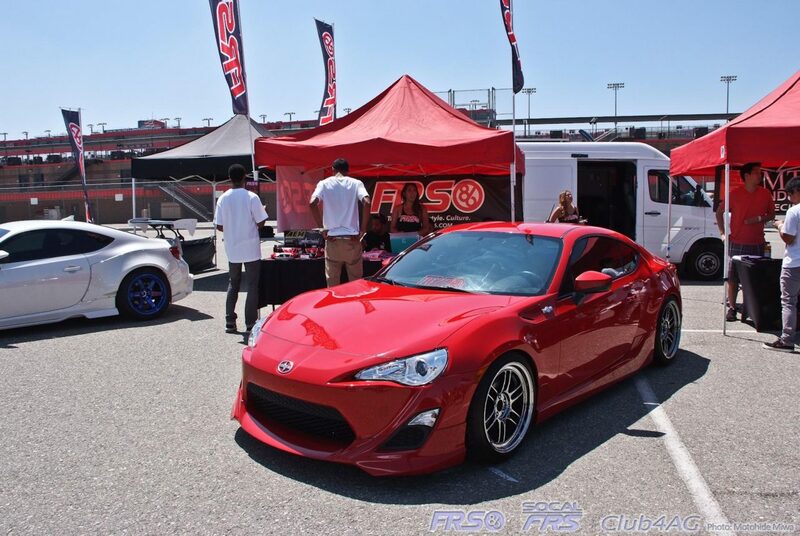 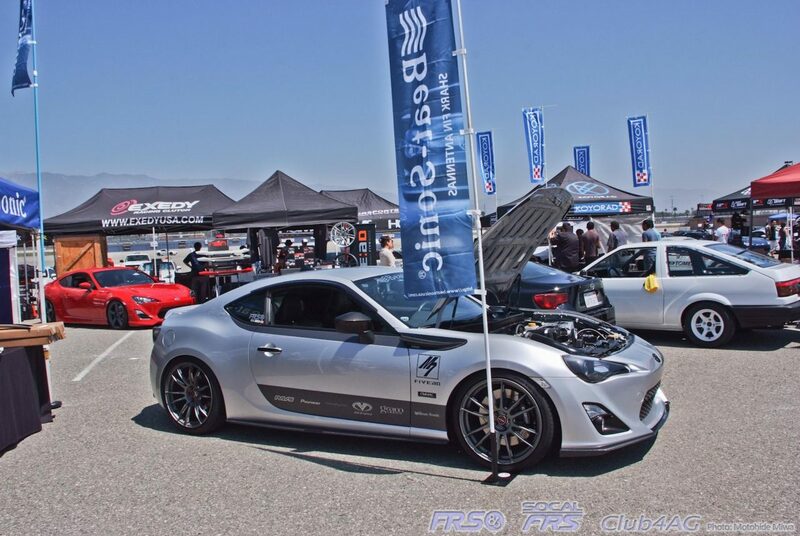 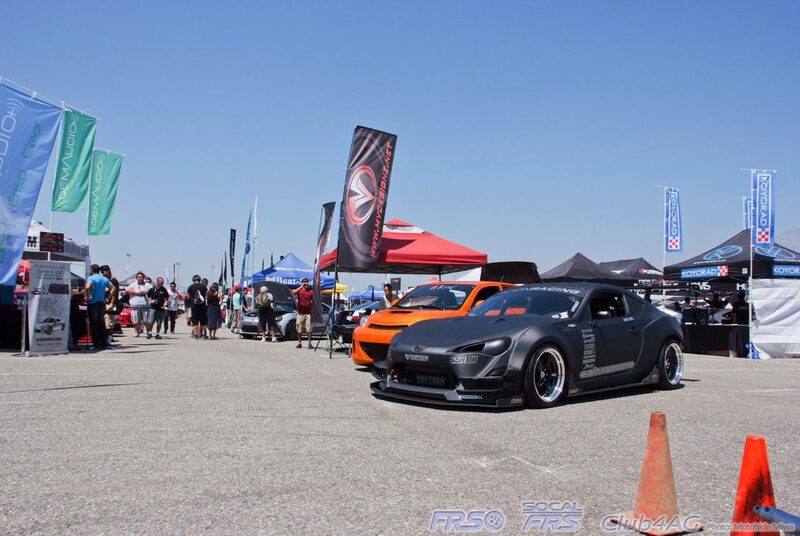 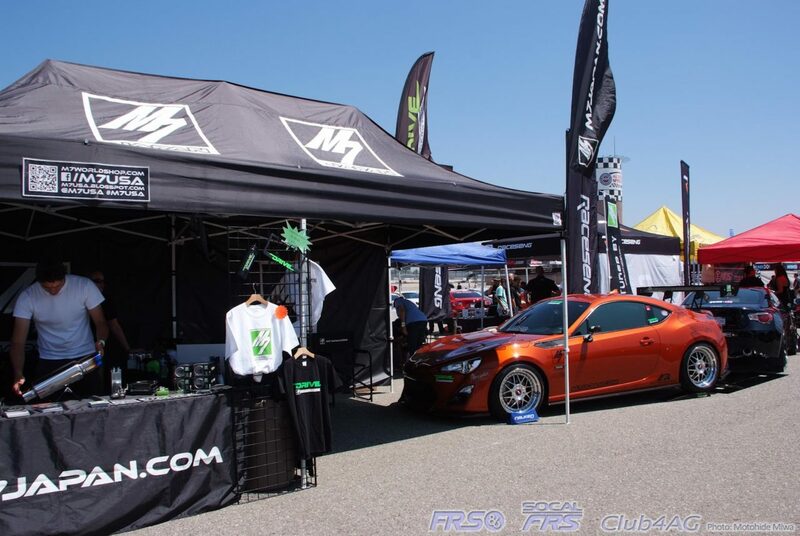 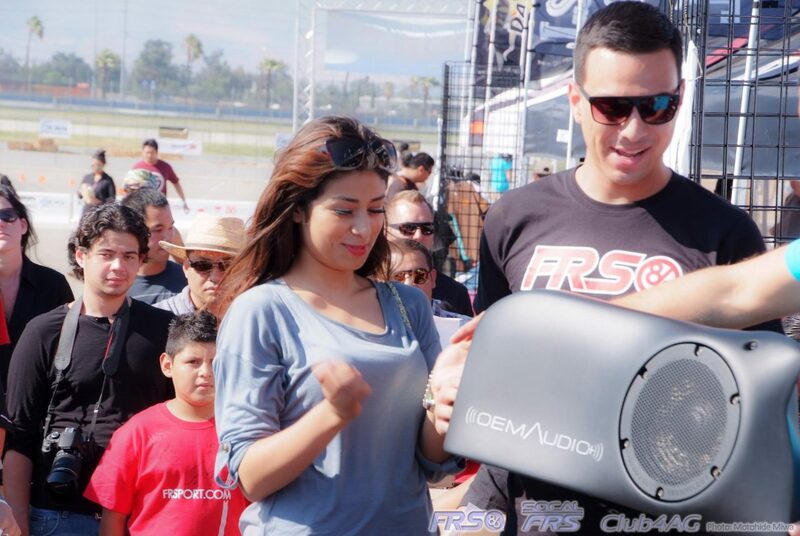 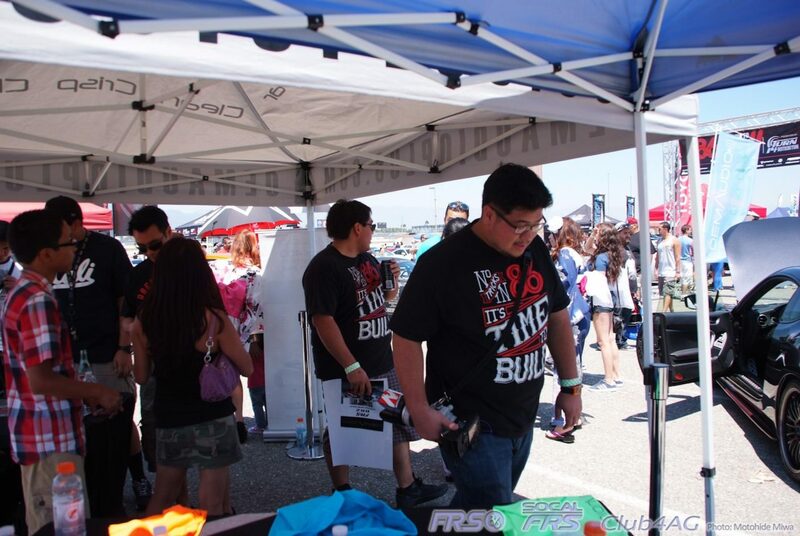 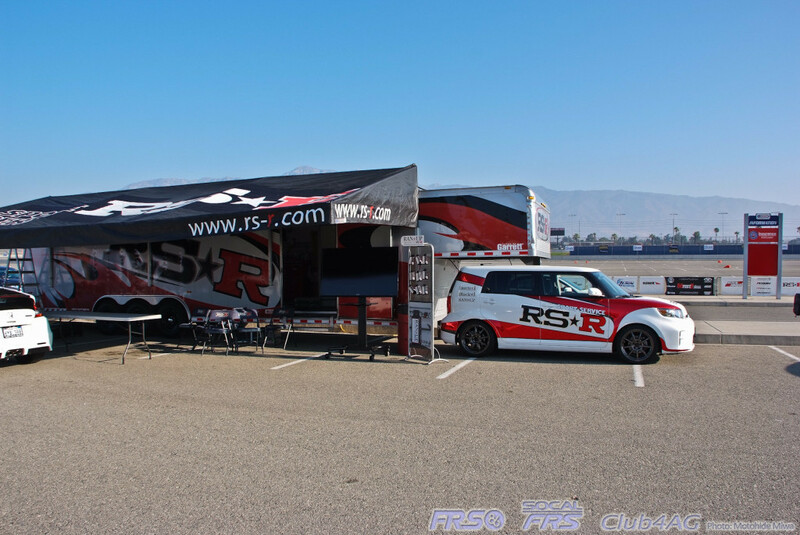 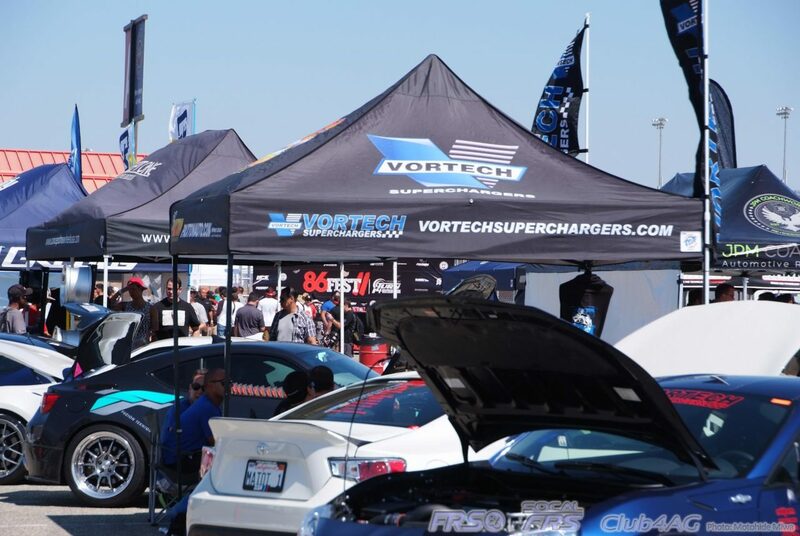 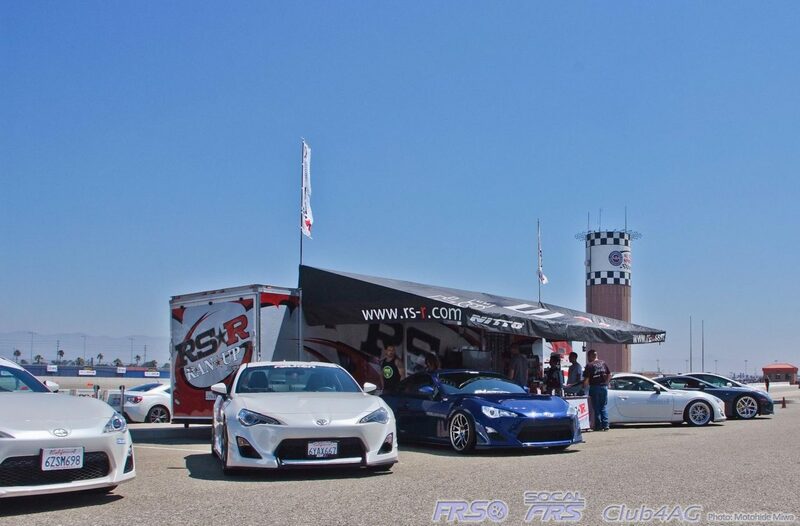 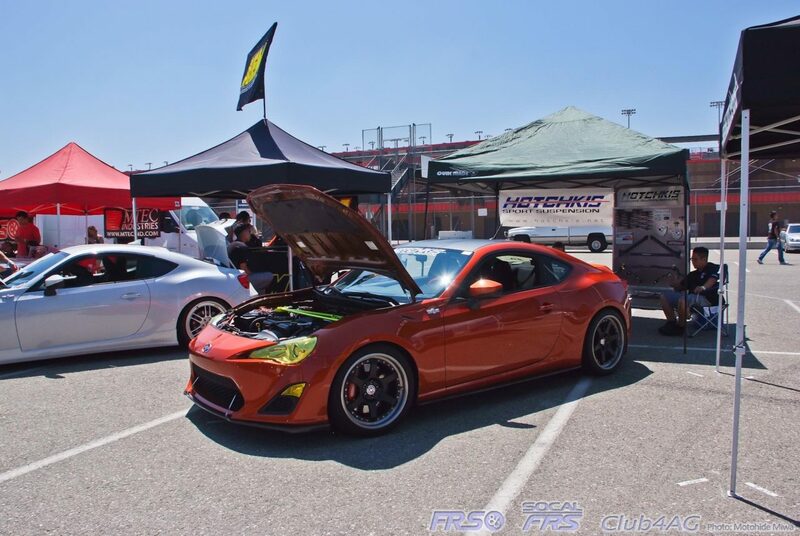 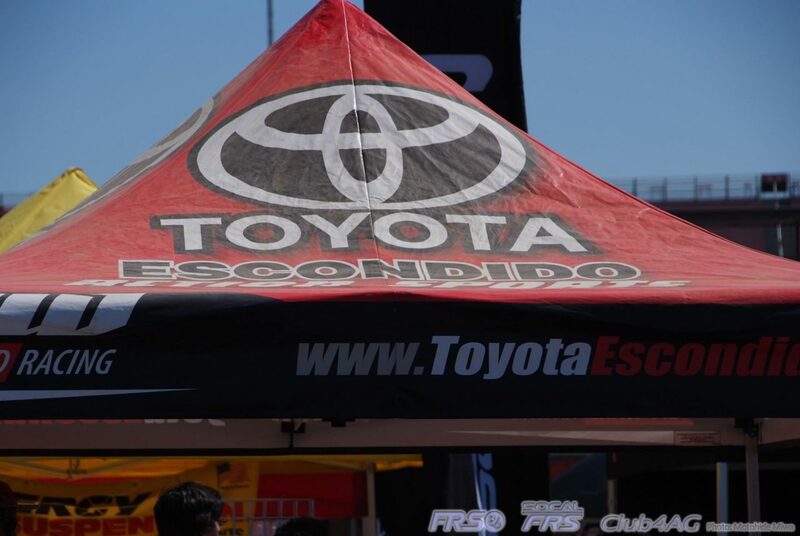 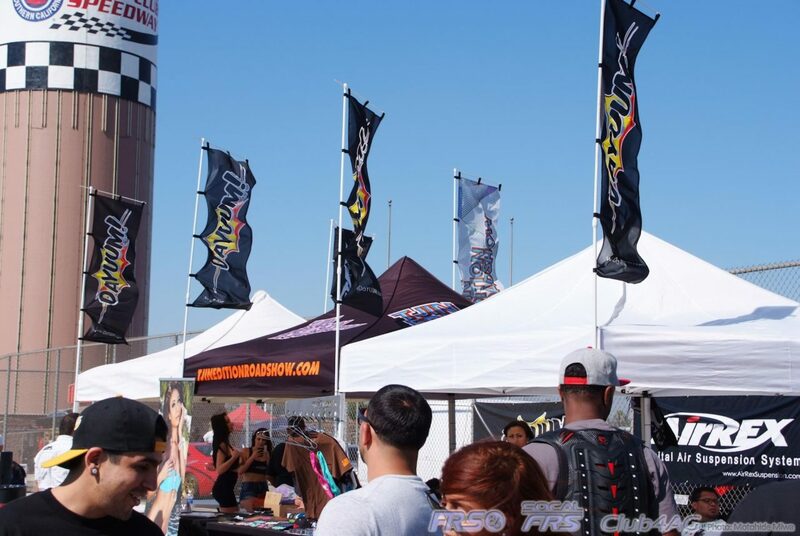 Product Showcase, Full speed autocross course, Showcase car ride-alongs, huge list of sweet raffle prizes and show car trophies, all were a part of what goes on at the living, breathing, festival for sports driving enthusiasts car that bears the 86 nickname. 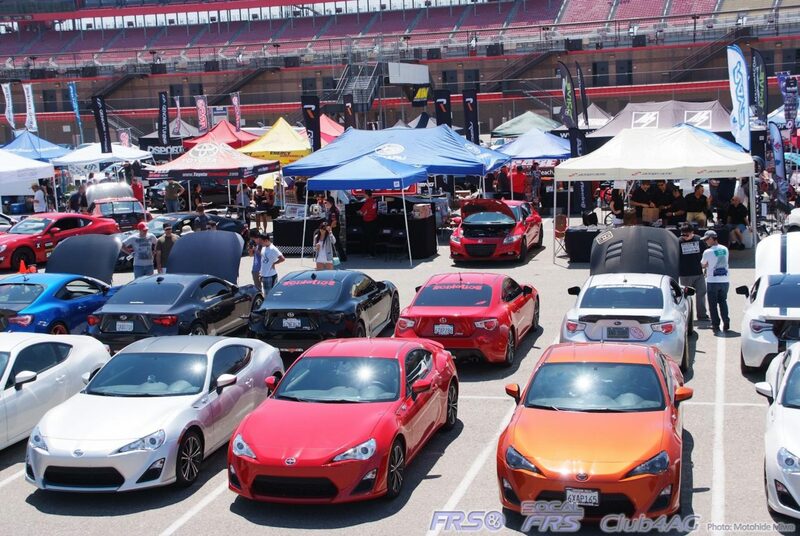 Product manufacturers from large establishment, to the smallest of garage fabricators, all came out to present what they had for the 86 platform, new and old. 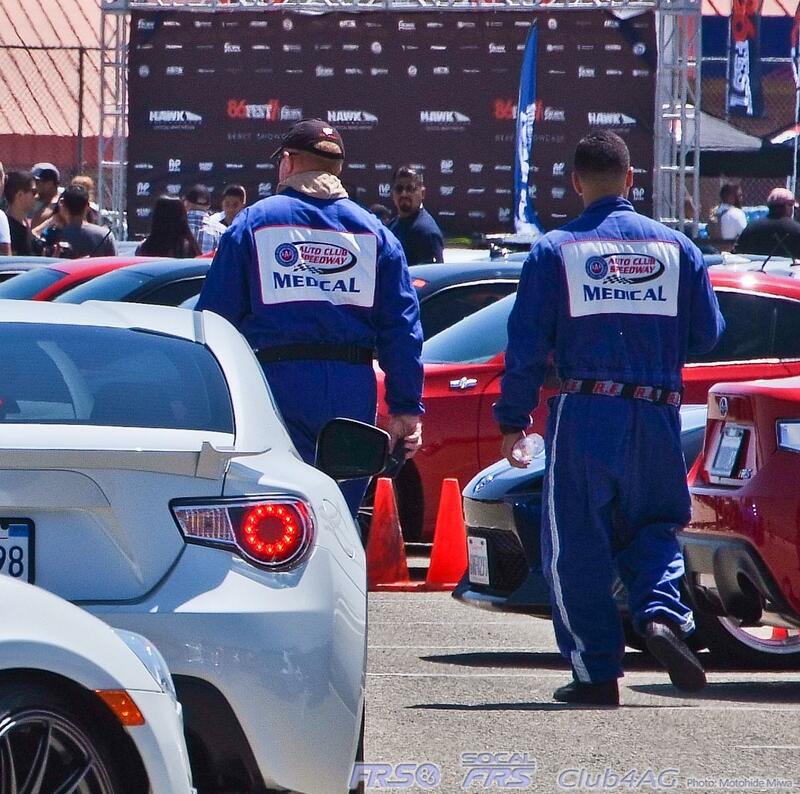 One very notable surprise was the partaking of Jackson Racing. 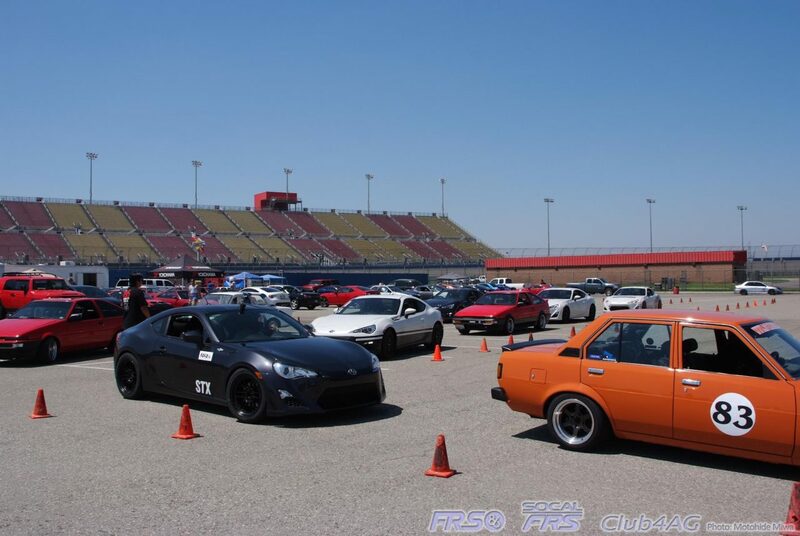 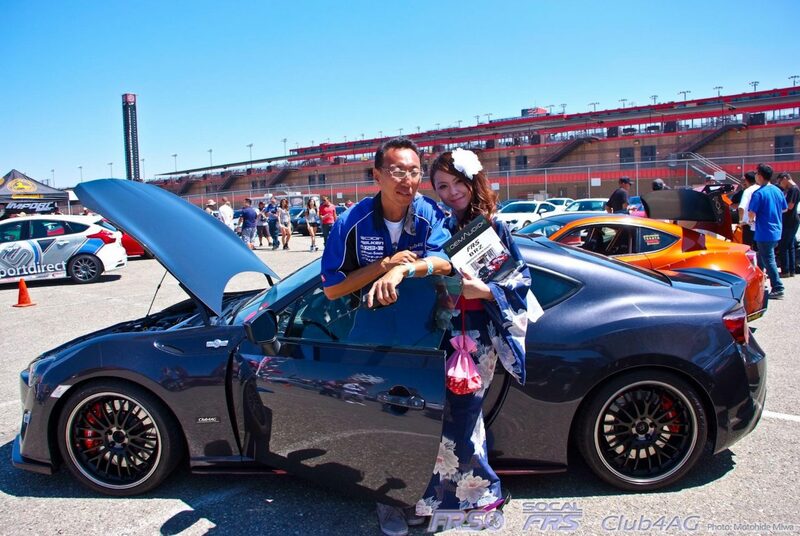 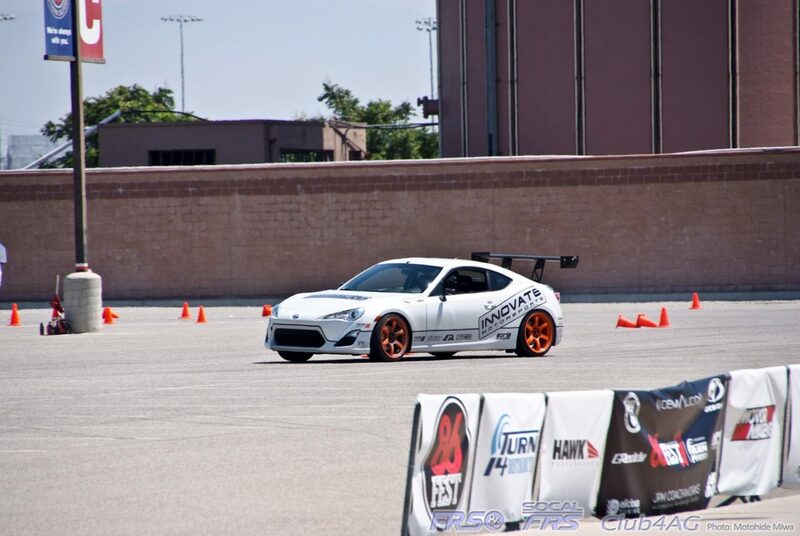 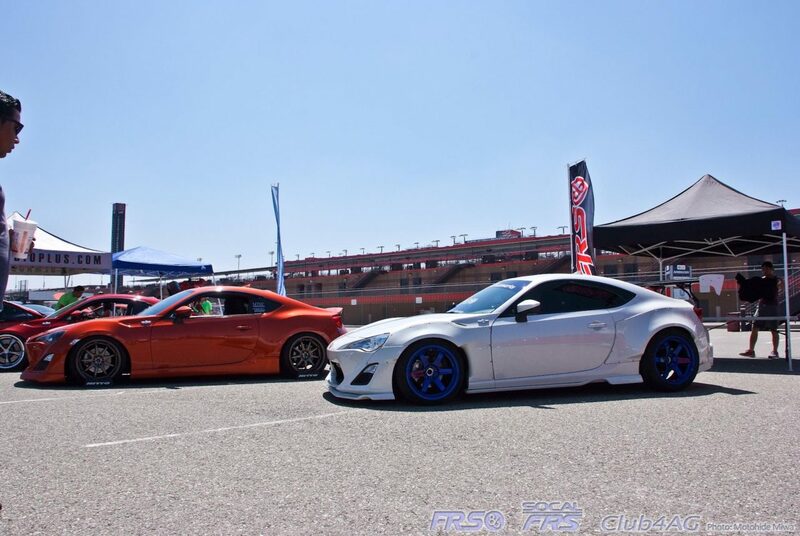 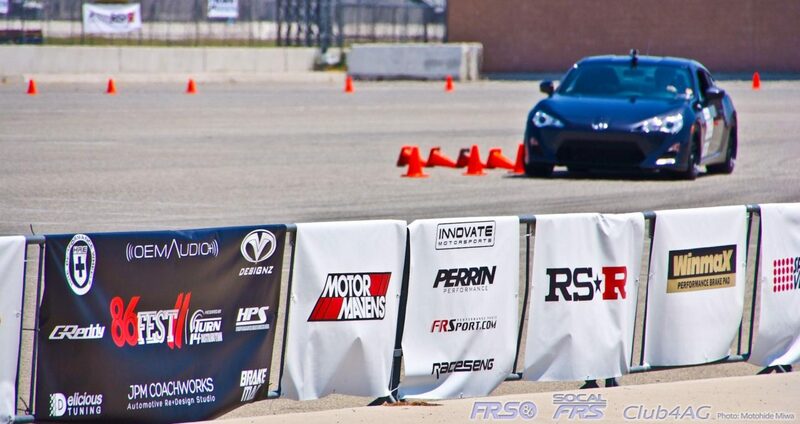 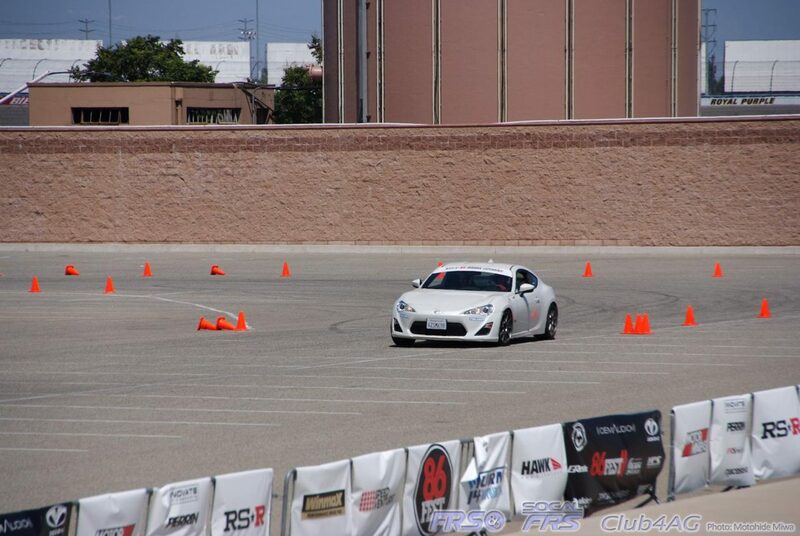 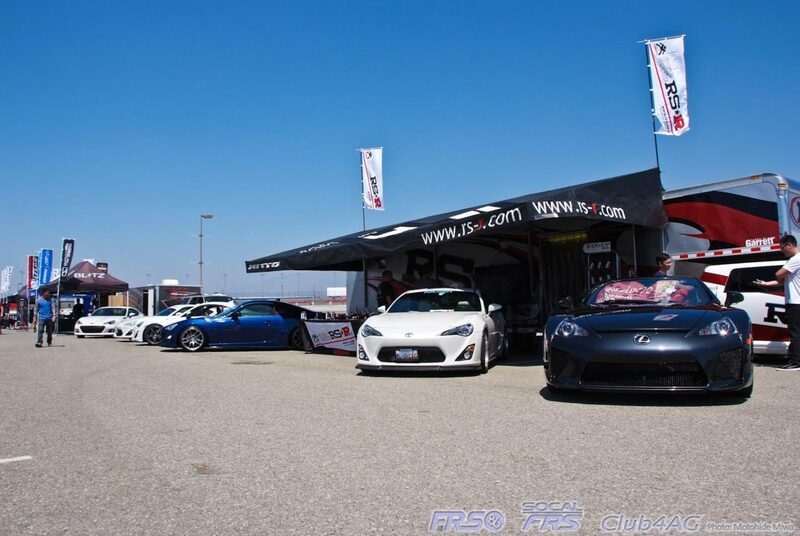 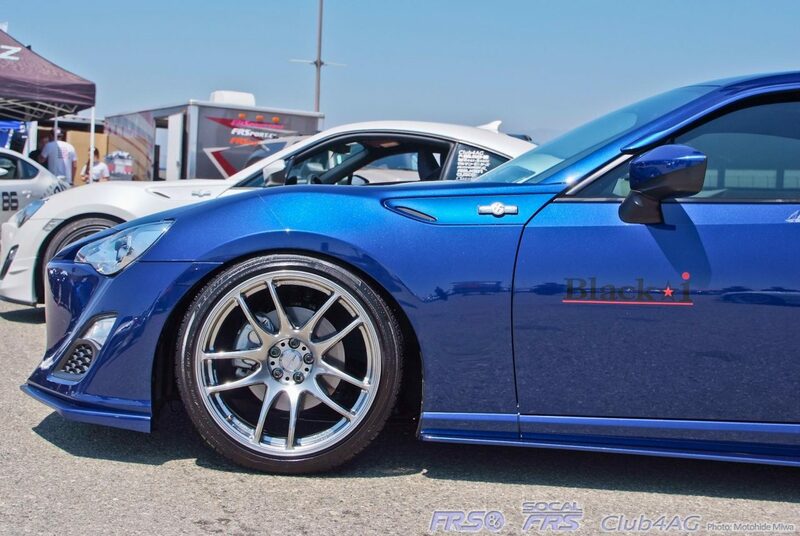 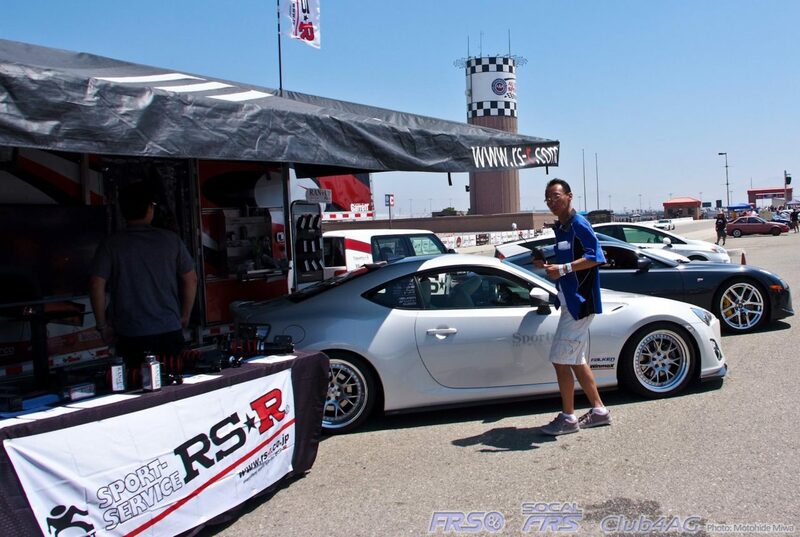 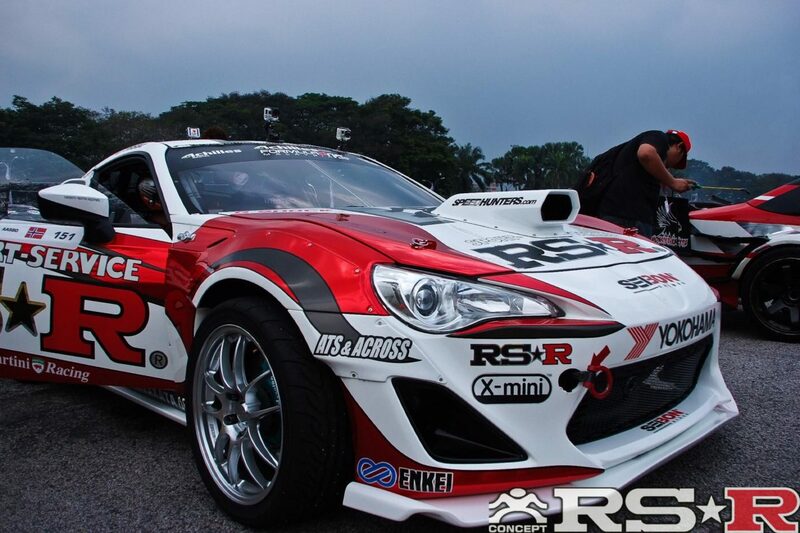 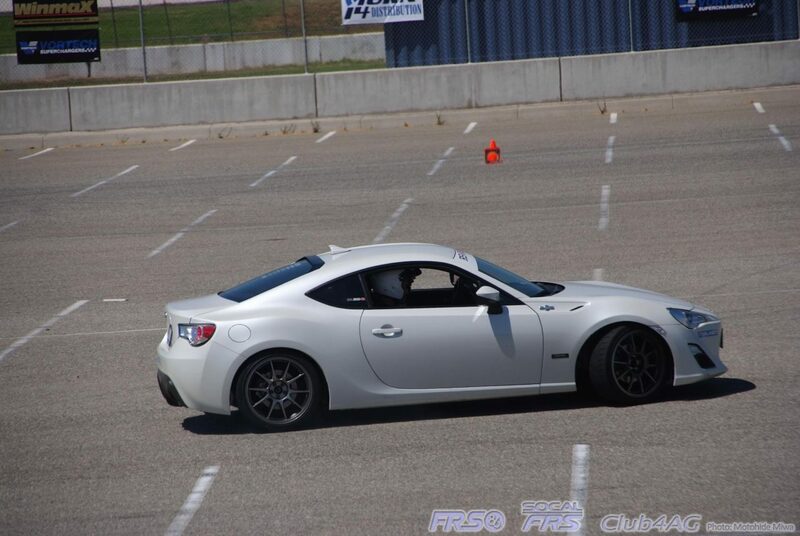 A legend of 30+years in state of the art tuning for Honda cars, Jackson Racing shifted part of the R&D/product line to the new Toyota 86 and came out to join the fun! 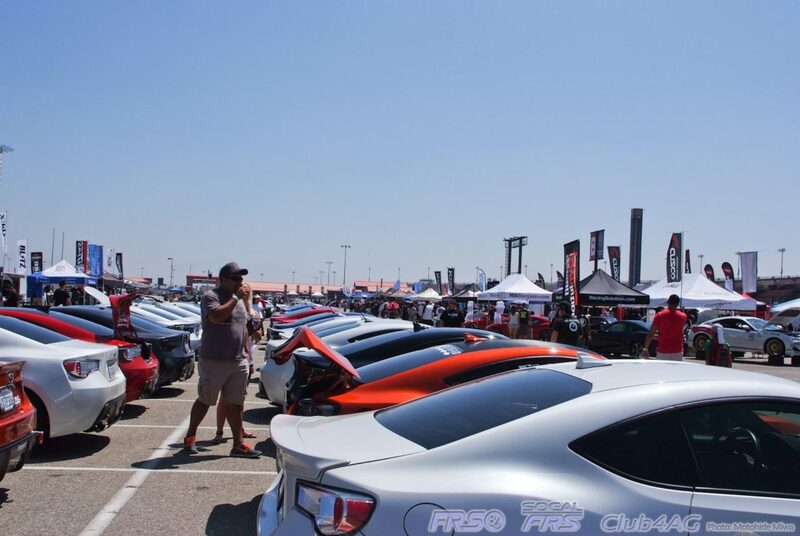 Speed & Stance added to the show in the adjacent lot to invite other classics and modern automobile enthusiasts alike, to introduce the 86 family of cars and the culture. 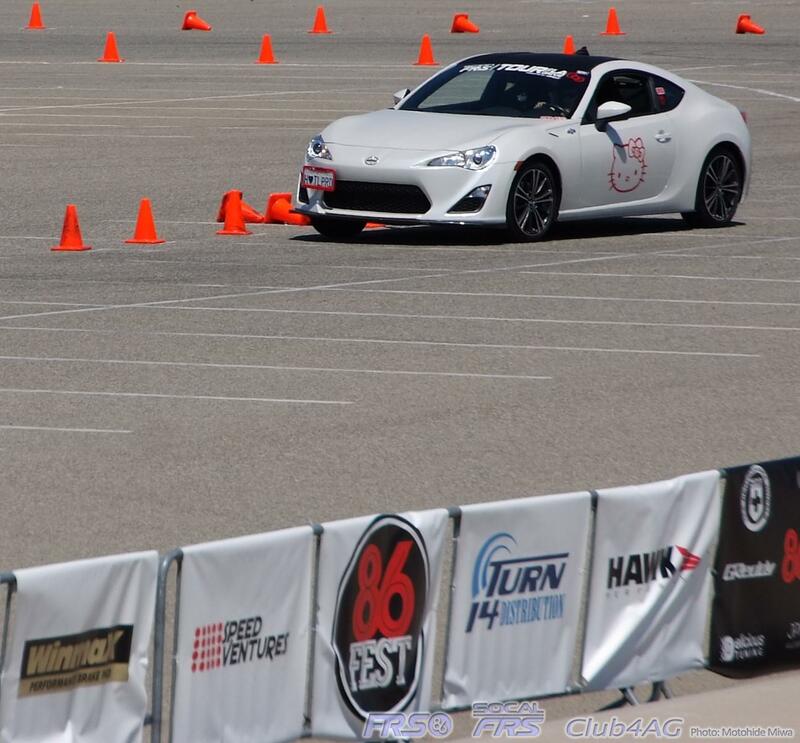 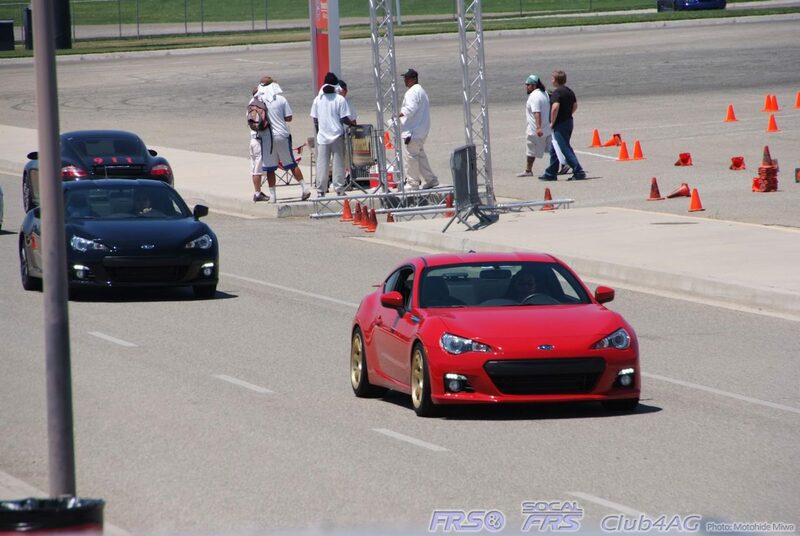 Out in the north lot, the previous day's autocross continued to run more 86's all day long, dodging cones, and drivers getting faster and faster, learning the art of driving. 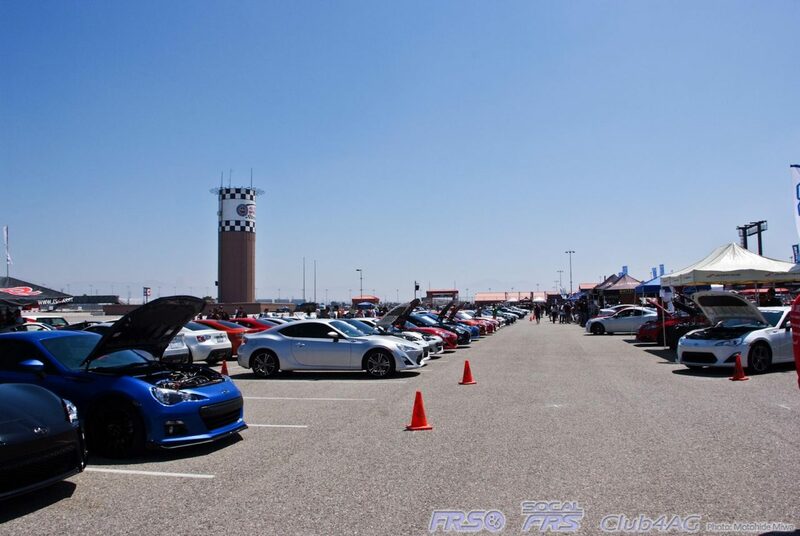 And perimeter of the event was the Auto Club Speedways famous "Roval Course' a 3 mile infield raceway, which also had many sports cars doing their own time attack, filling the air with exhaust noises and fuel-burning-smell of excitement. 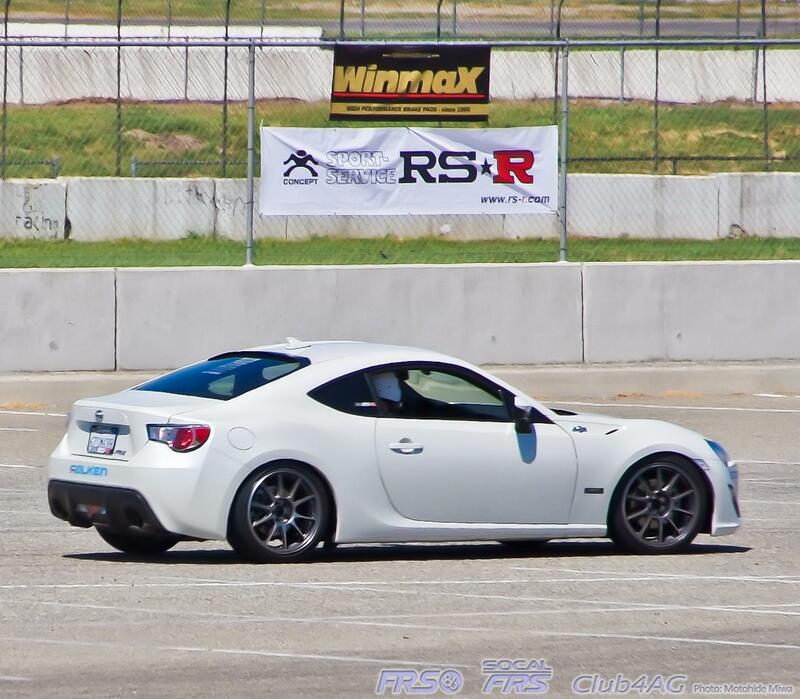 I'll let the photos do the rest of the presentations!! 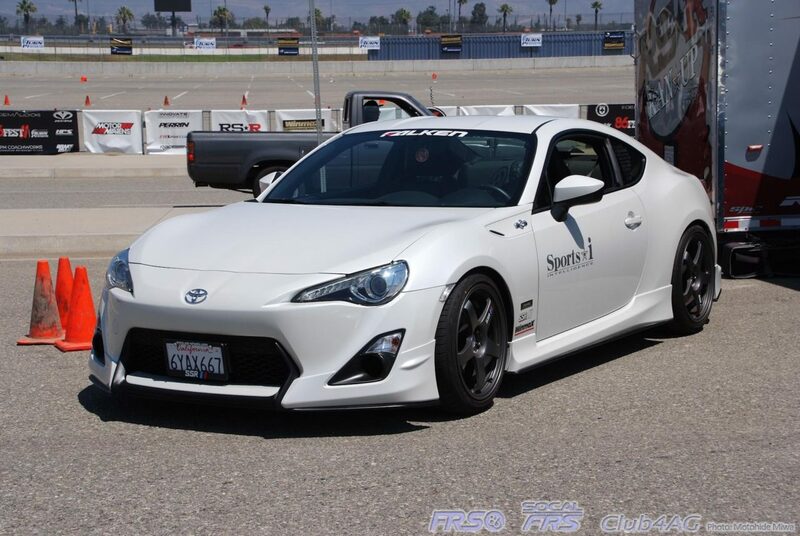 Official Car Clubs in collaboration, promotions, and operation: Speed Ventures, Club4AG, Motormavens, SoCal FRS, FRS86, IWSTI, ST3, BRZ-Club.com Socal Subies, Norcal FRS. 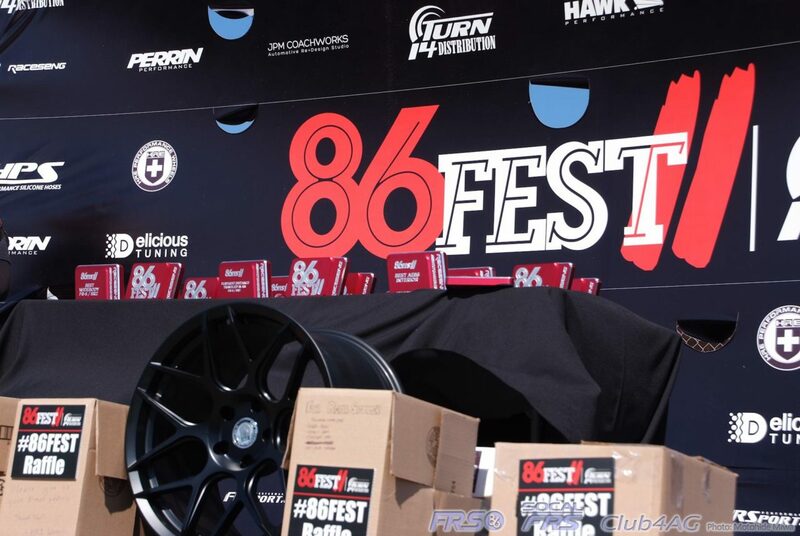 Official Sponsors: Turn 14 Distributions, Hawk Performance Brakes, WinMax Performance Brakes, OEM AUDIO+, HRE Wheels, HPS Silicone Hoses, Koyo Radiators, AP Racing Brakes, Wilwood Brakes, UTI Tech, M7 Energy, Innovate Motorsports, Mann Engineering, Jackson Racing, KW Suspension Systems, RS*R Suspension Systems and Performance, Whiteline, TOM's, Vortech, Greddy, Cusco, Eibach, Perrin, Meguires Car Care, Klutch, Apex-i, RaceSeng, Genius Tools, ARK Performance, JPM Coachworks, FRSport, Torco Lubricants, BrakeMan, ACT Clutch, Mod Bargains, Avant Garde Wheels, Grillcraft, Essex Race parts, DEPO, Zeta Performance, Infamous Tuning, 86 Challenge, and BeatSonic USA. 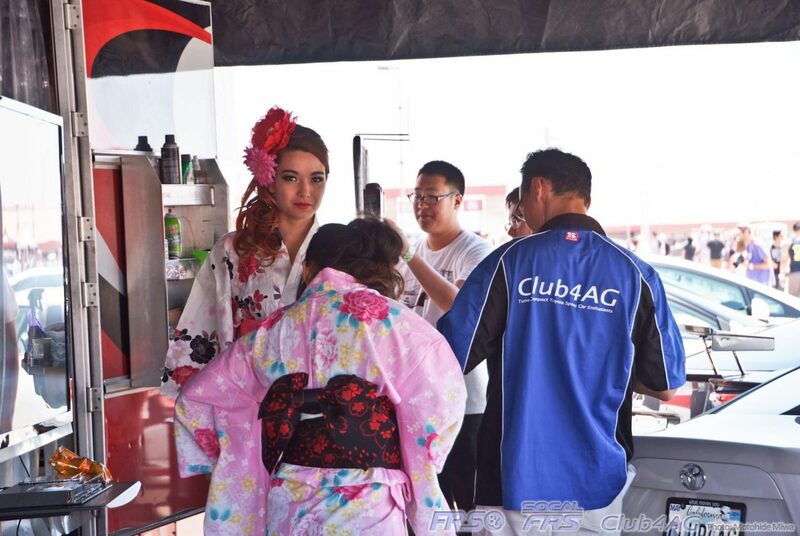 August 11th, 2013 - Moto Miwa, Club4AG. 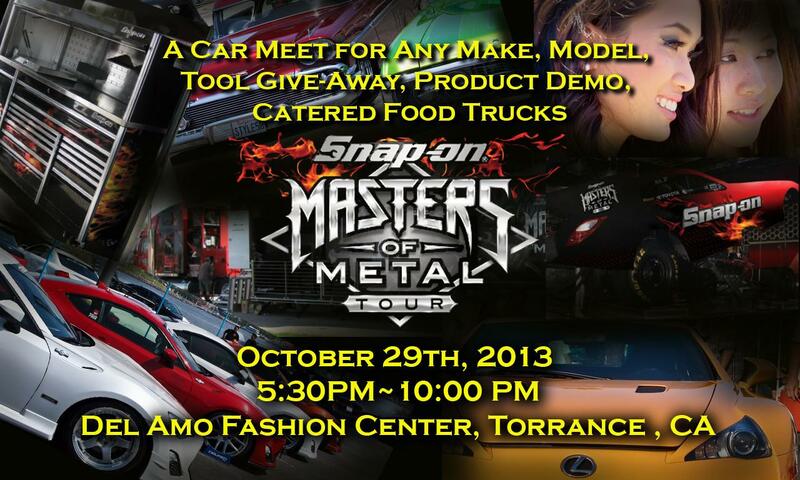 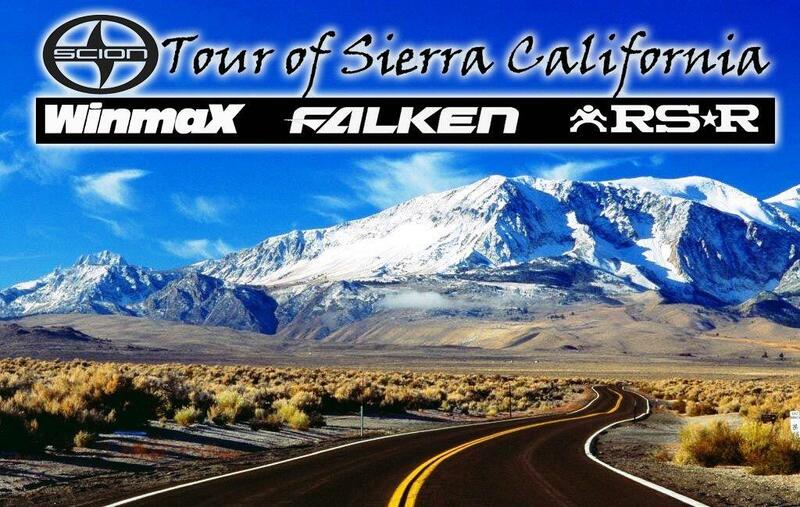 SNAP ON TOOLS - MASTERS of METAL TOUR, come win some Snap On Tools and Gear! 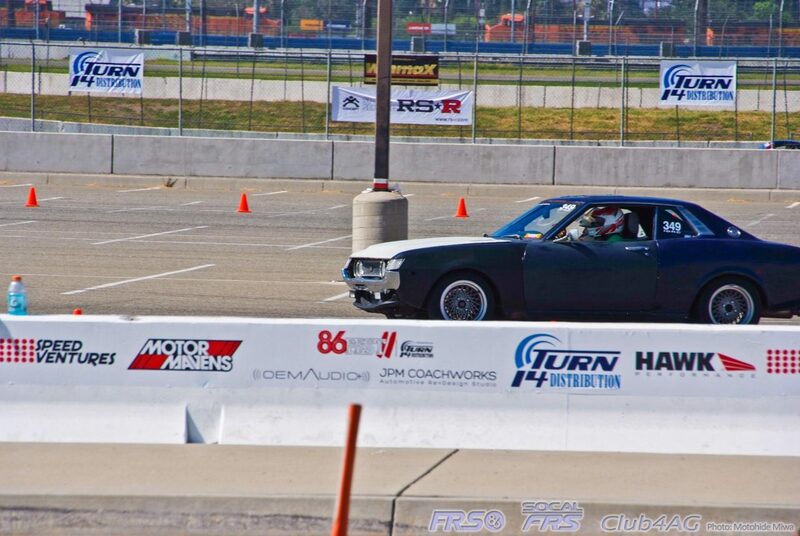 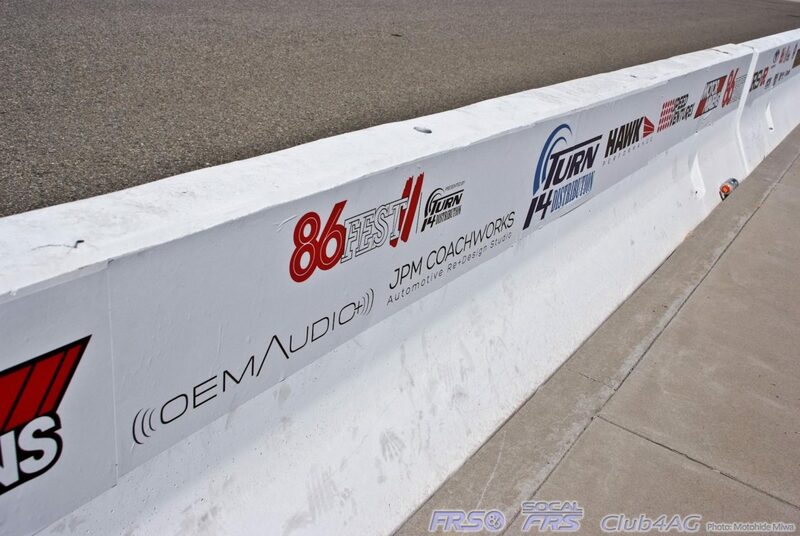 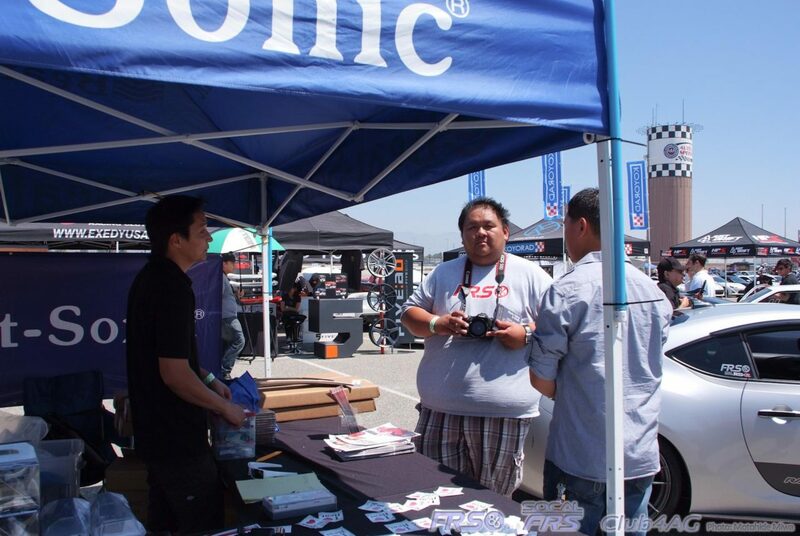 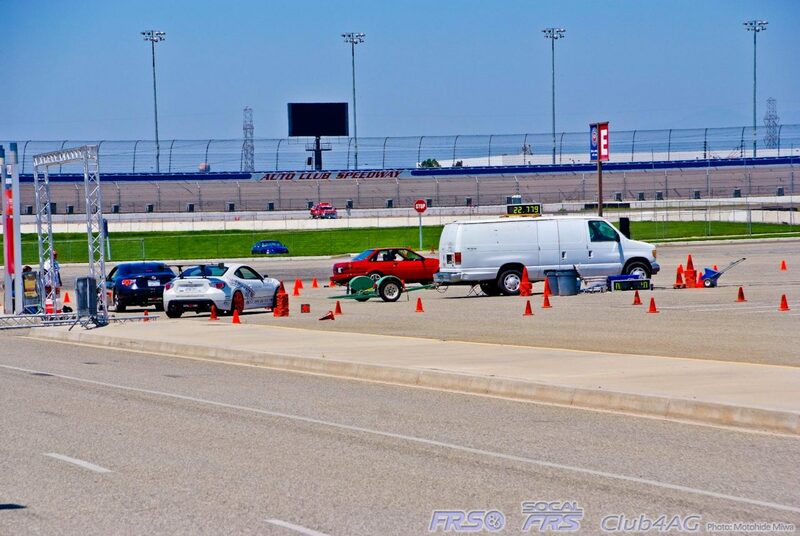 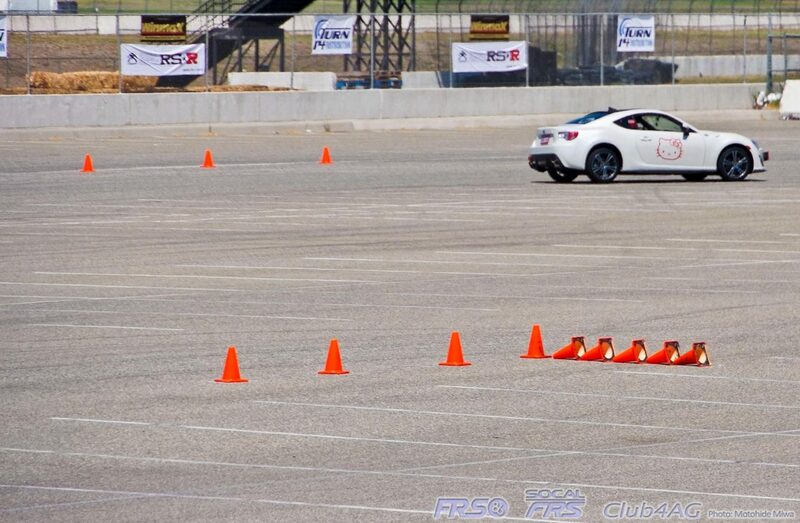 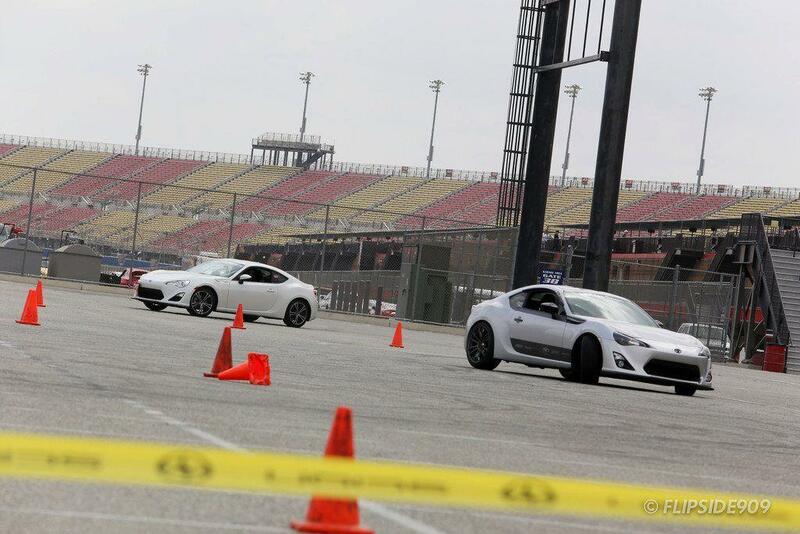 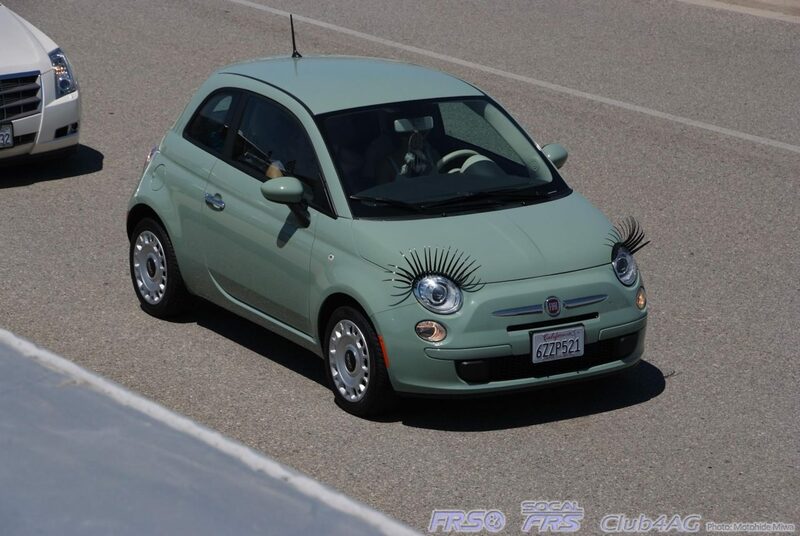 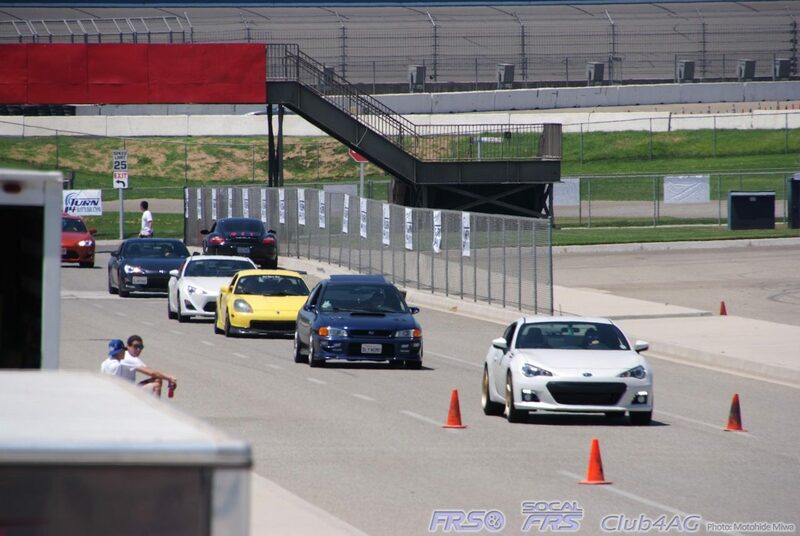 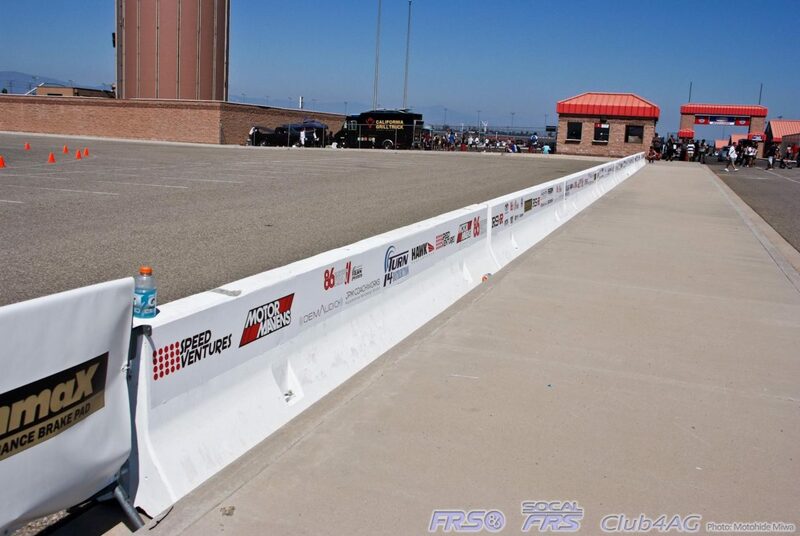 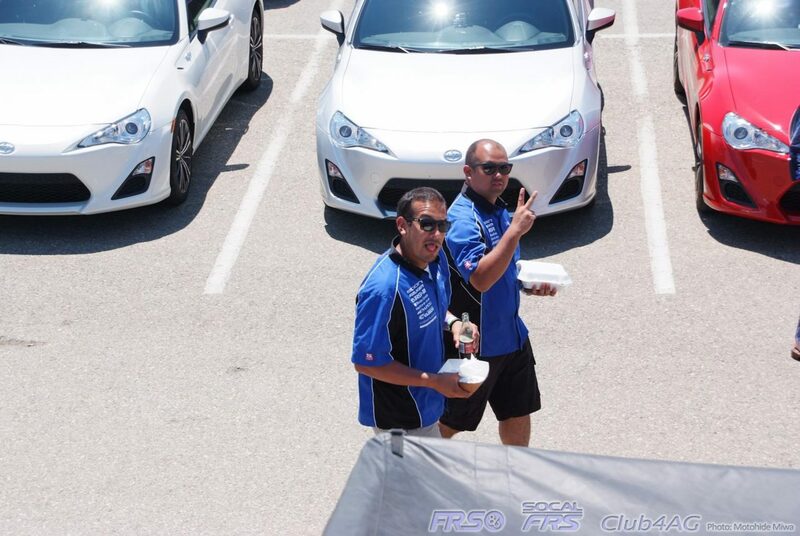 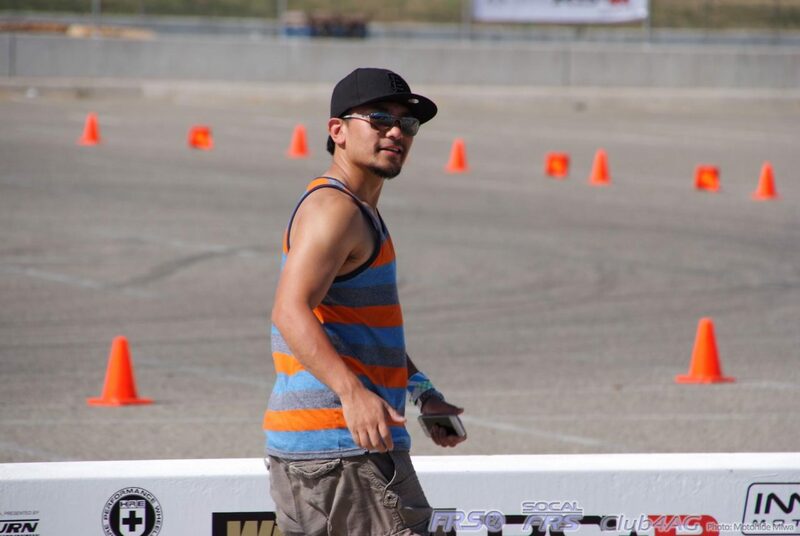 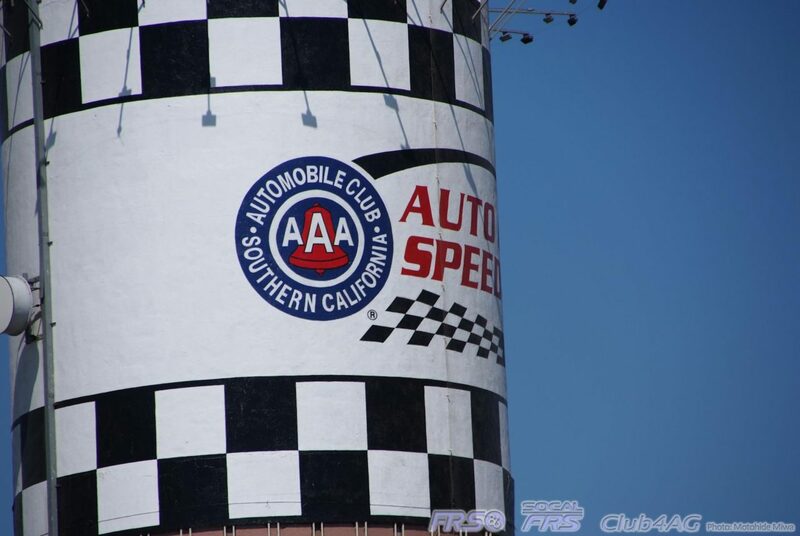 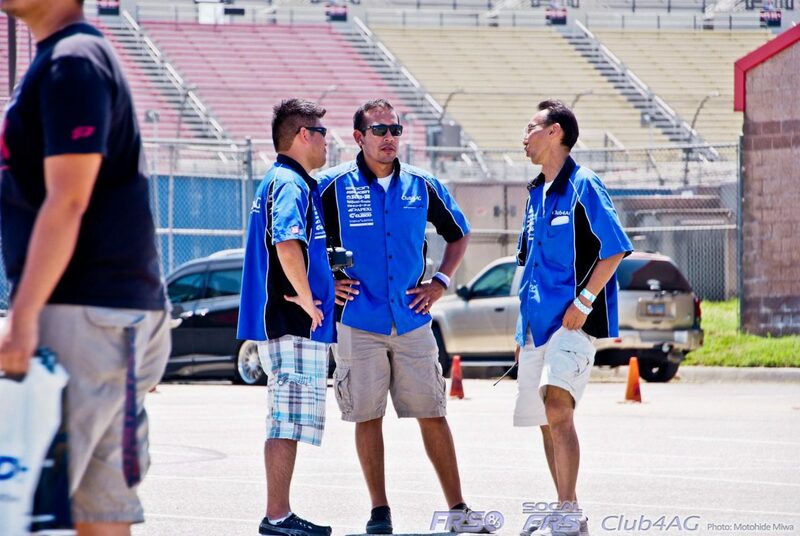 July 13th, 2013 - 86 Dynamic Driving Academy 2 at Willow Springs Raceway, Balcony Vehicle Testing Facility. 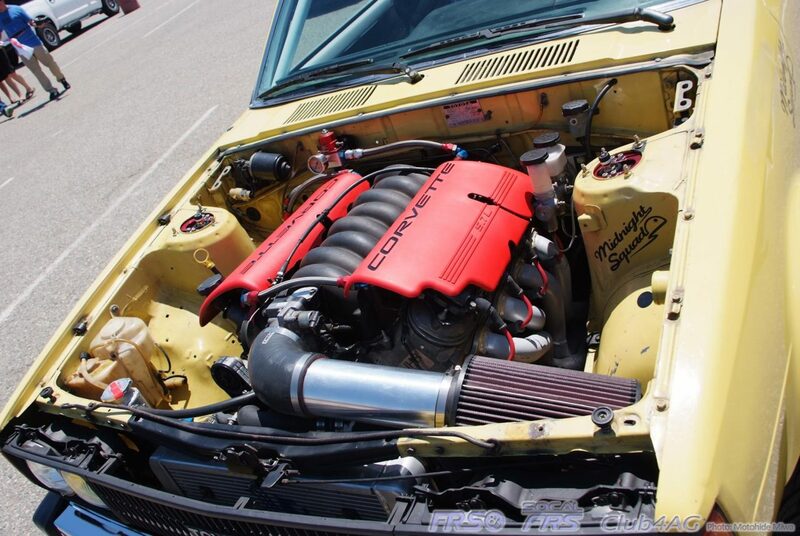 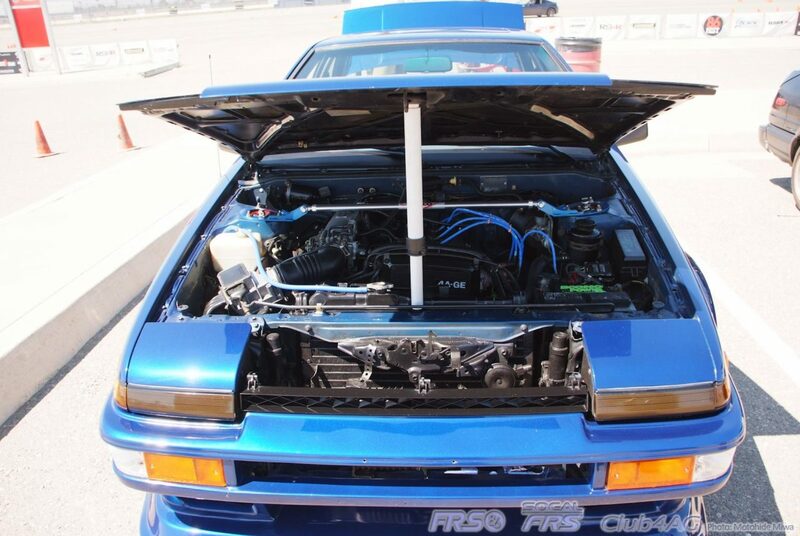 Arizona's 86'ers are some of the best enthusiasts in the USA! 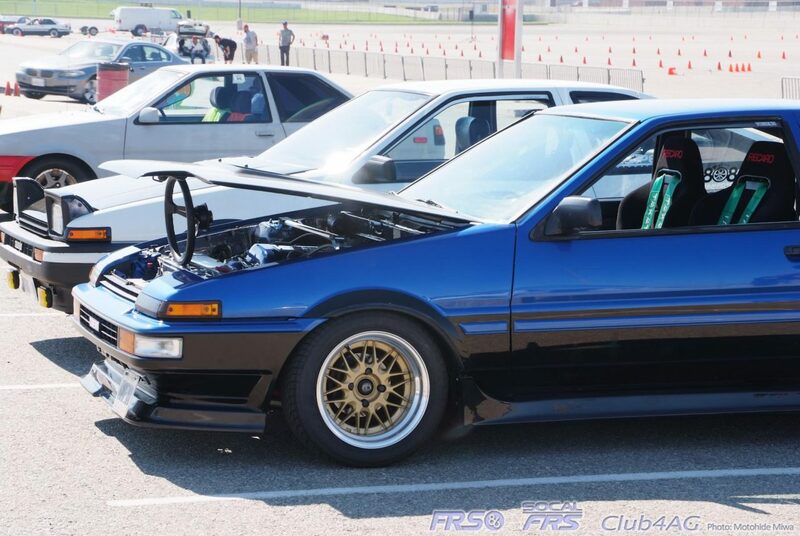 AE86 Parts & Accessories • Re: FS: Wheels, Kouki Bumper, Kouki Lip, Whale tail. 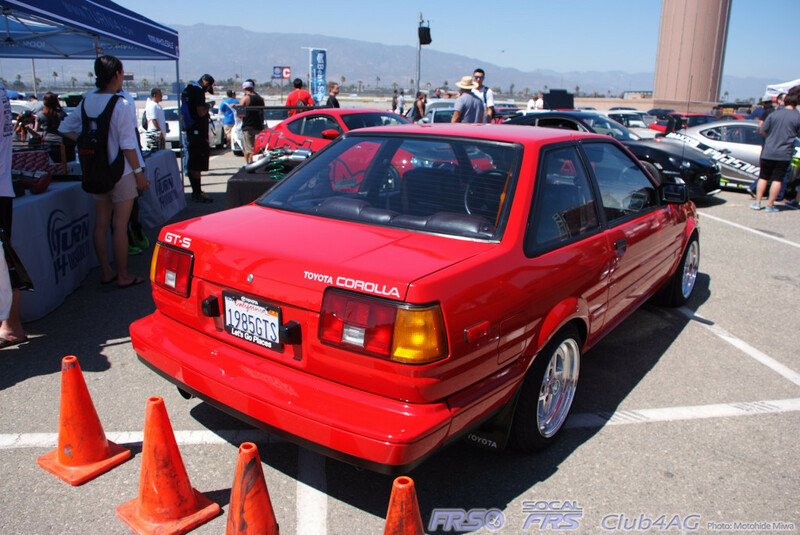 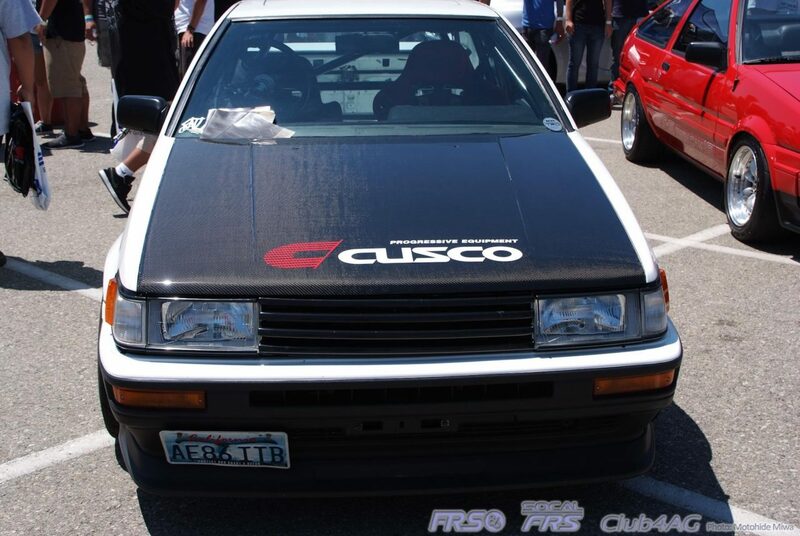 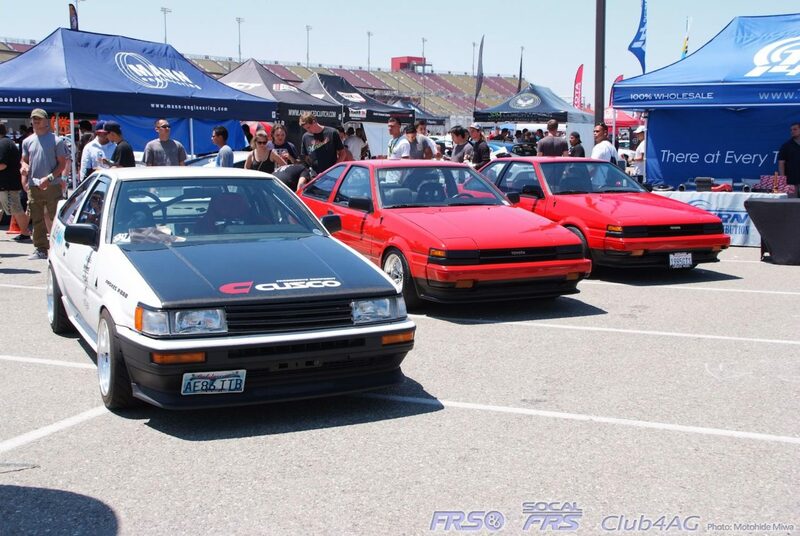 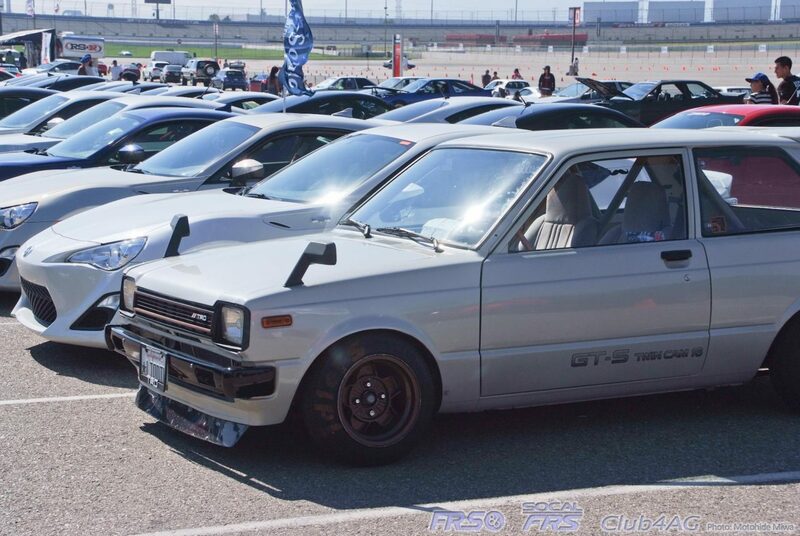 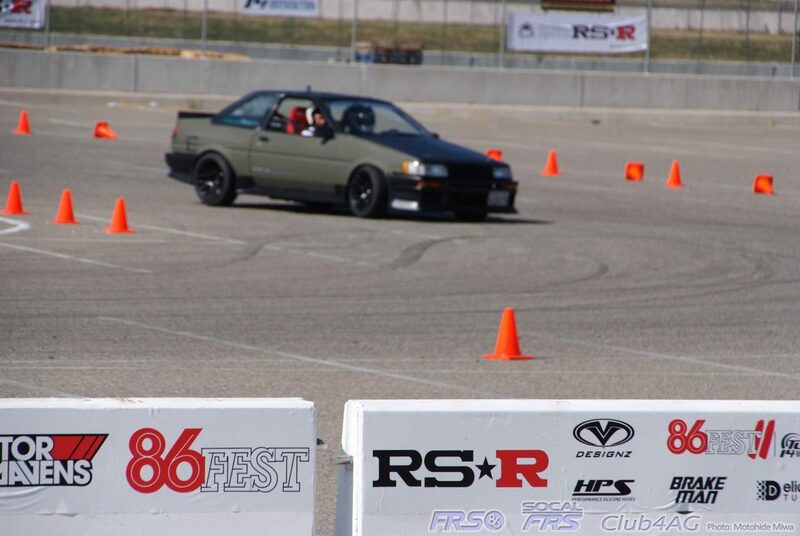 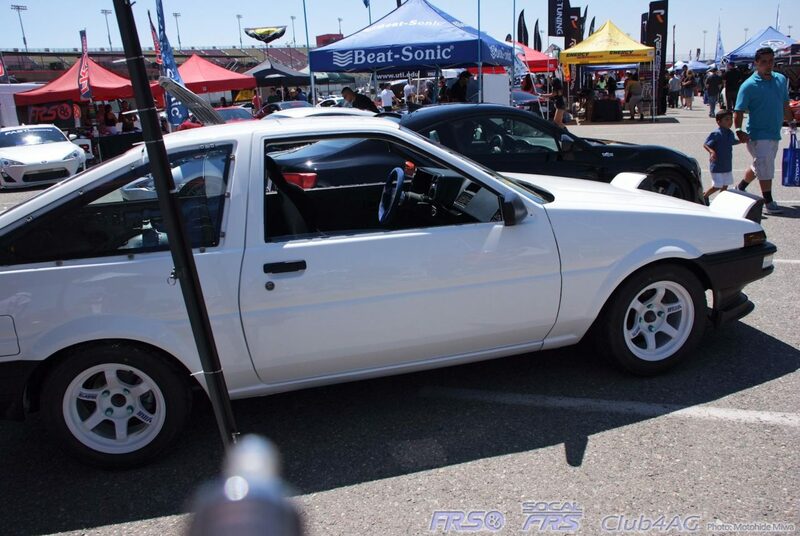 OWNERS and BUILDERS • Re: "Kentucky AE86: A Levin Story"
AE86 Parts & Accessories • Re: Socal Clean Title 1985 Gts Hatch part out! 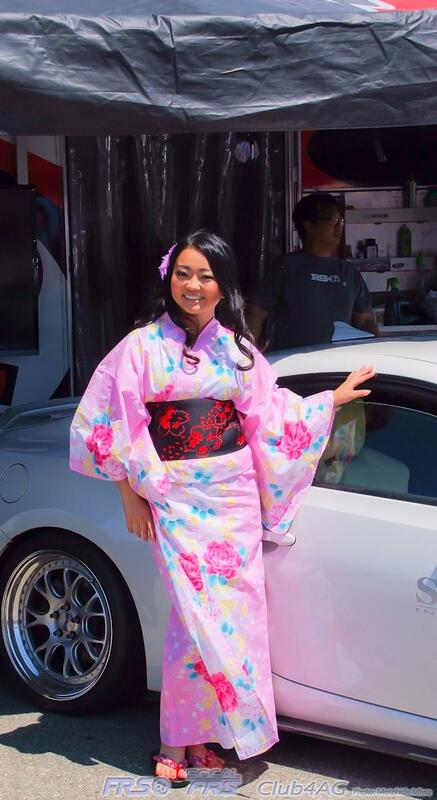 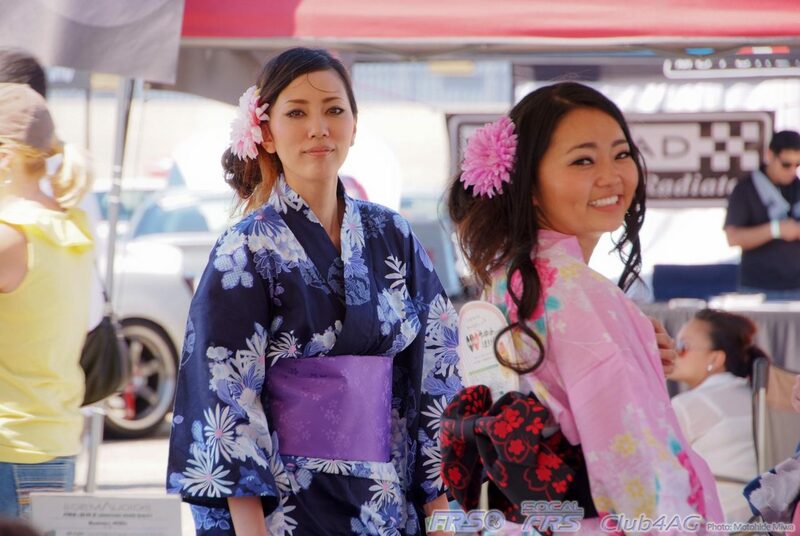 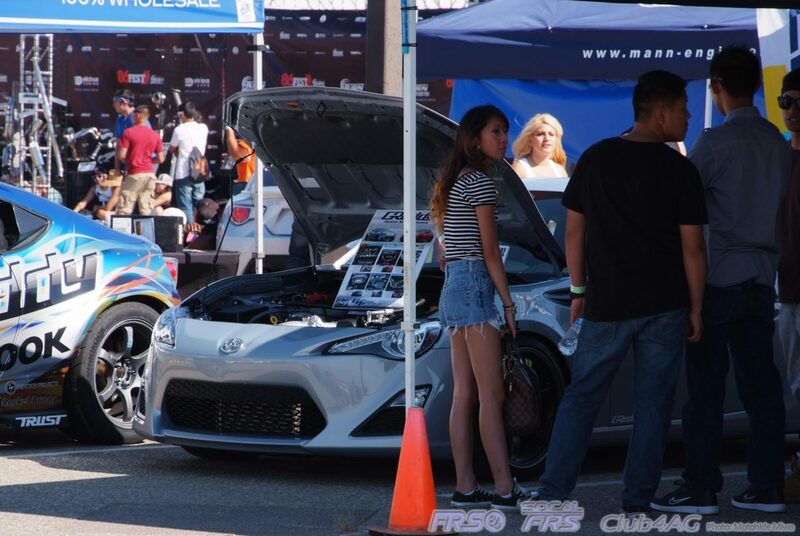 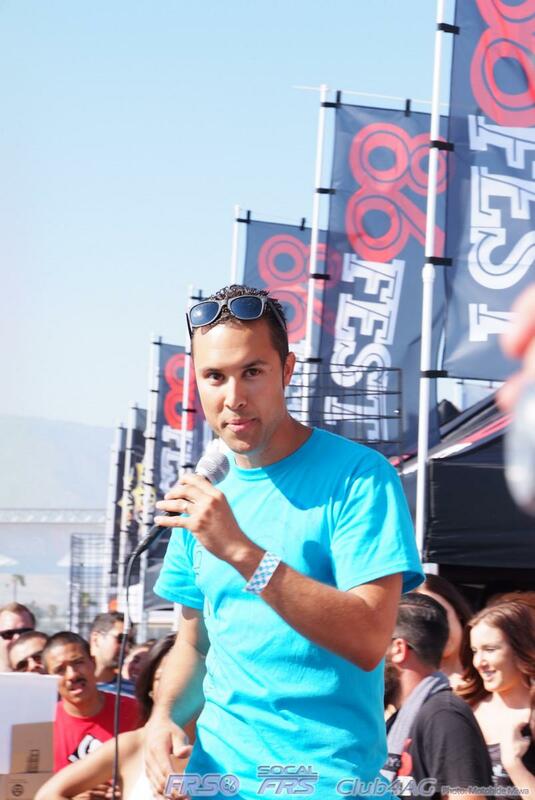 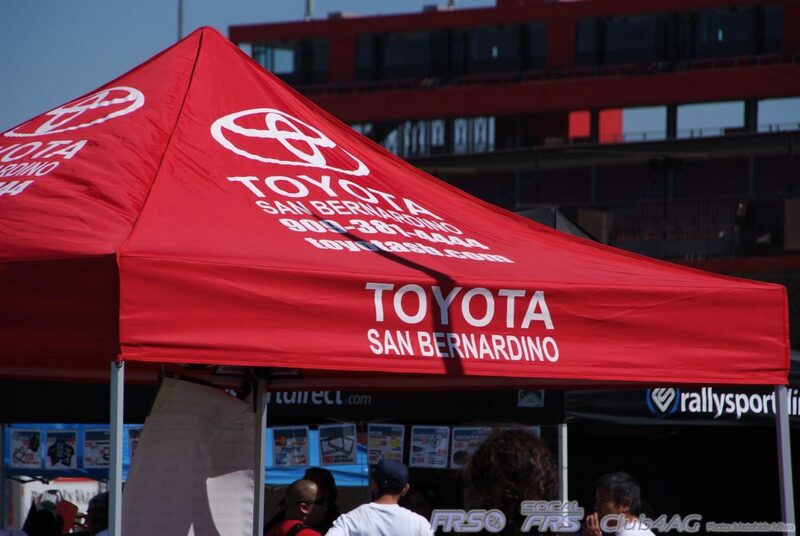 Fun Talk • Re: Toyota Fest June 1, 2019 Can I hitch a ride?